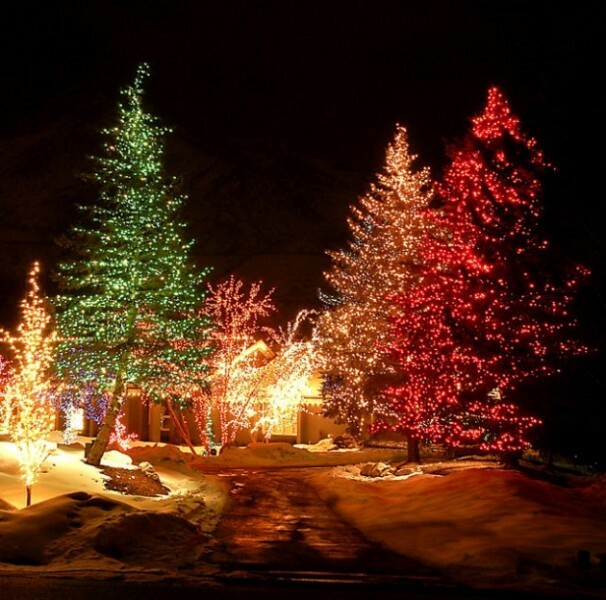 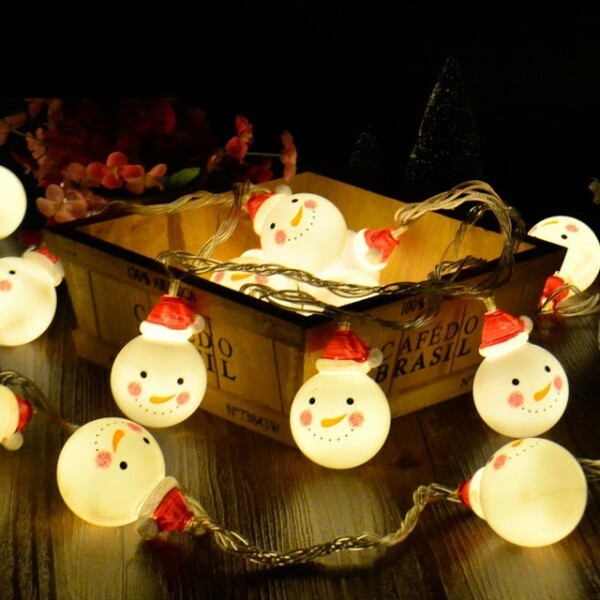 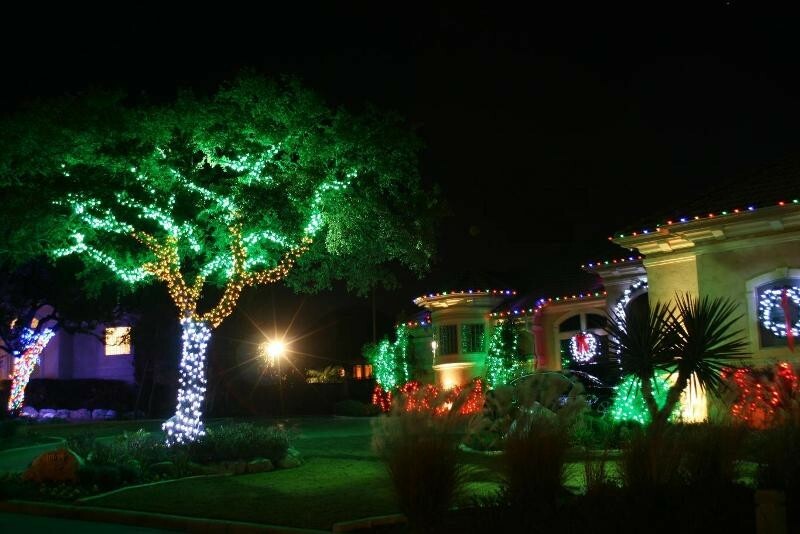 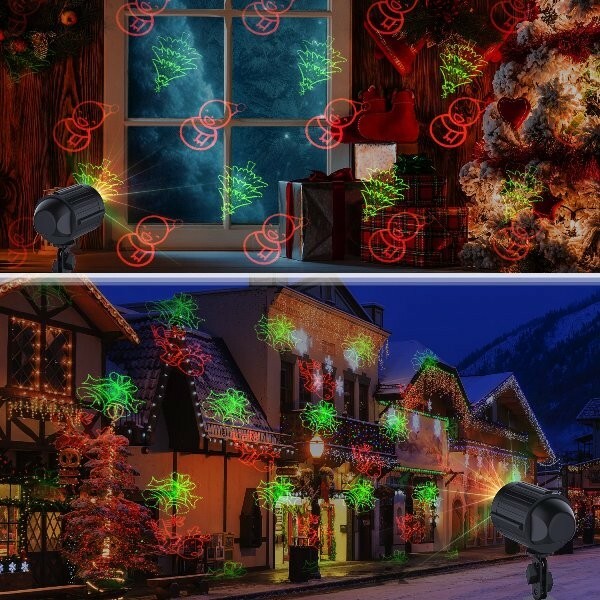 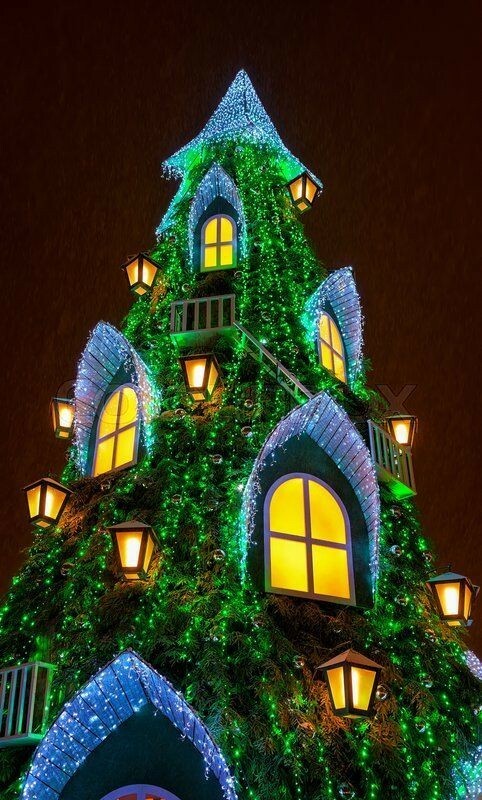 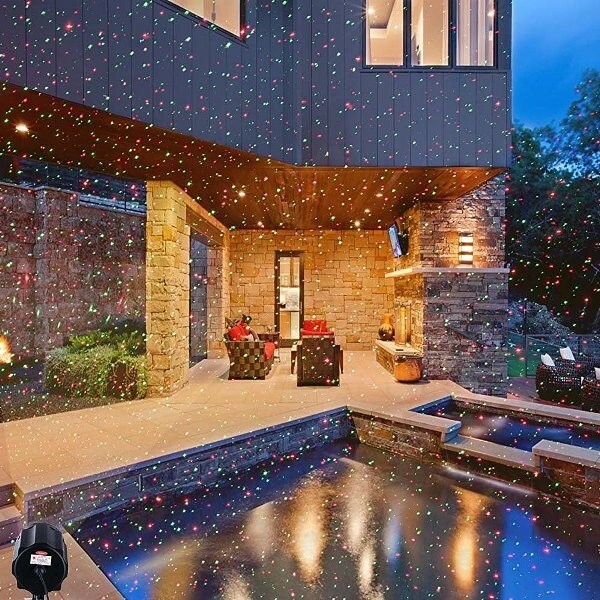 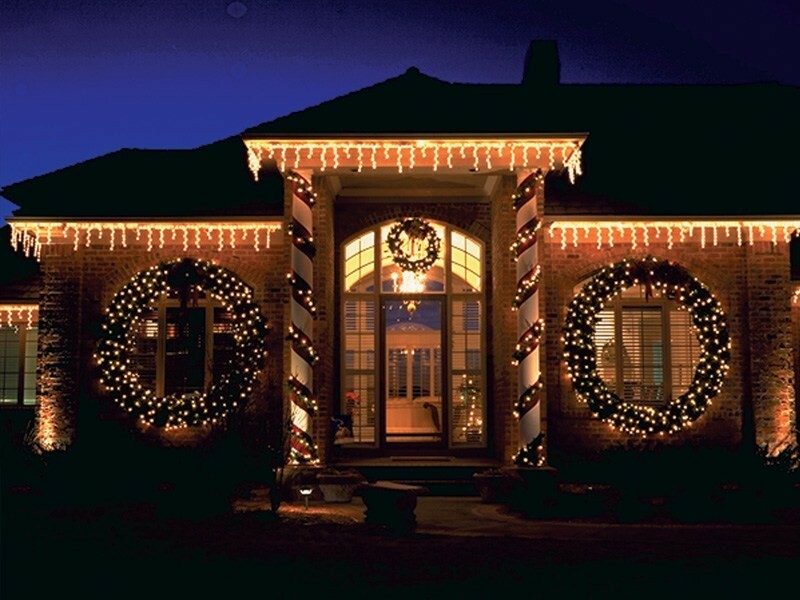 No one can deny the importance of holiday lights in both indoor and outdoor Christmas decoration. 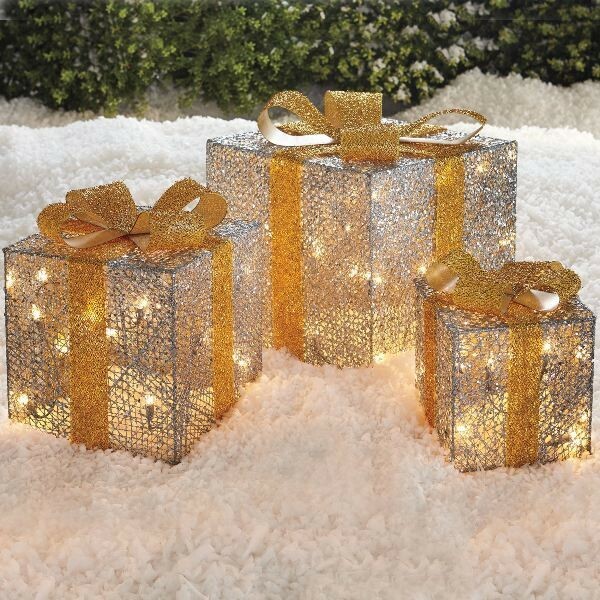 They have a unique ability to play a major role in increasing the beauty of our homes and adding a sparkling look to every space they are used in. 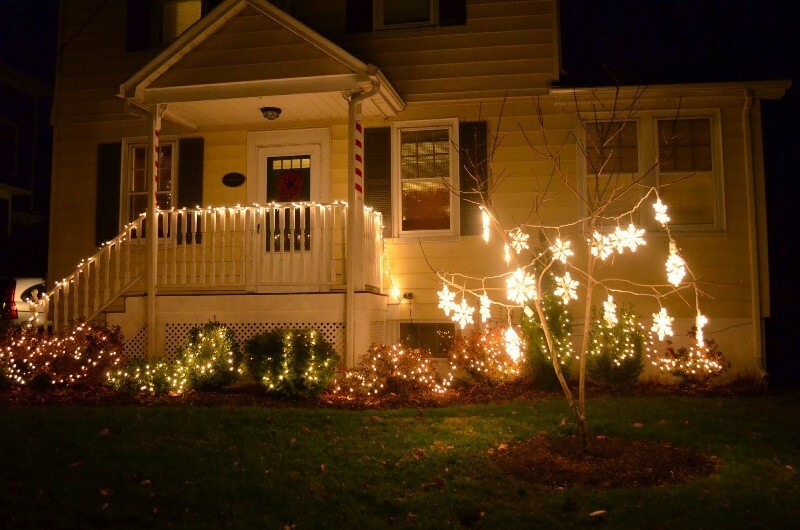 Lights are not only used for illuminating different spaces at our homes when it becomes dark. 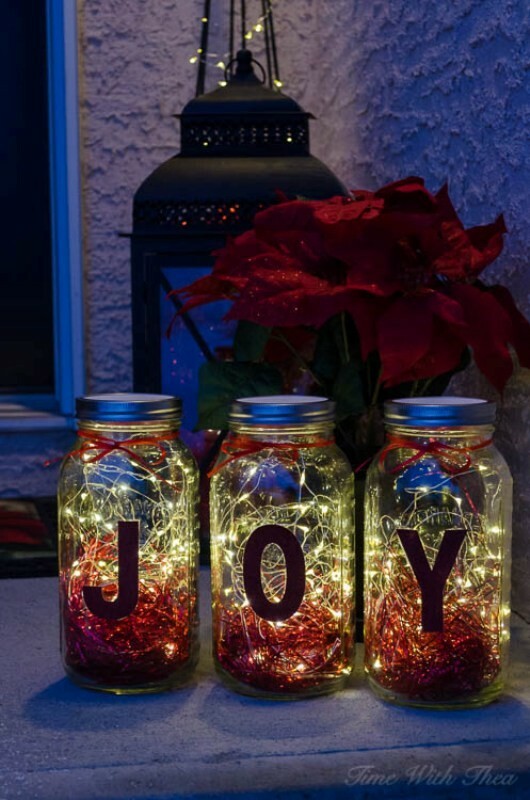 They are also used to help in decorating different rooms in our homes and the exterior as well especially while celebrating different important and happy occasions like Christmas. 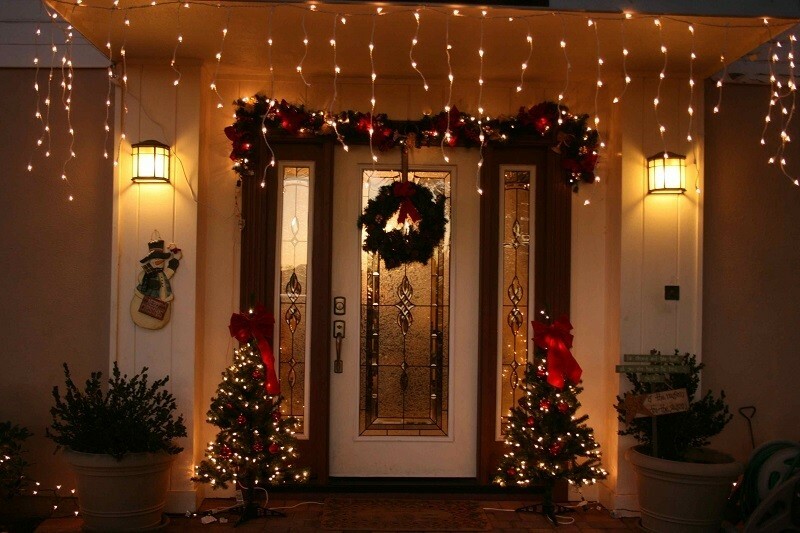 For this reason, you have to know how to use lights to start decorating your home for welcoming Christmas. 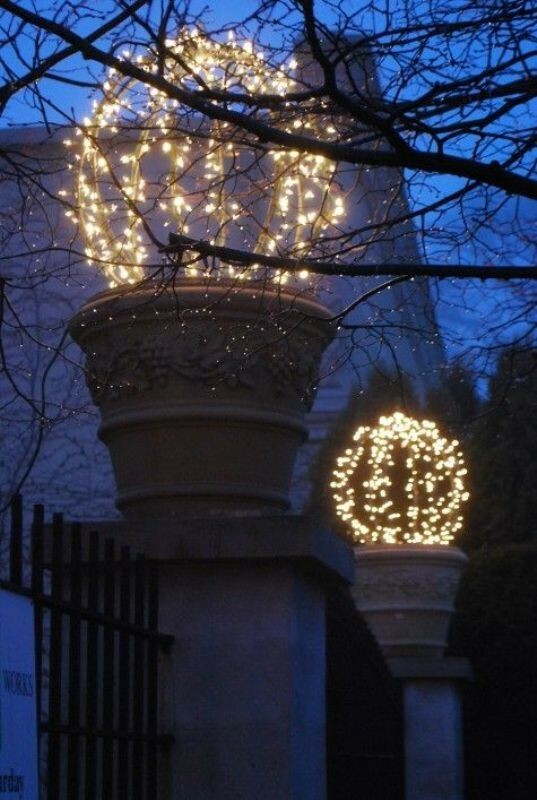 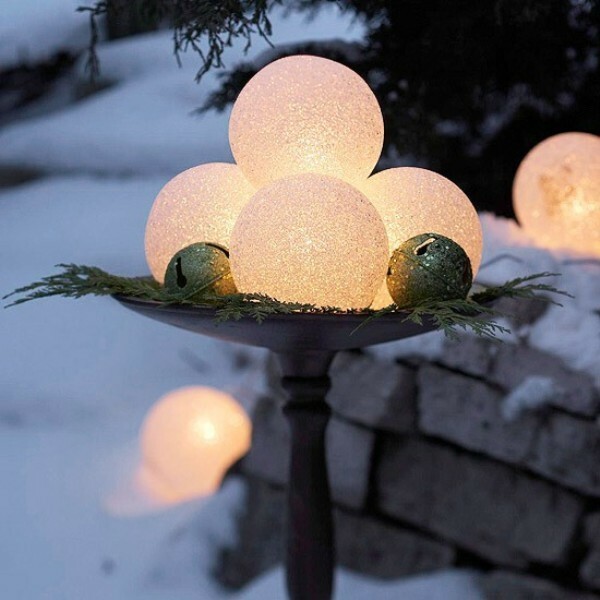 Outdoor Christmas decoration is not easy and becomes more difficult when you decide to use lights. 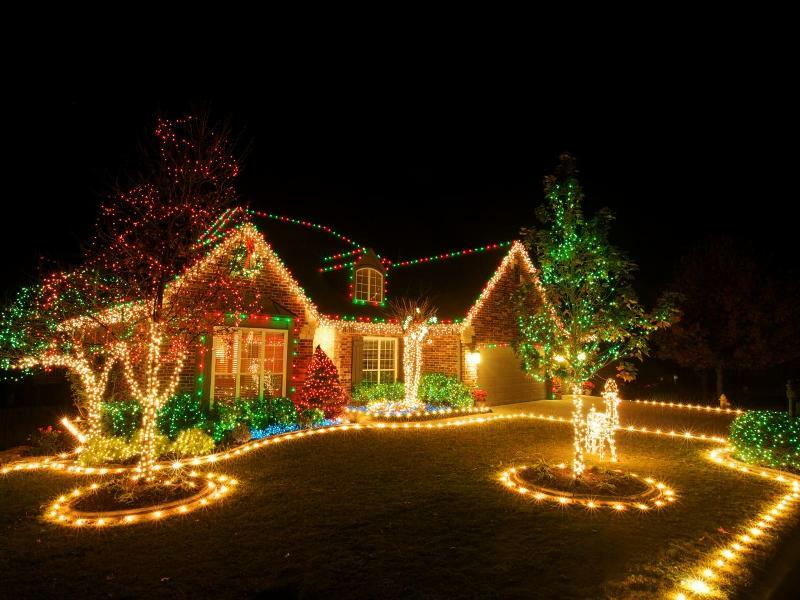 But by taking a look at the glamorous Christmas light decoration ideas presented here, you will get inspired and easily start decorating your home on your own for Christmas. 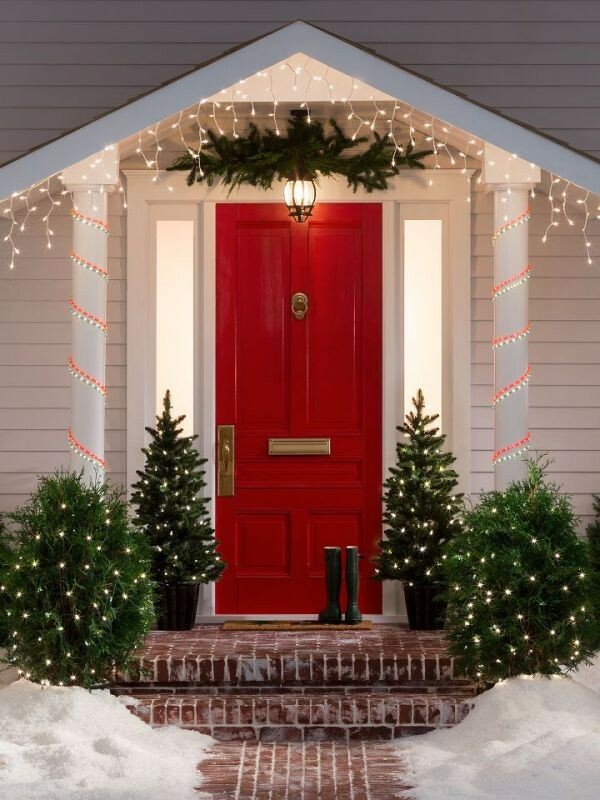 If you want to easily bring the holiday spirit to your home, you have to decorate every space starting from your front yard and porch to different rooms you have inside your home. 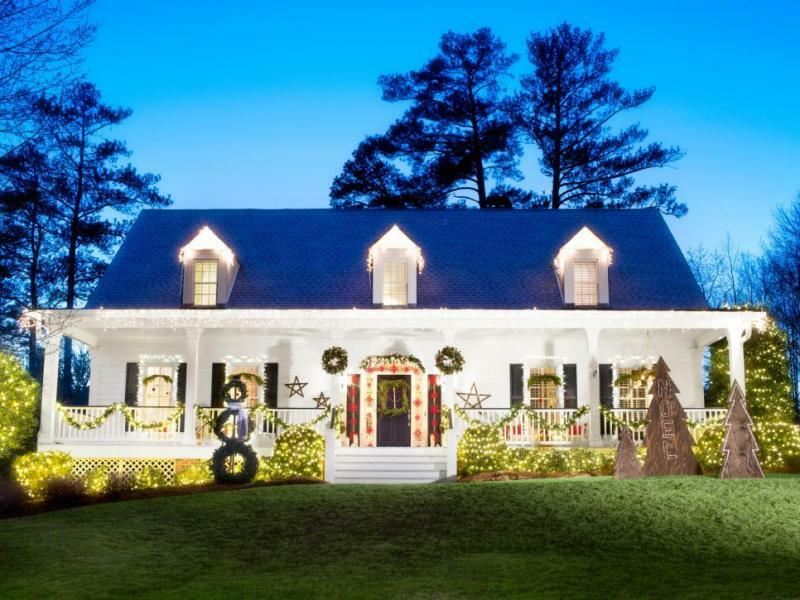 This task is not easy because you simply do not know what to do or how to start to finally decorate your home and enjoy celebrating Christmas with family and friends. 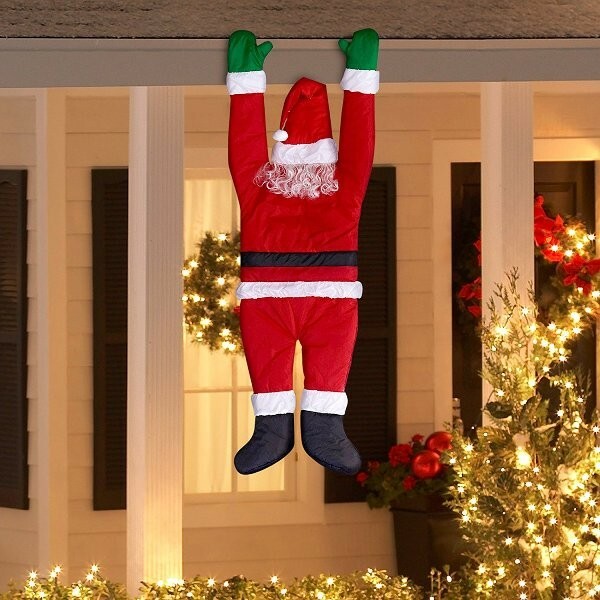 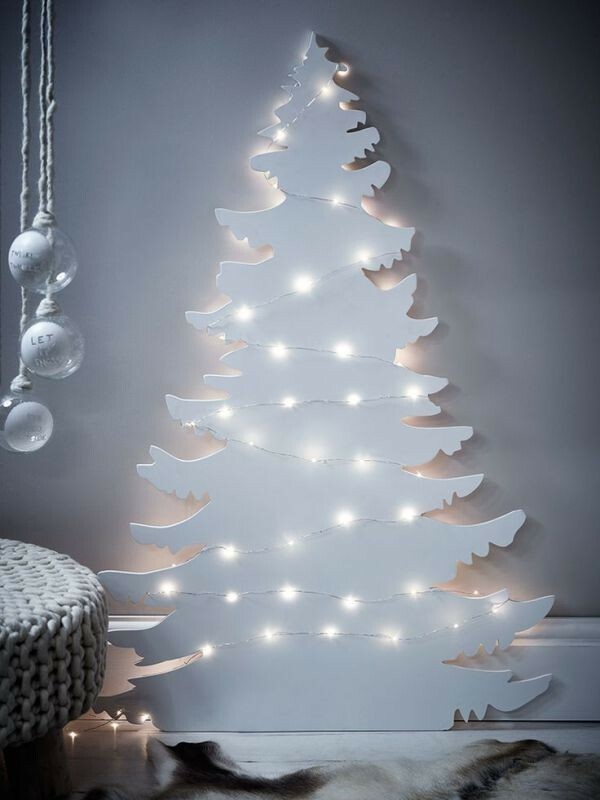 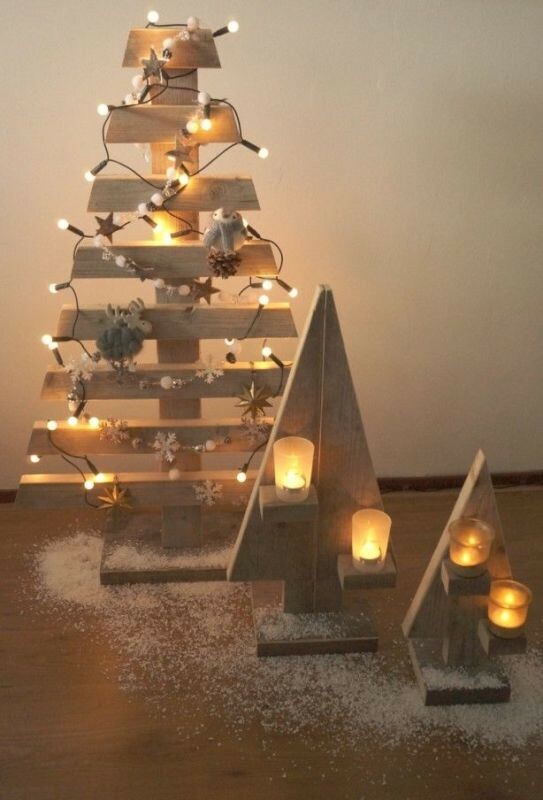 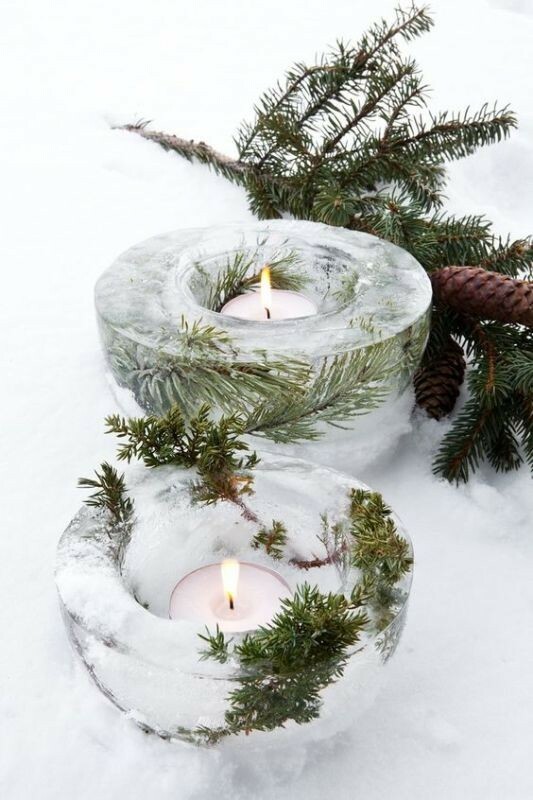 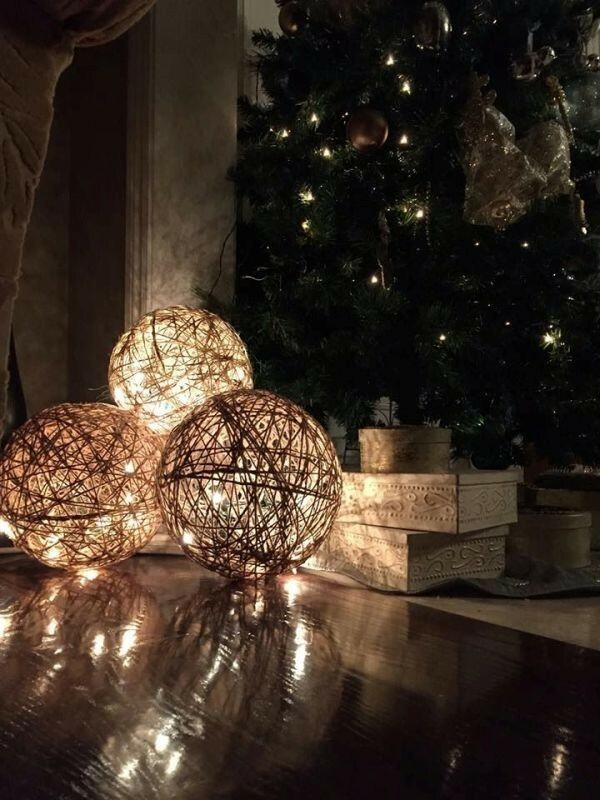 If you do not know how to decorate your home or need new Christmas decoration ideas to decorate your home in a different way this year, you just need to check out the unique and stunning ideas brought to you here. 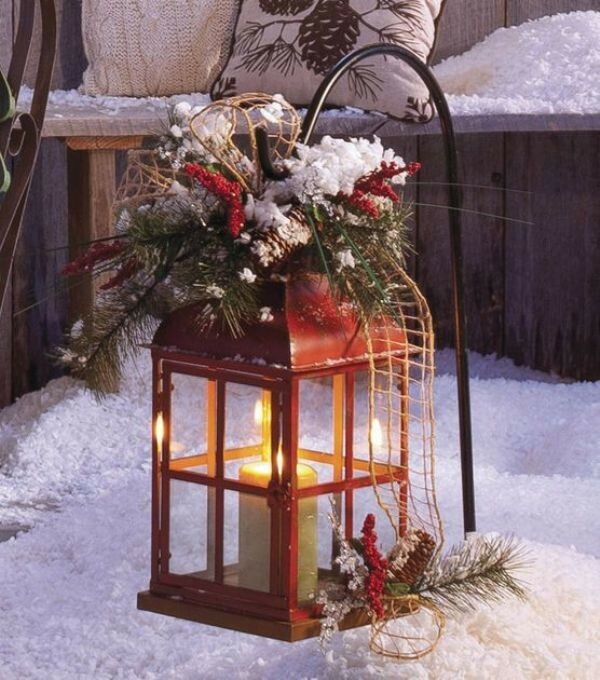 There are different decorative items we can use to decorate our homes. 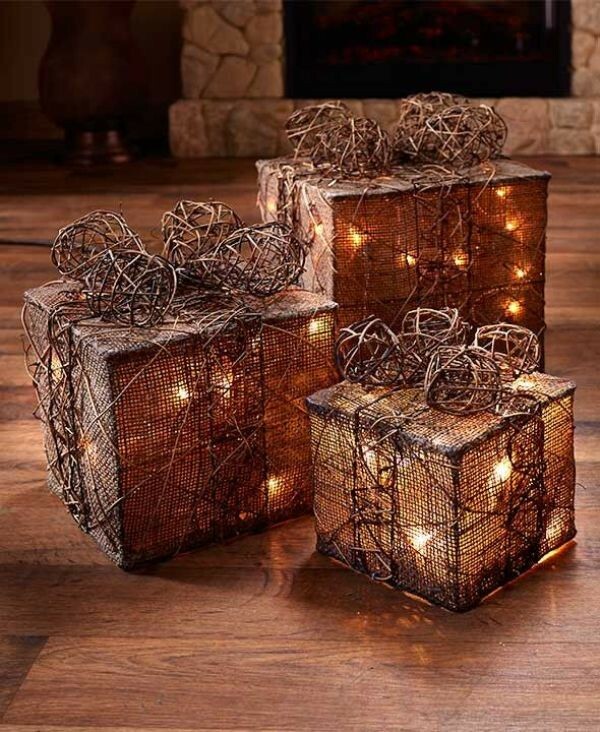 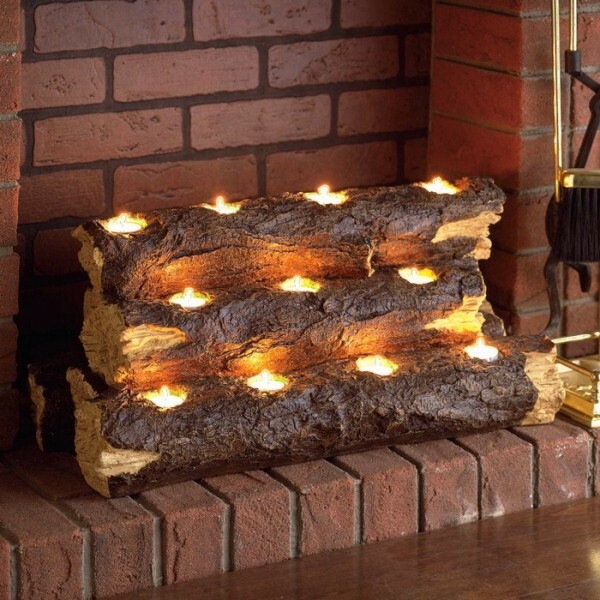 In addition to those Christmas ornaments, you also need to use lights. 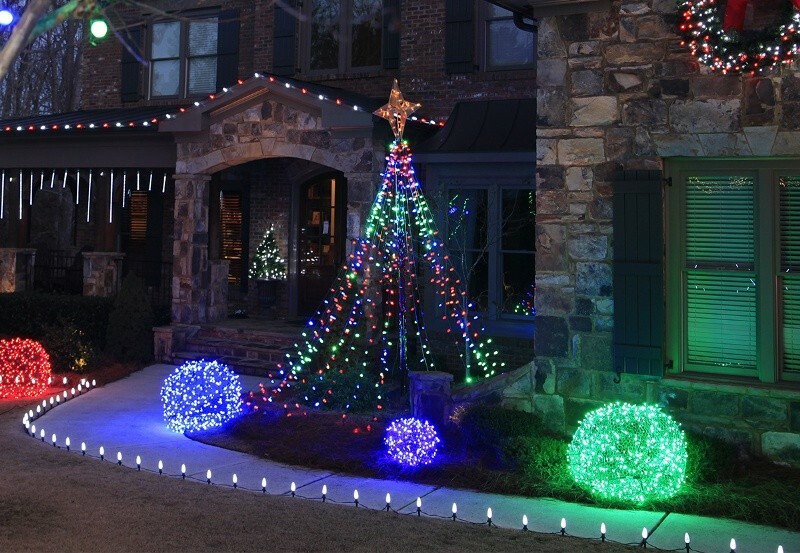 Adding holiday lights to various Christmas ornaments can help you create a festive atmosphere that makes your home more inviting for your family and guests as well. 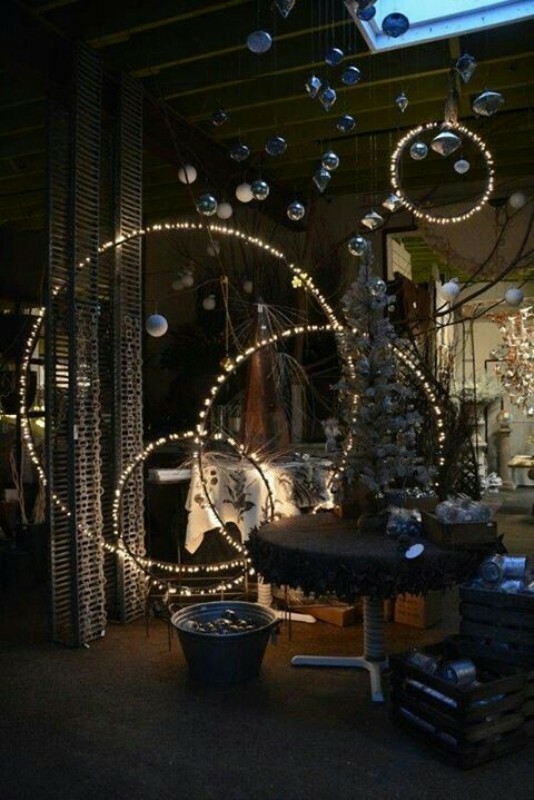 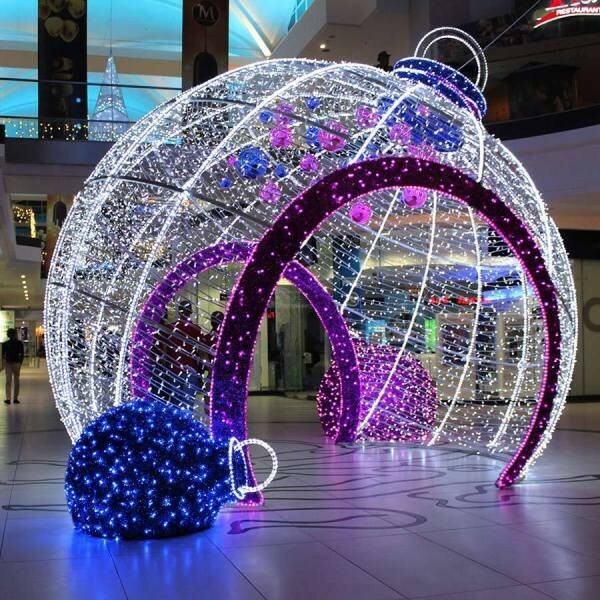 Because lights are highly essential for both indoor and outdoor Christmas decoration, they are created in different types, designs, colors, sizes, and materials as well to meet different needs and help you find what suits your taste. 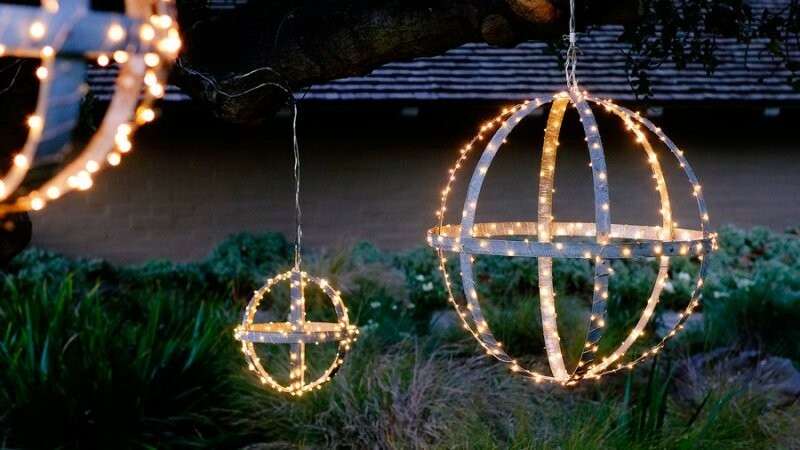 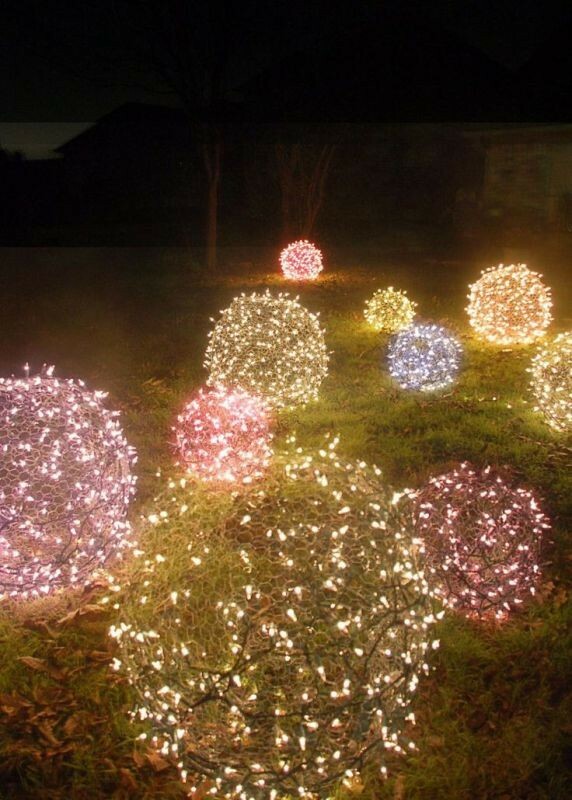 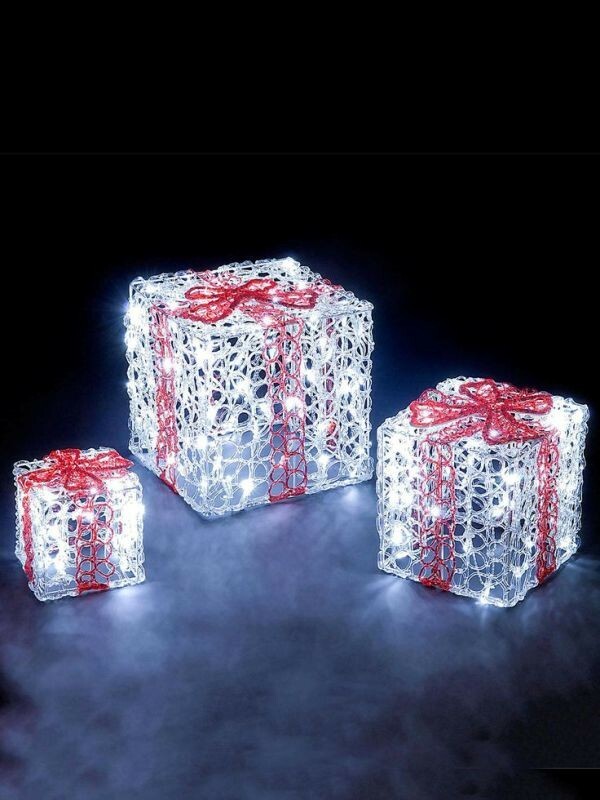 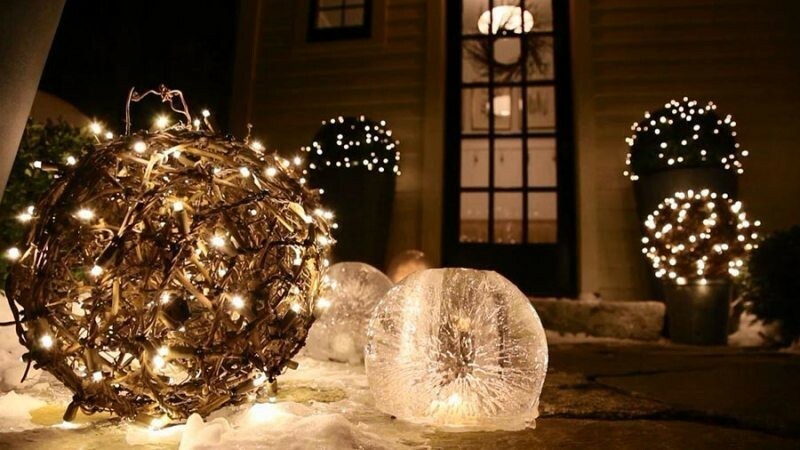 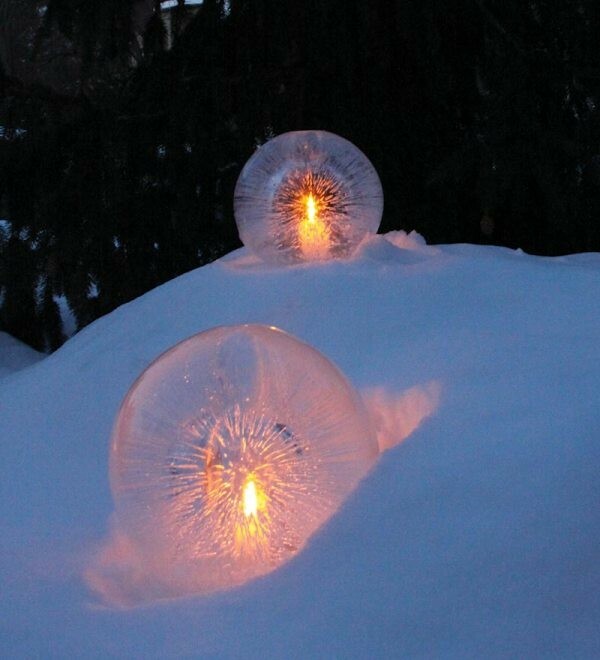 To decorate your yard and give it a sparkling look, you need to use solar globe lights fairy dust balls, LED lighted inflatables, starlight spheres, lighted wire figures using chicken wire, icicle lights, shooting star Christmas lights, snowflake lights, candles, woven baskets as lanterns, lighted branches, rope lights, string lights, battery operated paper bag lanterns, and lighted Christmas motifs. 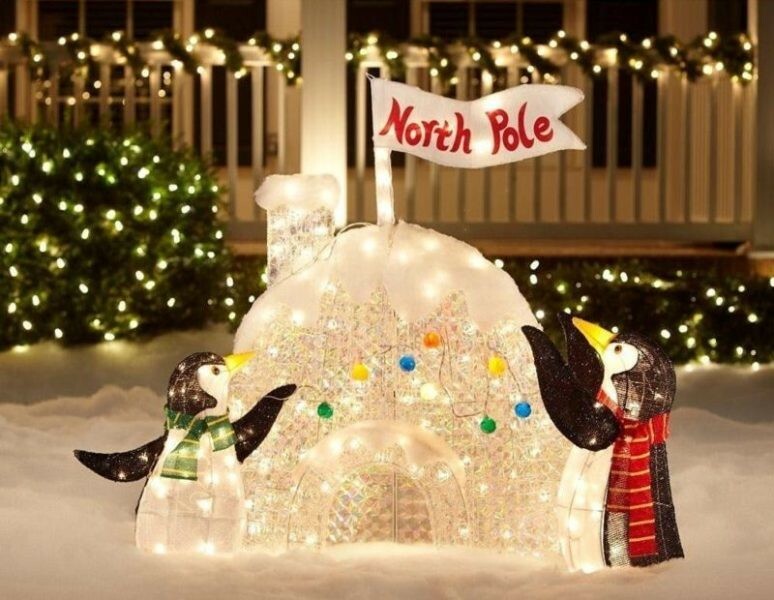 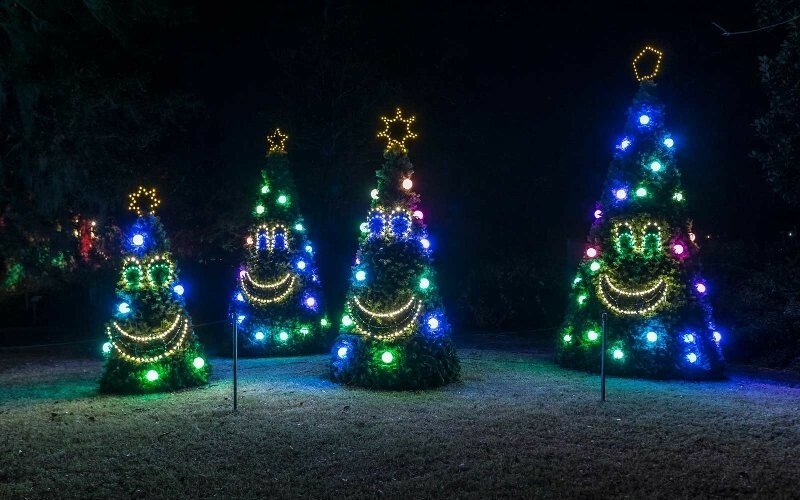 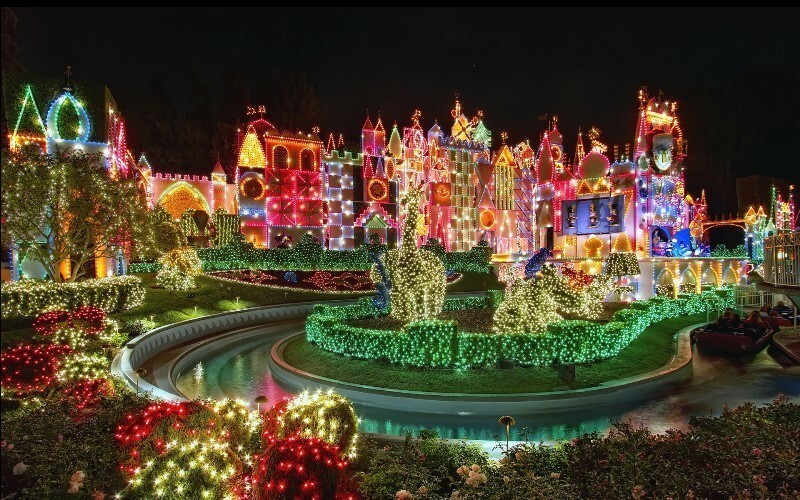 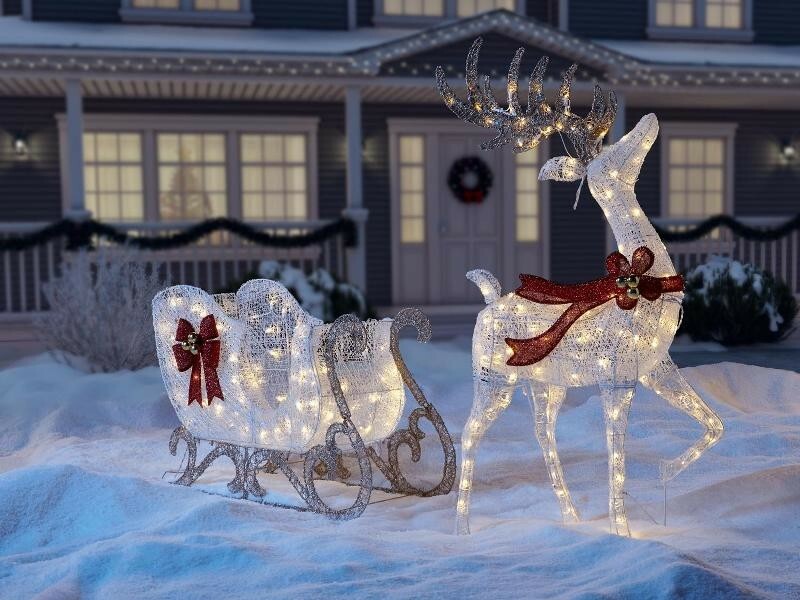 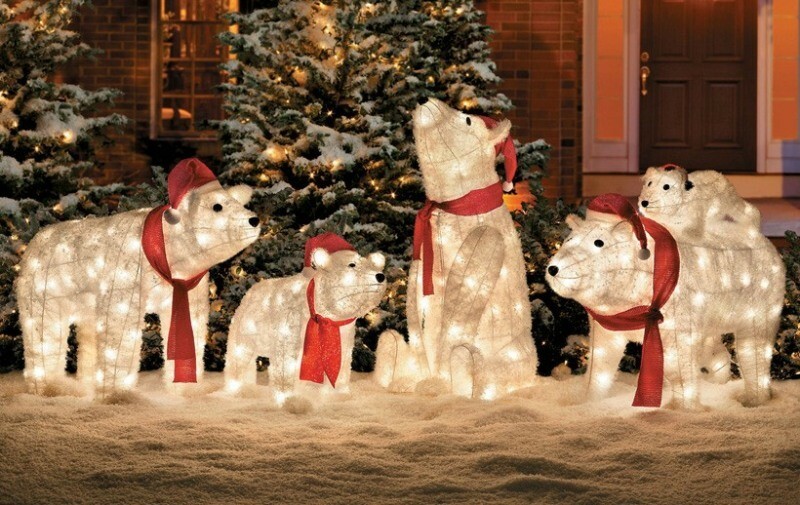 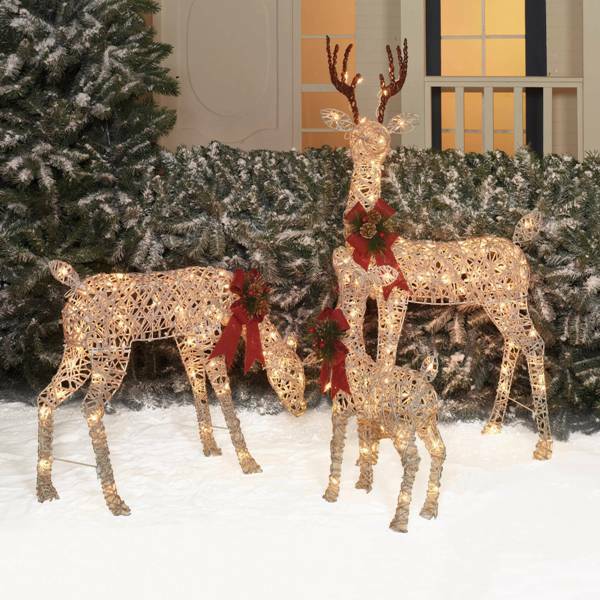 You can also find lighted Christmas topiaries, lighted reindeer, polar bears, and sleighs, starlit globes, lighted gift boxes, and lighted wreaths. 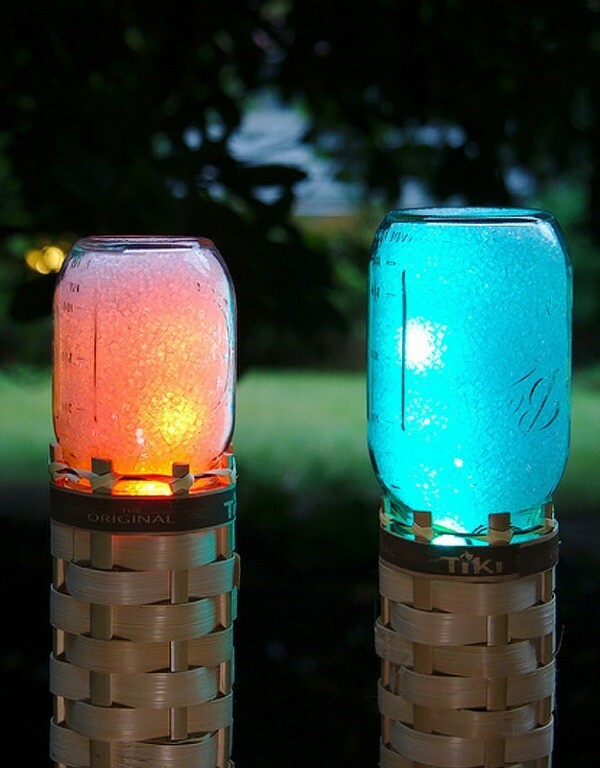 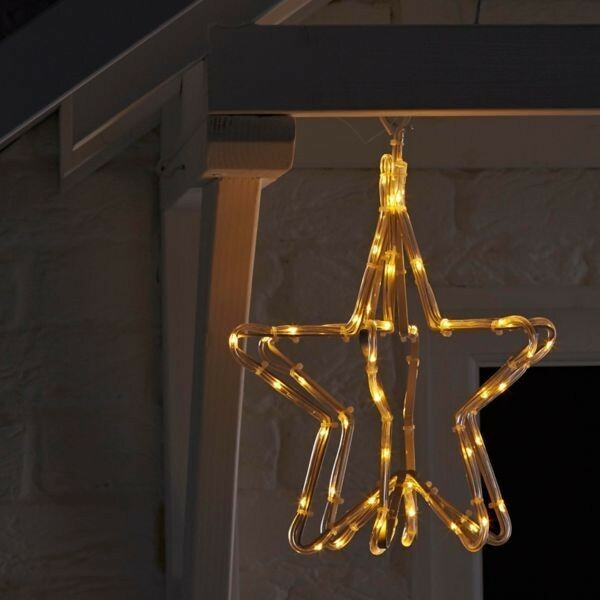 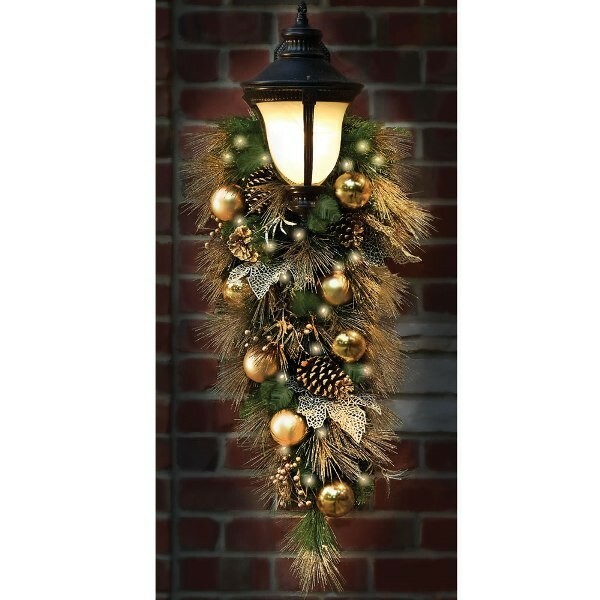 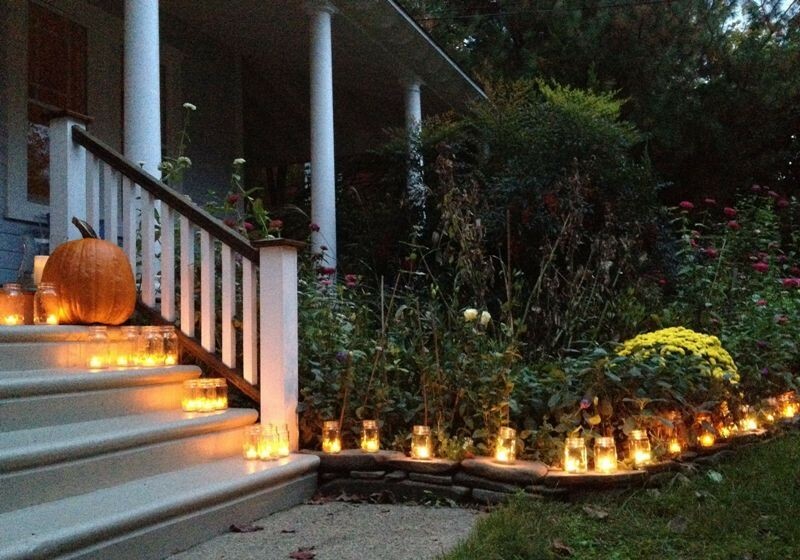 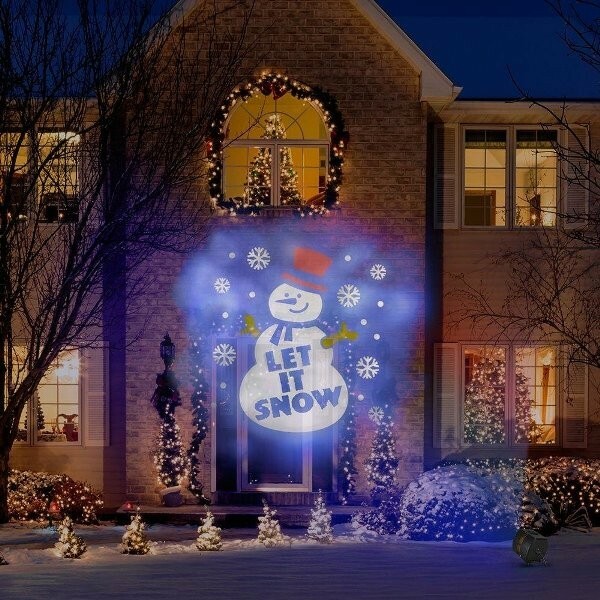 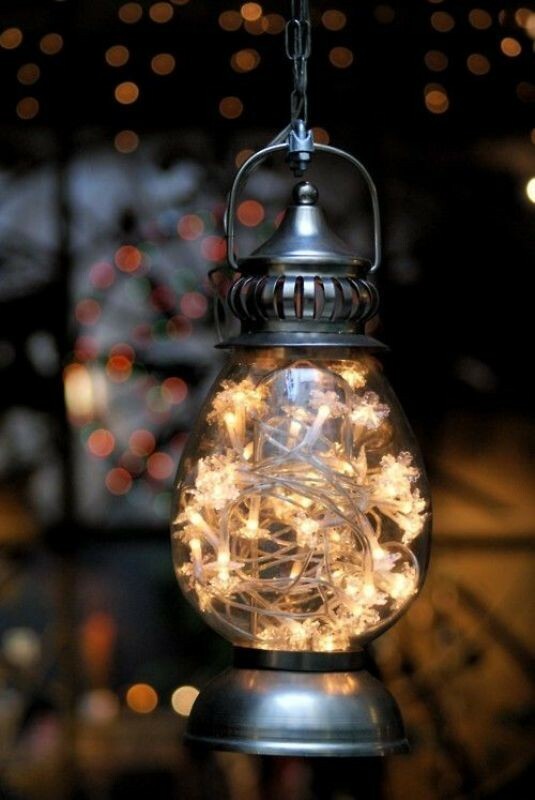 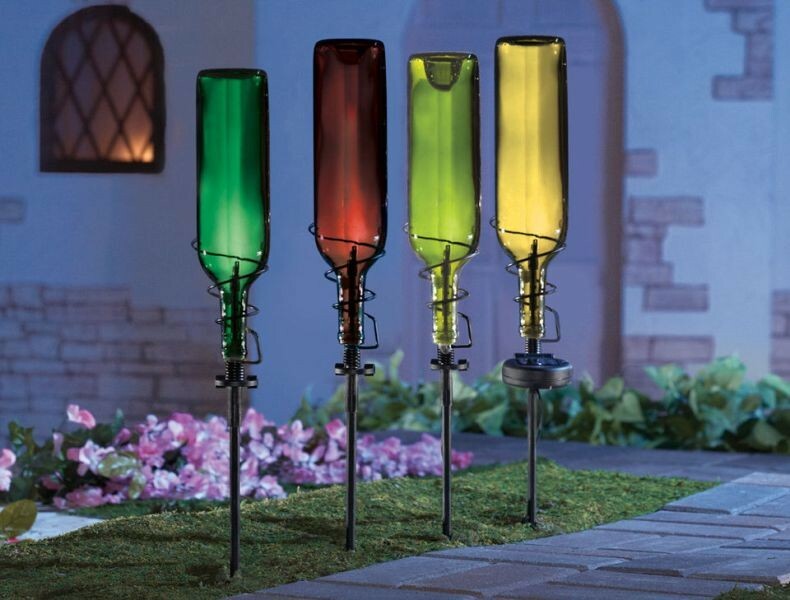 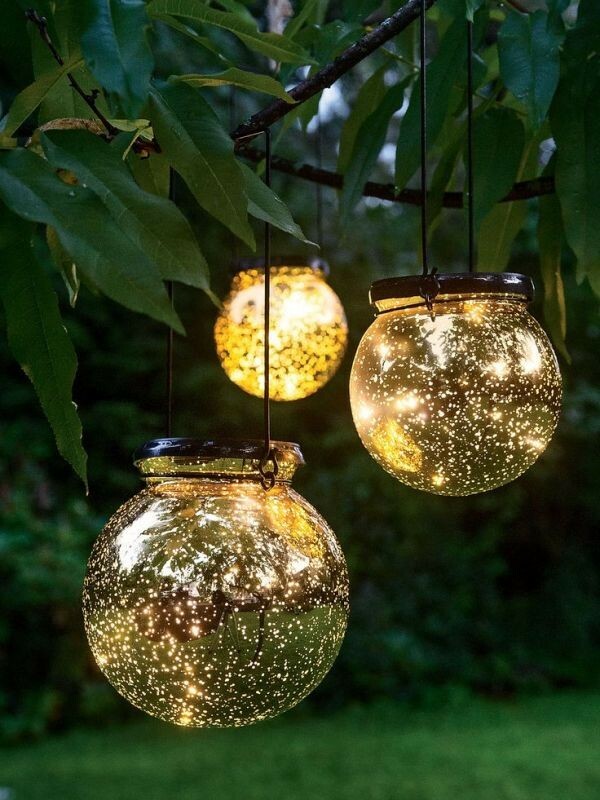 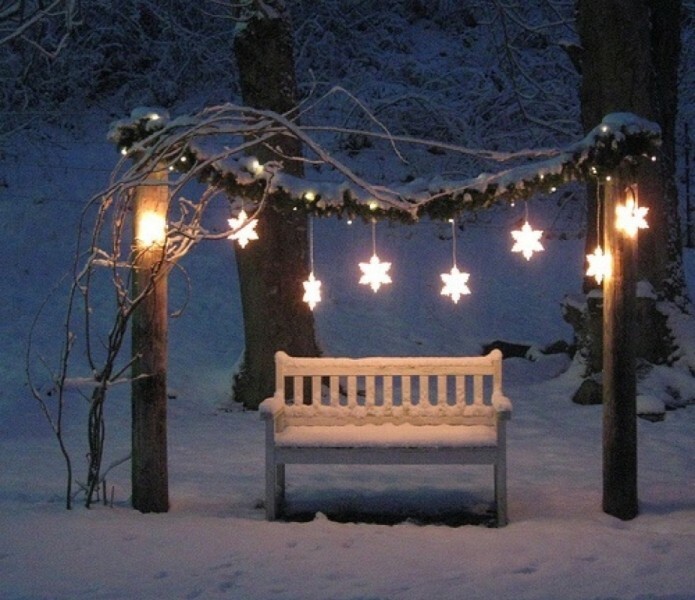 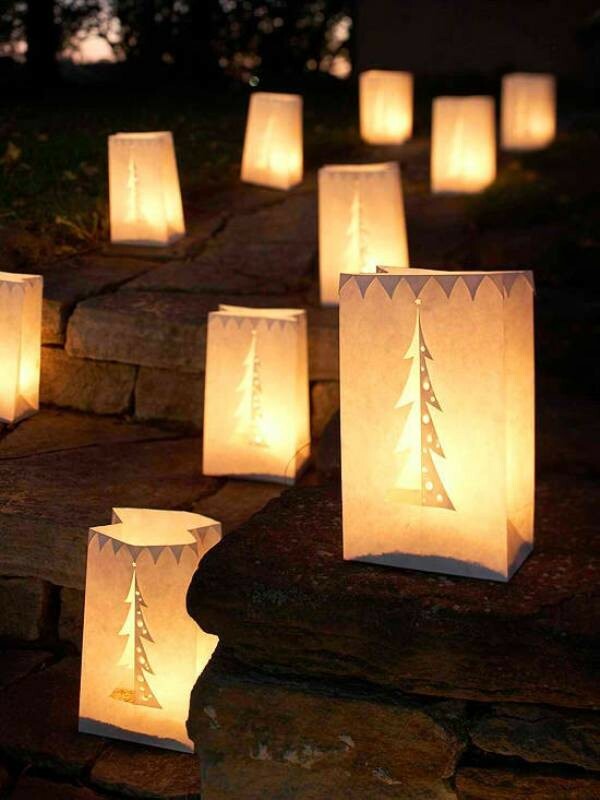 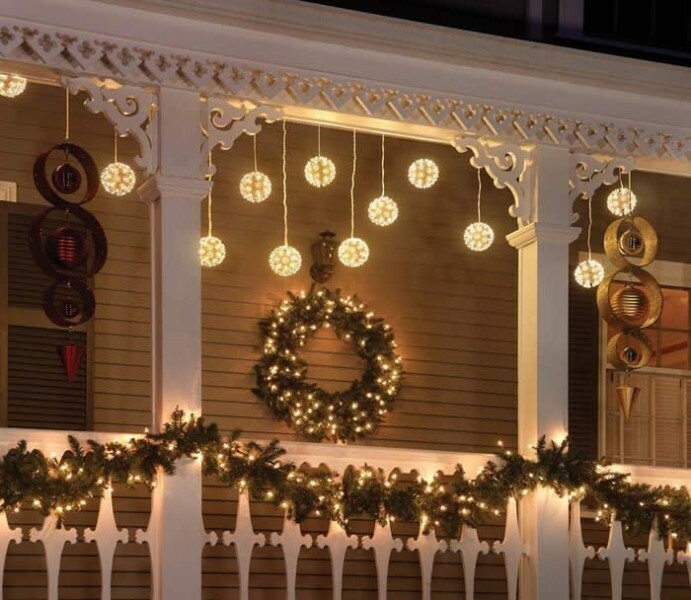 Do you still need more ideas to decorate your porch and yard through using lights? 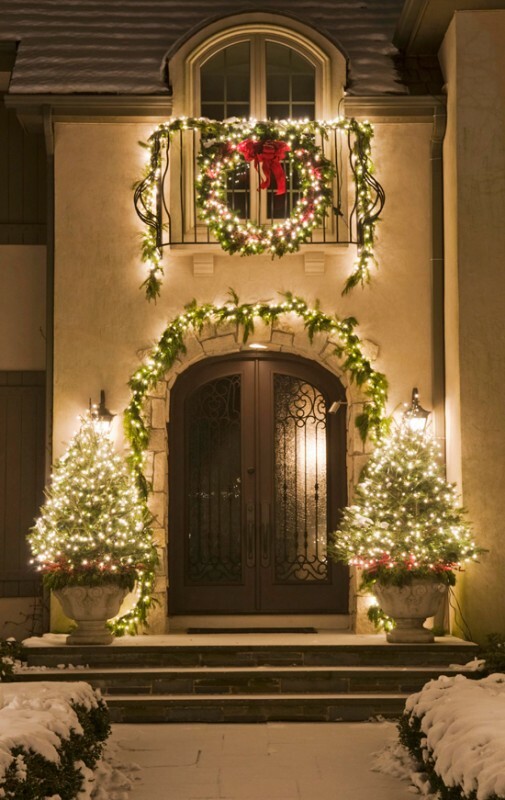 Try using garlands with string lights, chandeliers, large candy canes, logs with tea lights, Christmas Moravian stars, and bowls or buckets filled with Christmas ornaments and string lights for decorating stairs. 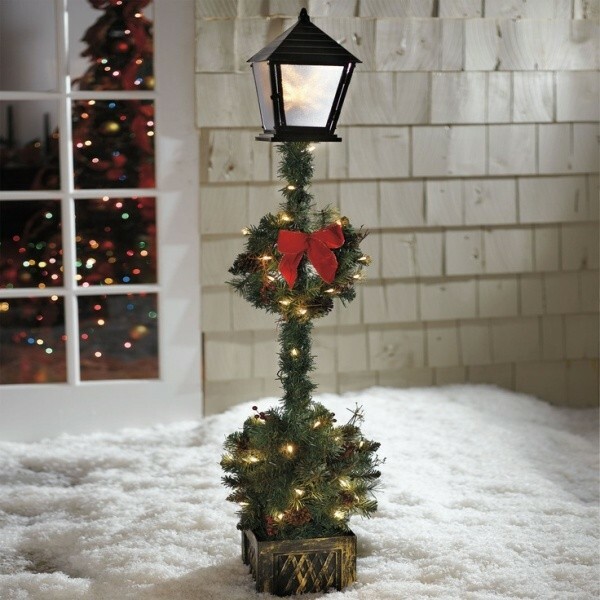 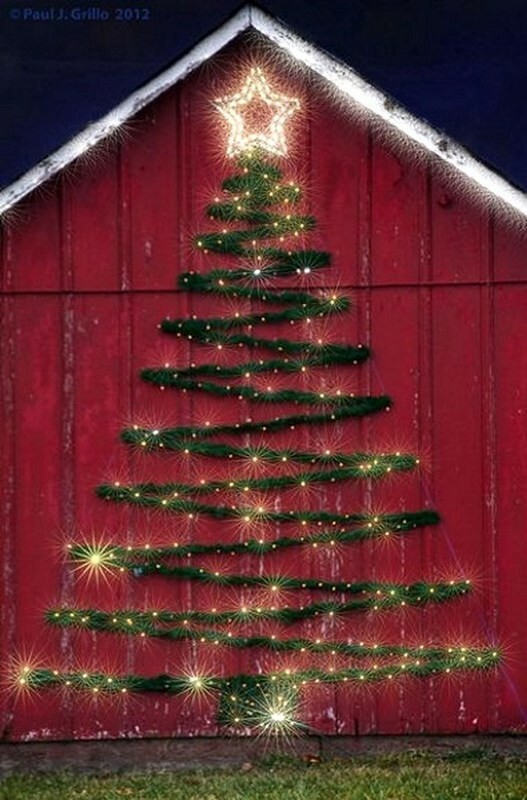 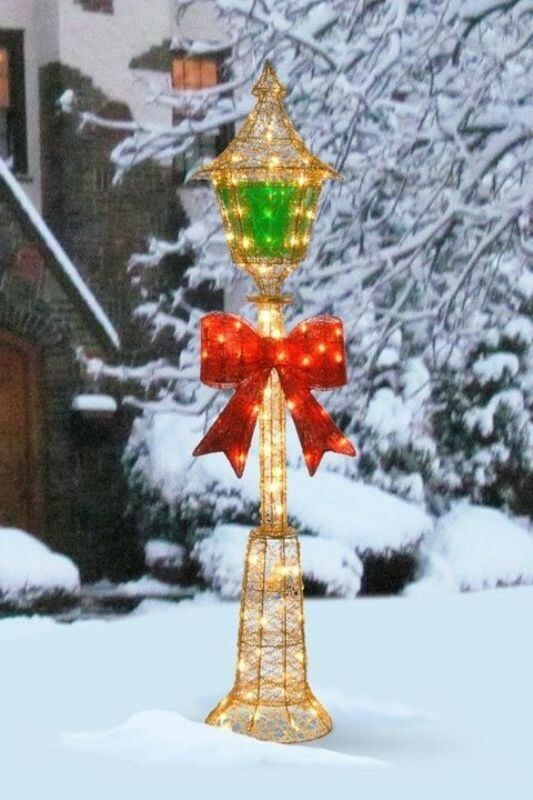 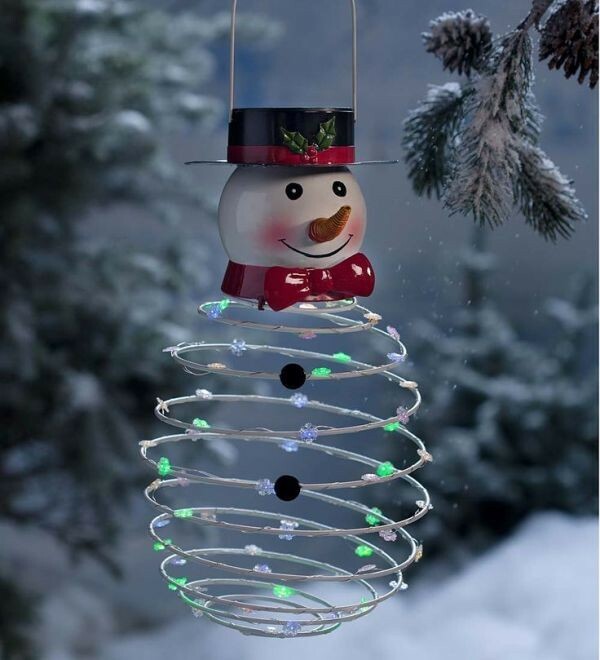 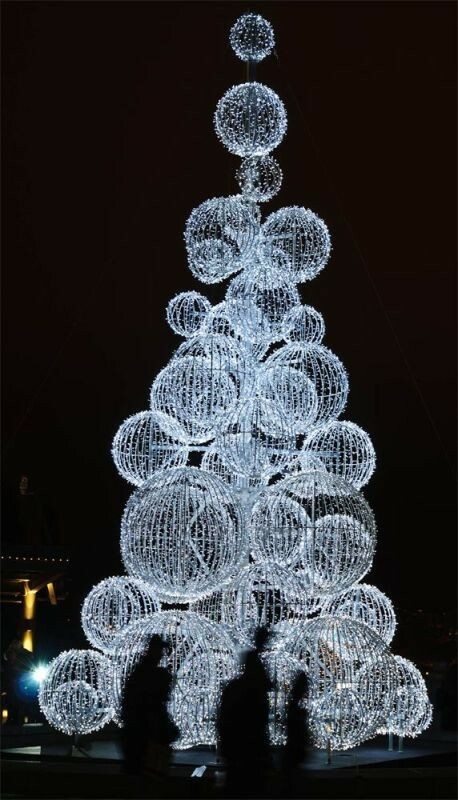 Wire lights, light show Christmas trees, lighted spiral trees, ice candle holders with berries, fir sprigs, or flowers inside, pathway markers, laser Christmas lights, Christmas light balls, and hula hoops with string lights are also perfect for decorating your porch and front yard during the holidays. 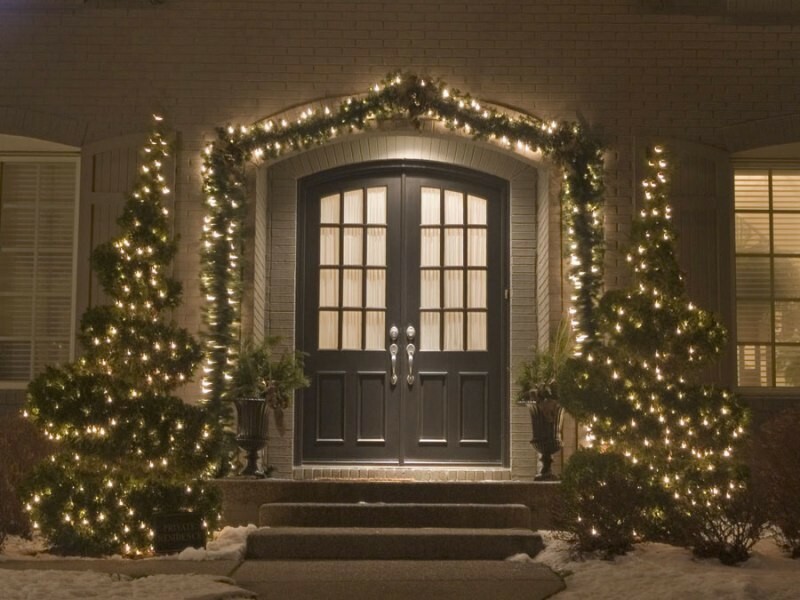 Let’s start with your front door and how you are going to decorate it with lights. 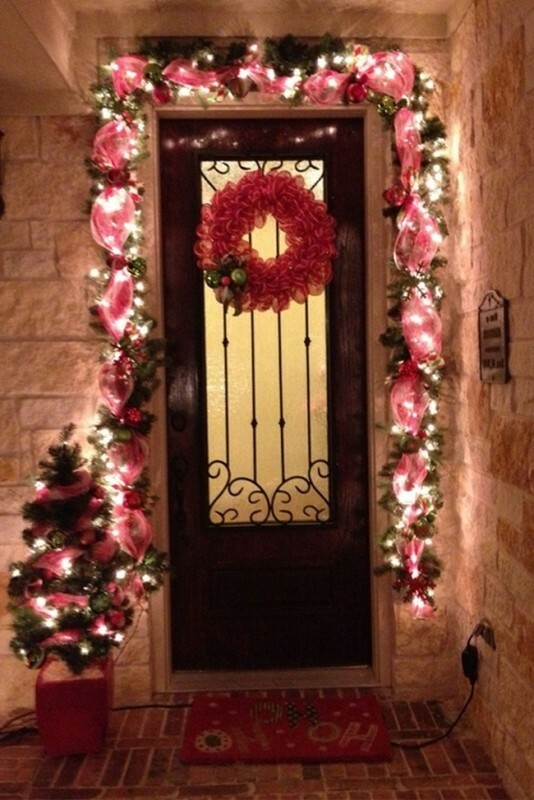 To decorate your front door, you need to use garlands. 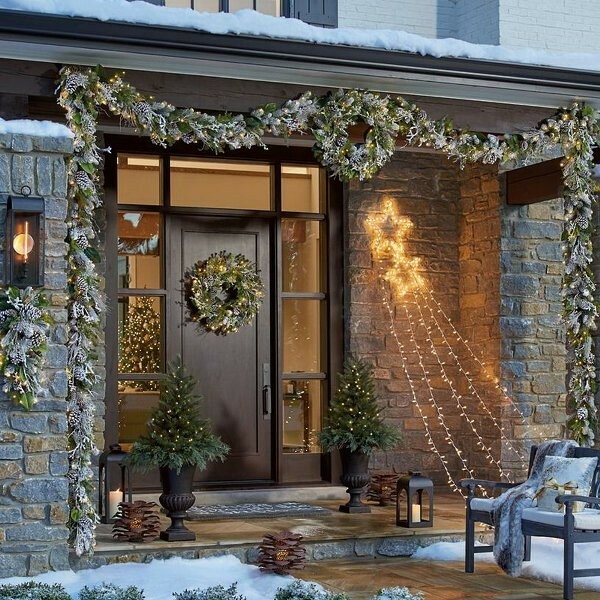 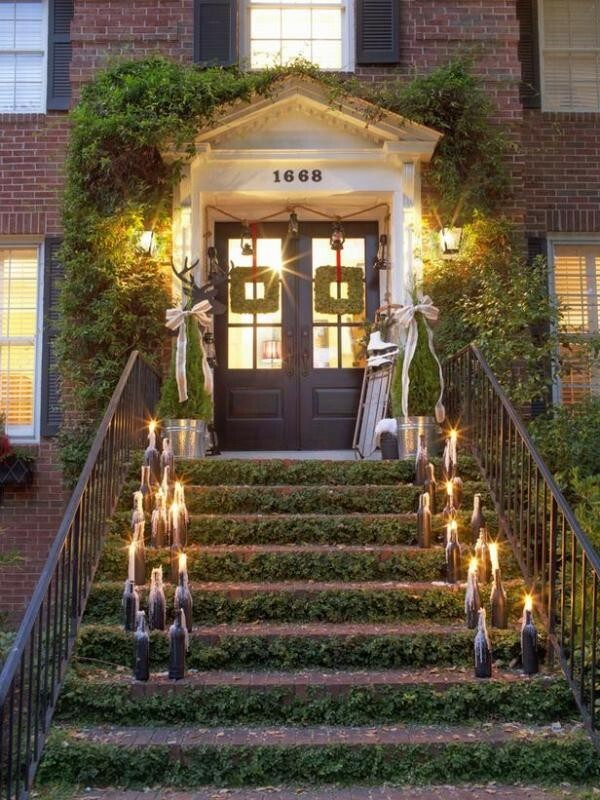 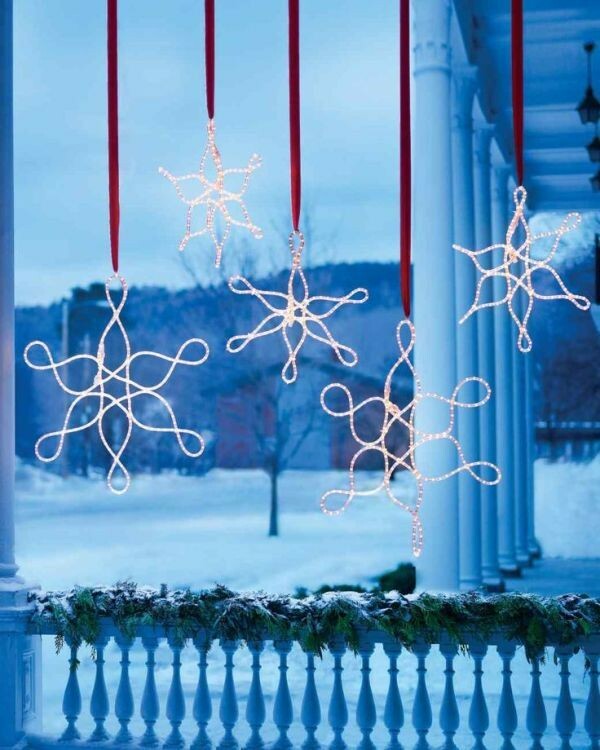 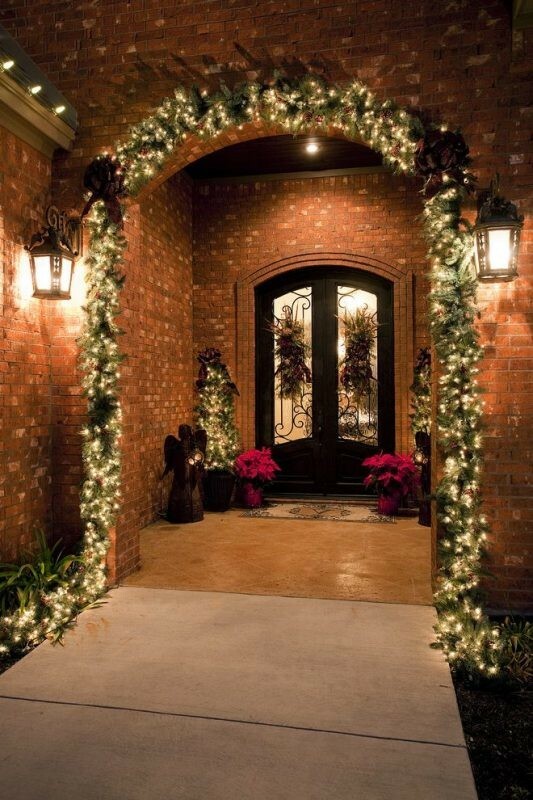 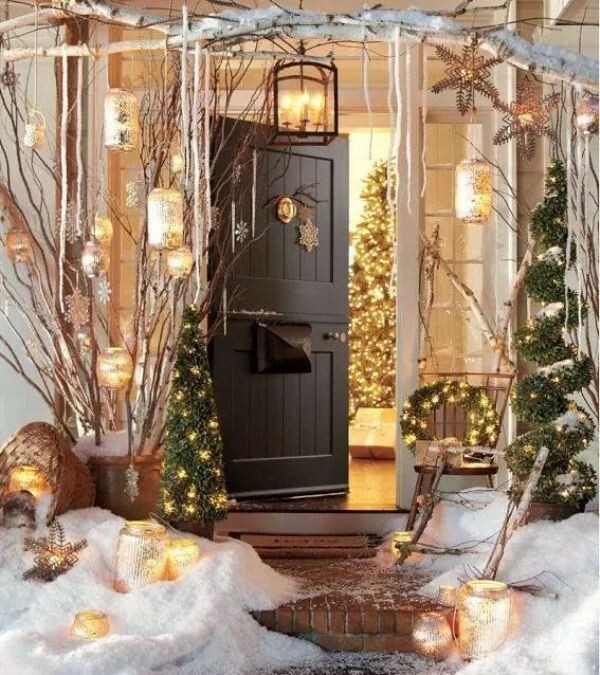 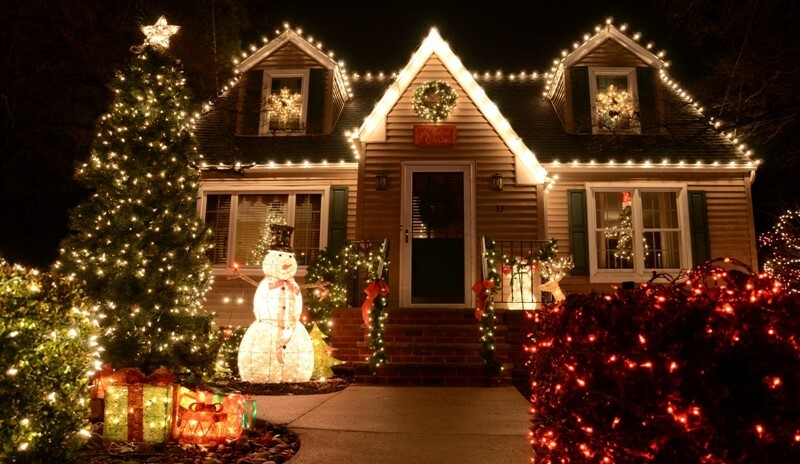 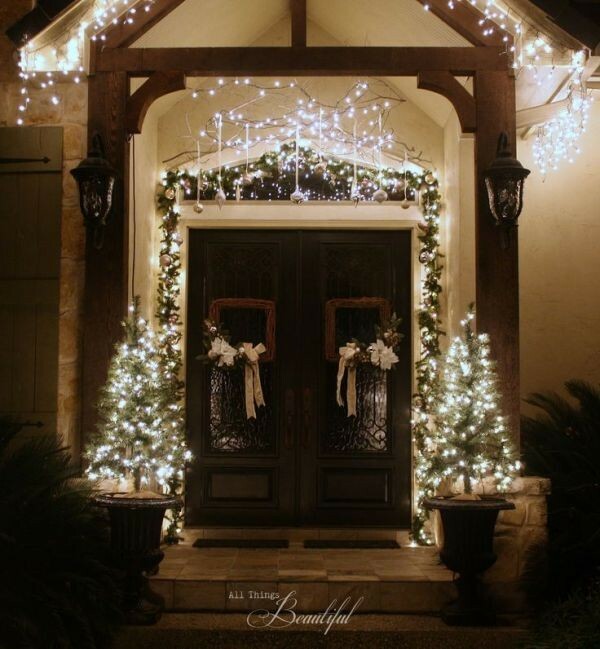 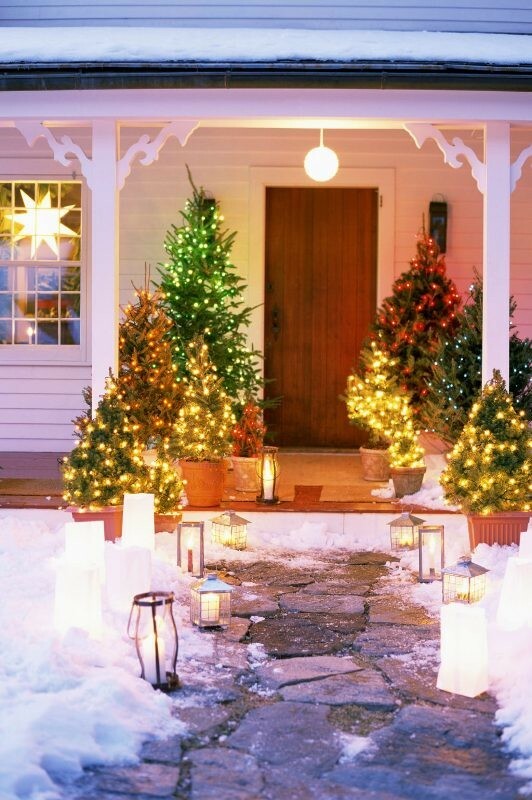 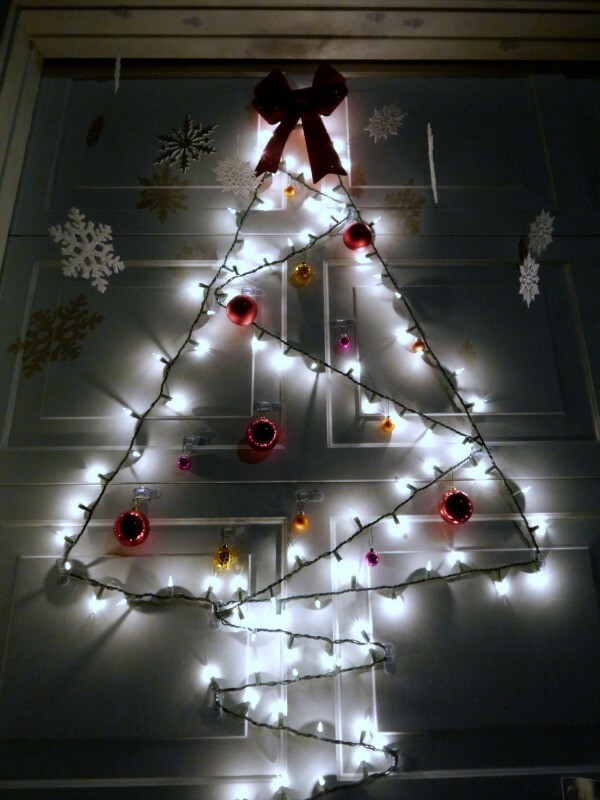 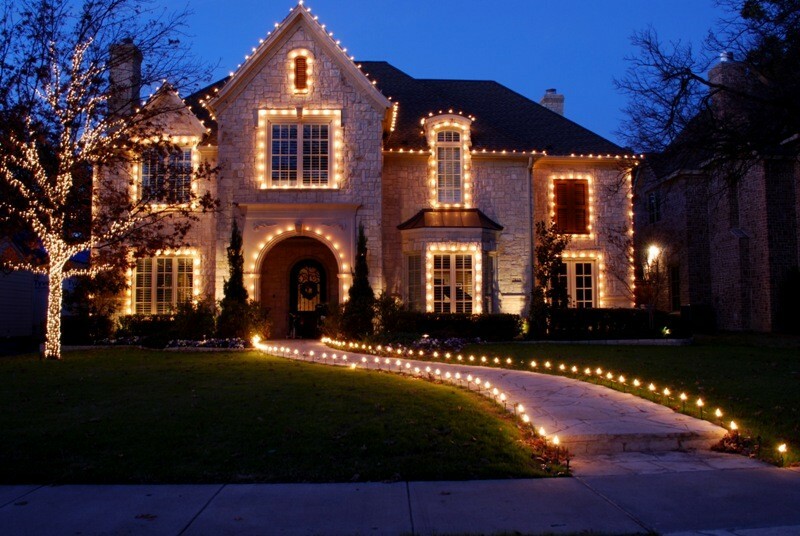 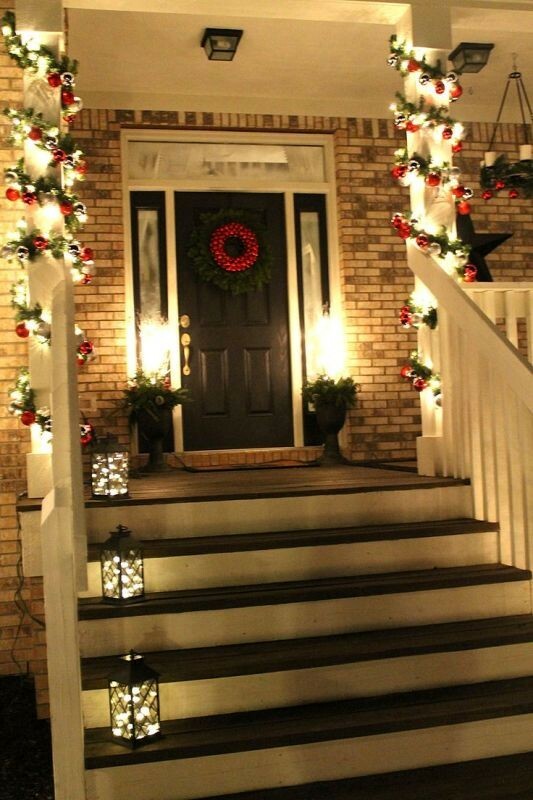 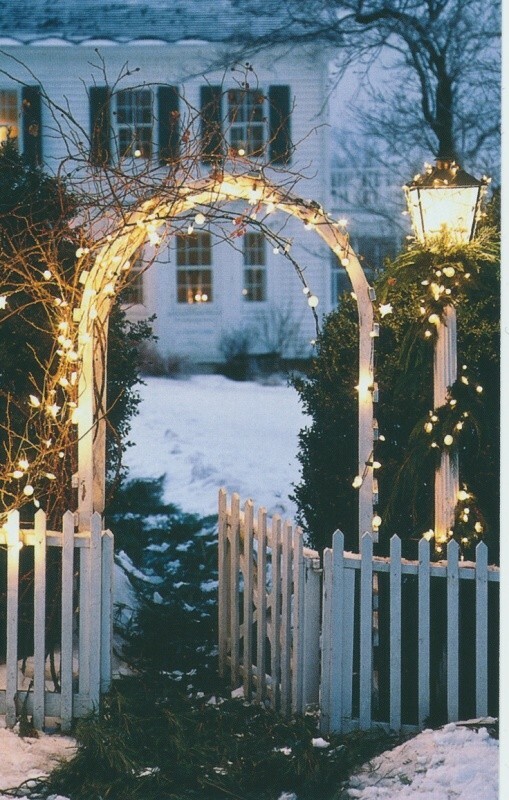 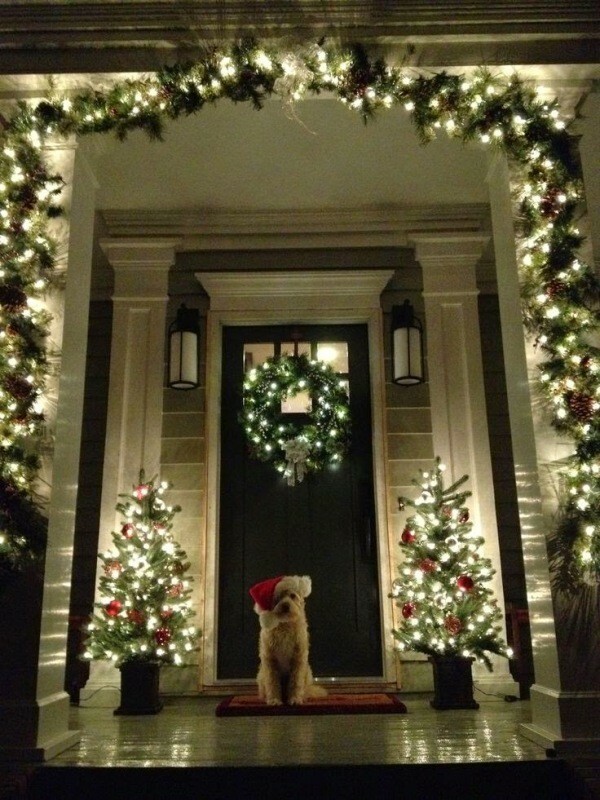 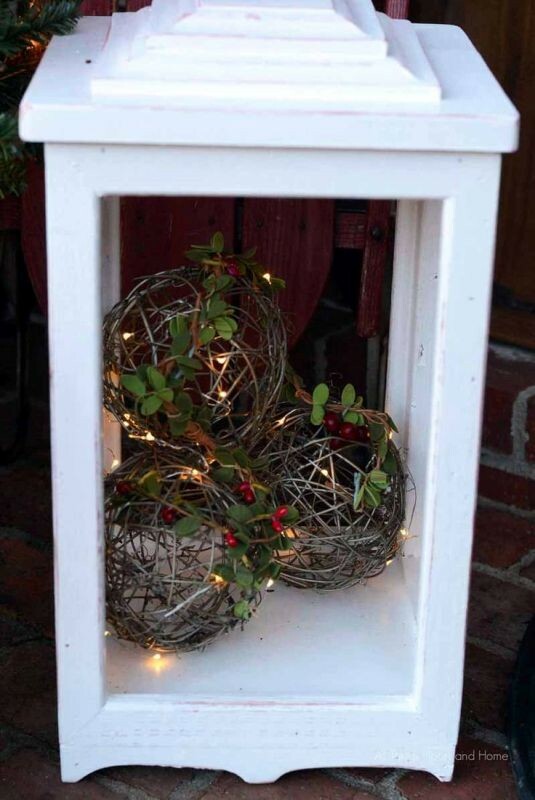 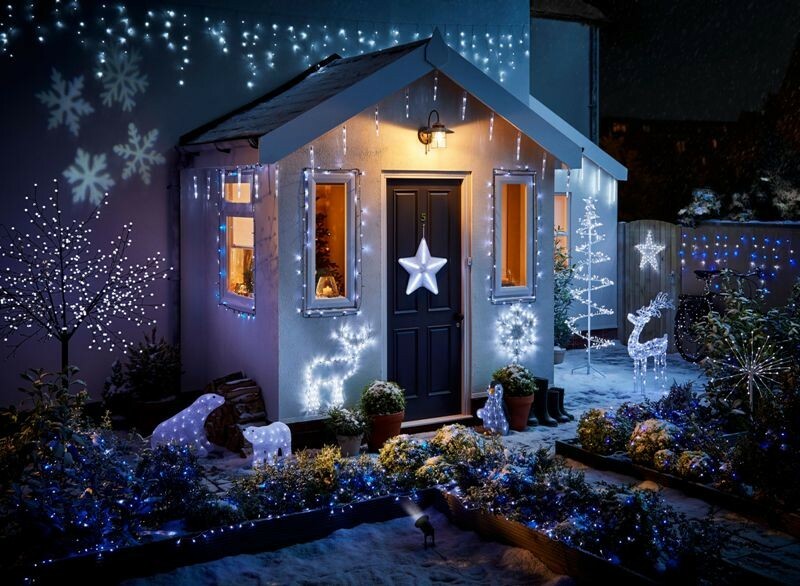 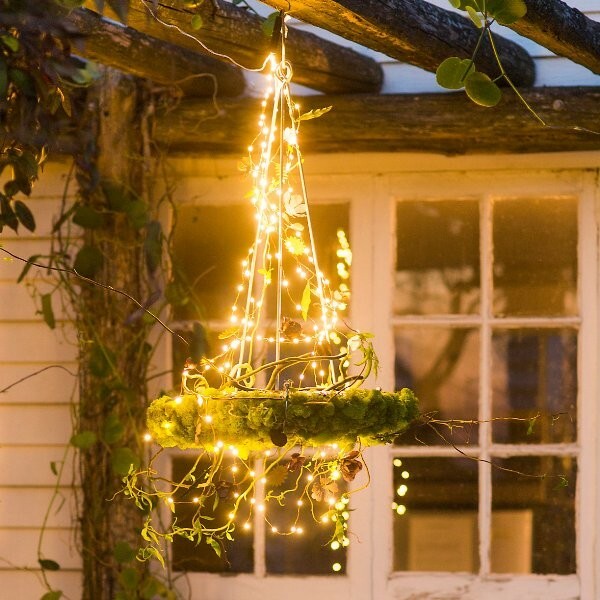 Adding string lights to garlands can help you outline your front door in a catchy way. 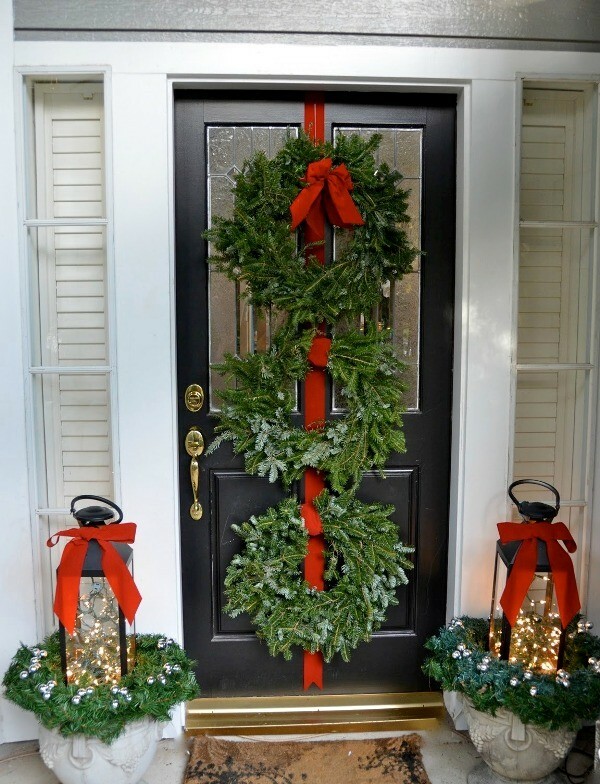 Wreaths are also essential for decorating your front door for Christmas. 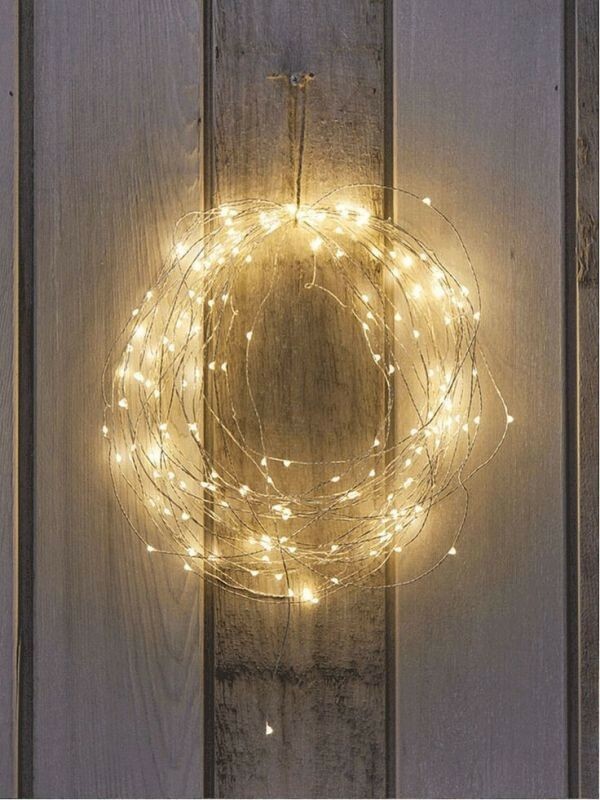 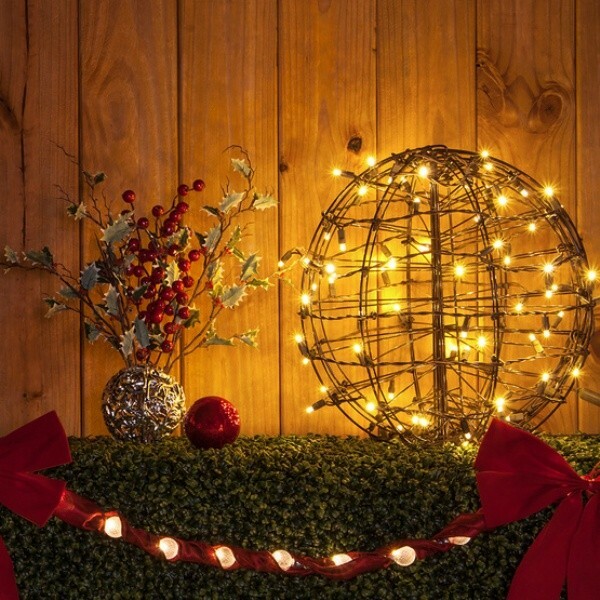 By adding twinkle lights or string lights to your wreaths, you can make them more impressive. 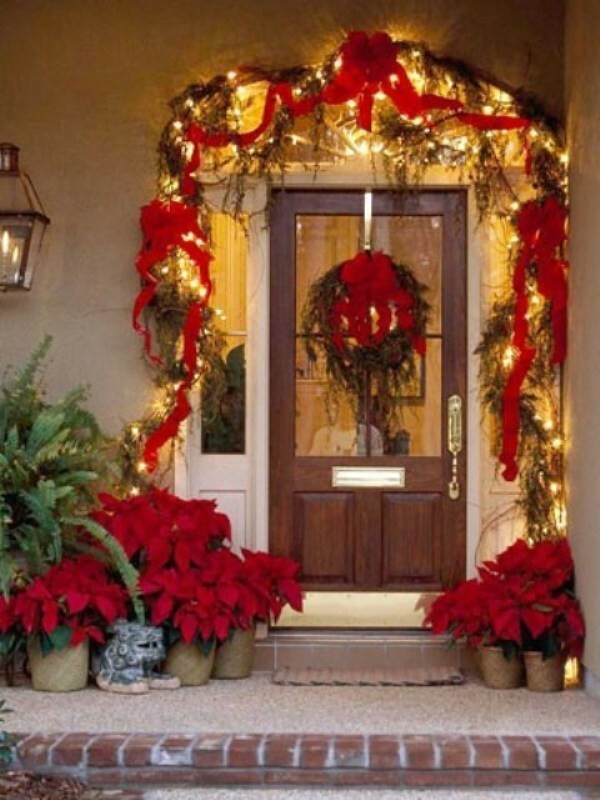 In addition, you also need to add simple decorative items on both sides of your front door for a stunning look. 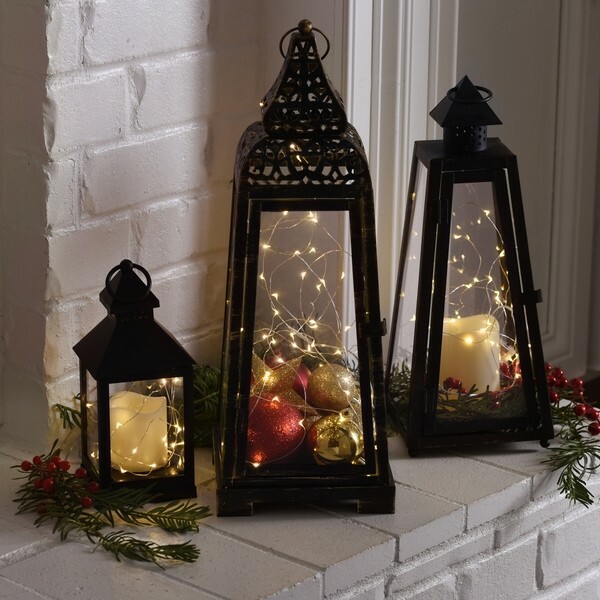 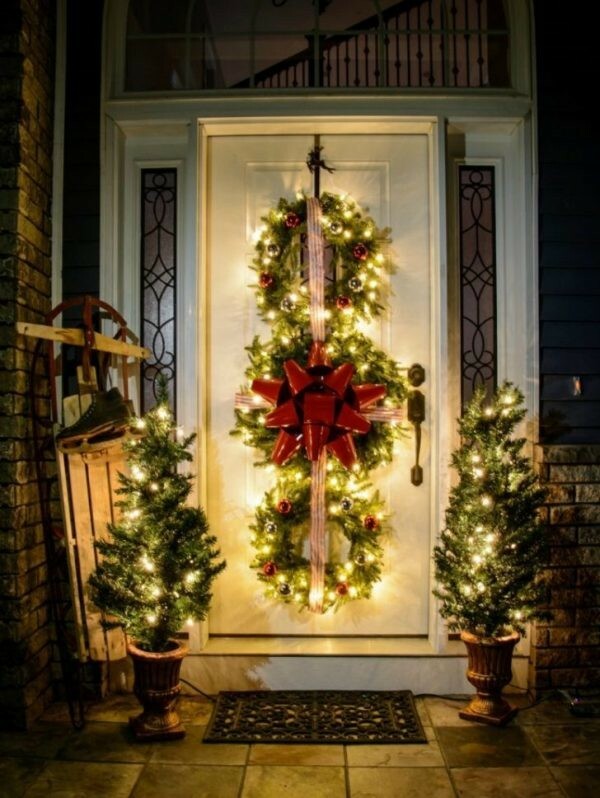 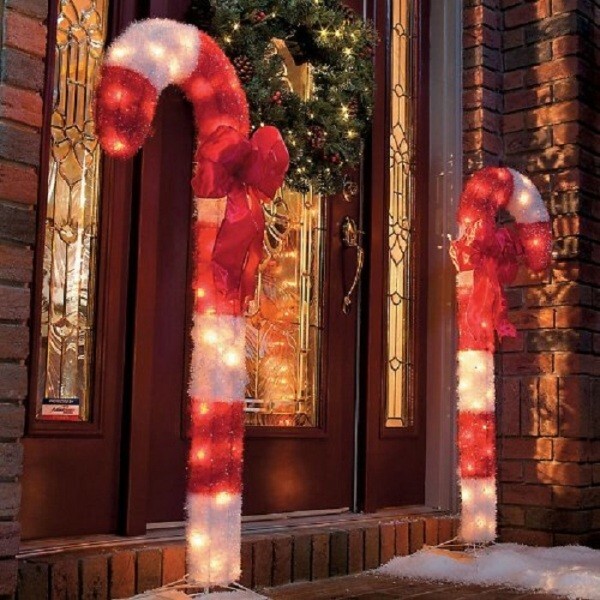 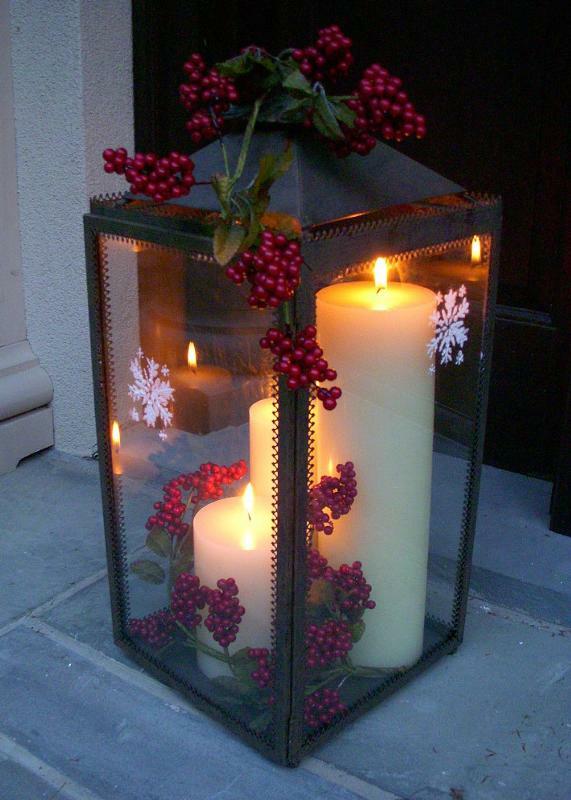 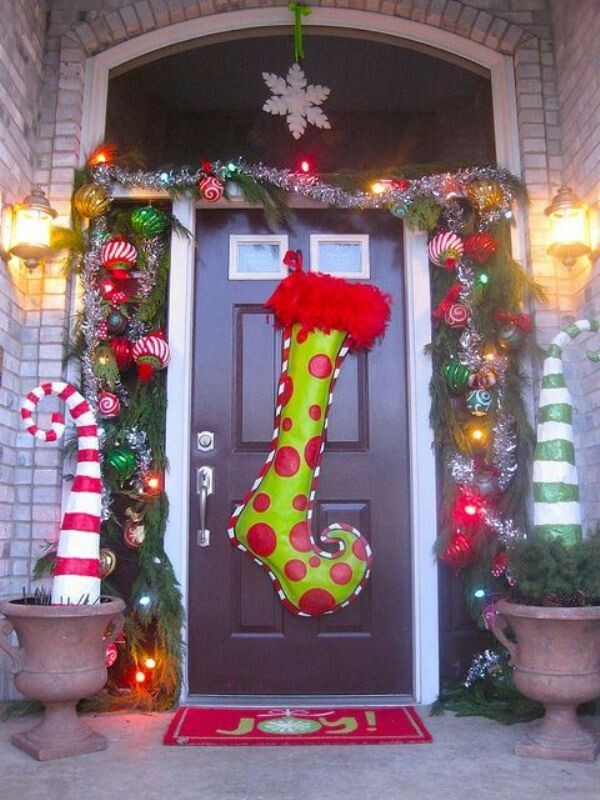 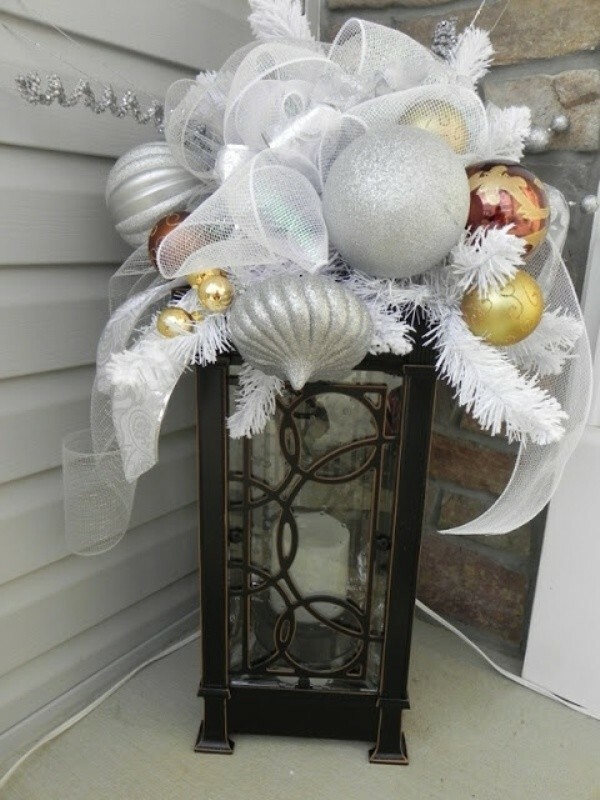 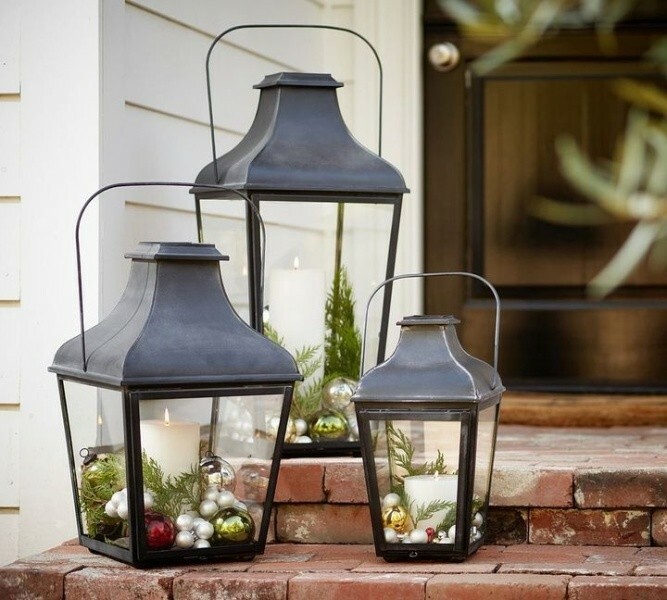 Lanterns, large candy canes, and planters with lights are also perfect for decorating your front door. 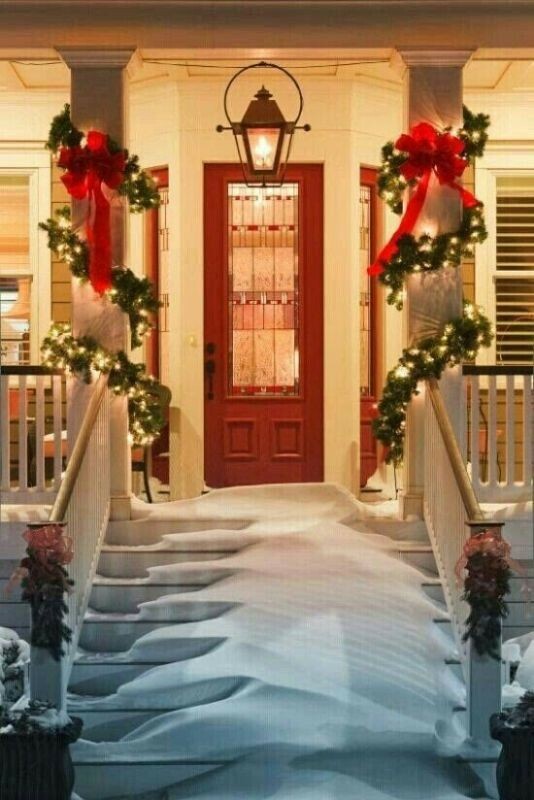 What about your porch and front yard? 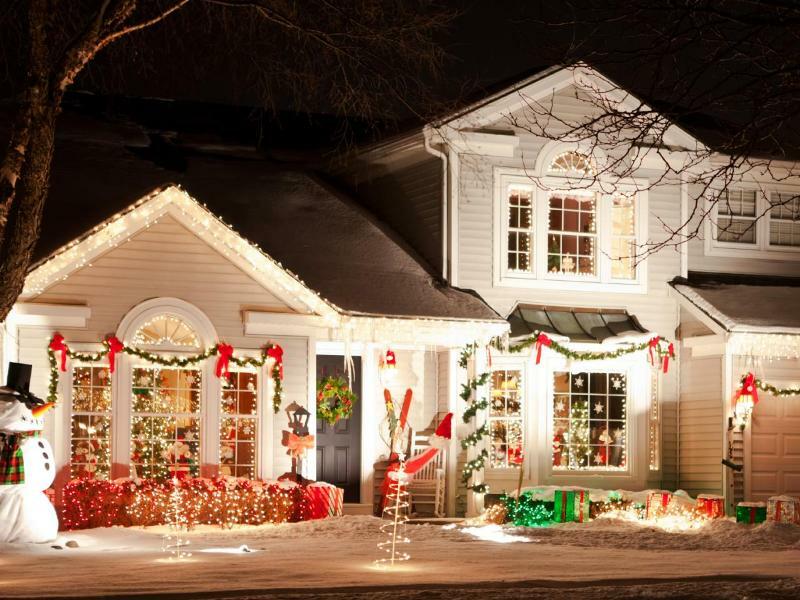 Decorating those large areas requires using giant decorative items and Christmas ornaments to be easily seen by your guests when they come to visit you and celebrate Christmas at your home. 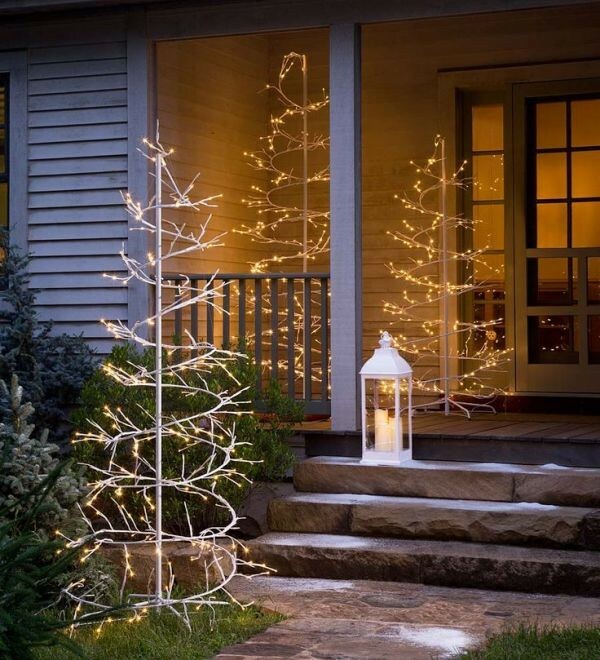 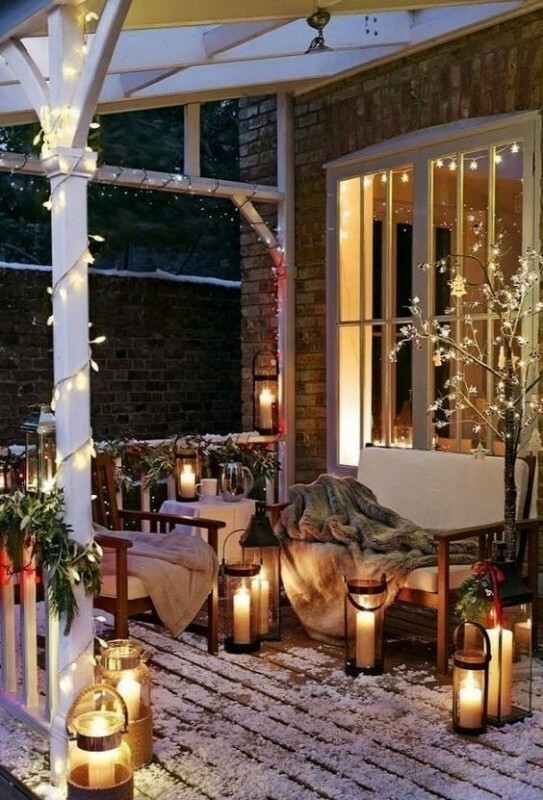 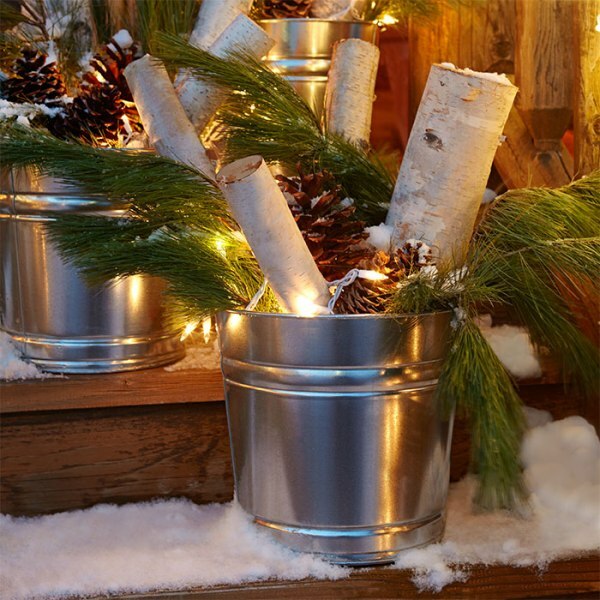 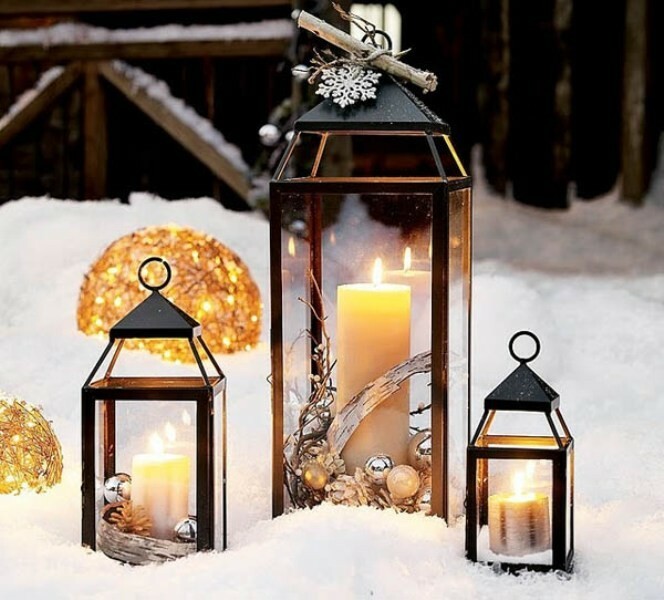 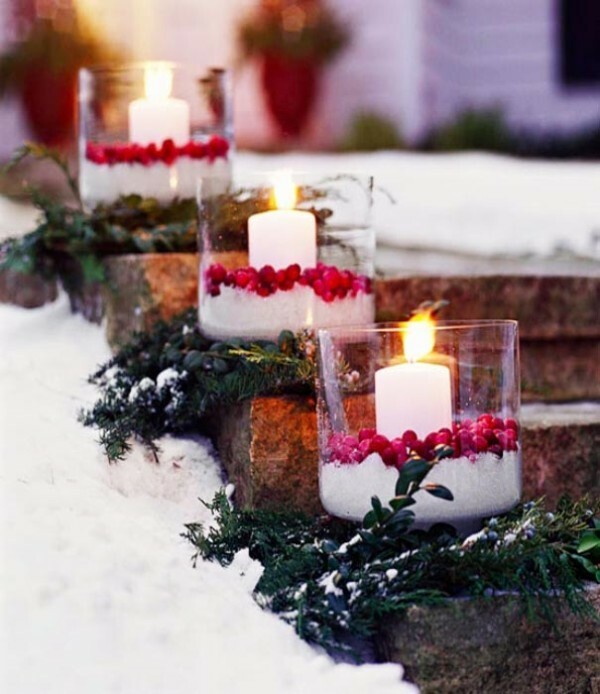 For your porch, you can use those small trees with string lights, wrap columns through adding garlands or ribbons with lights, frame windows with the help of string lights or rope lights, and use lanterns or Christmas light balls for decorating the floor. 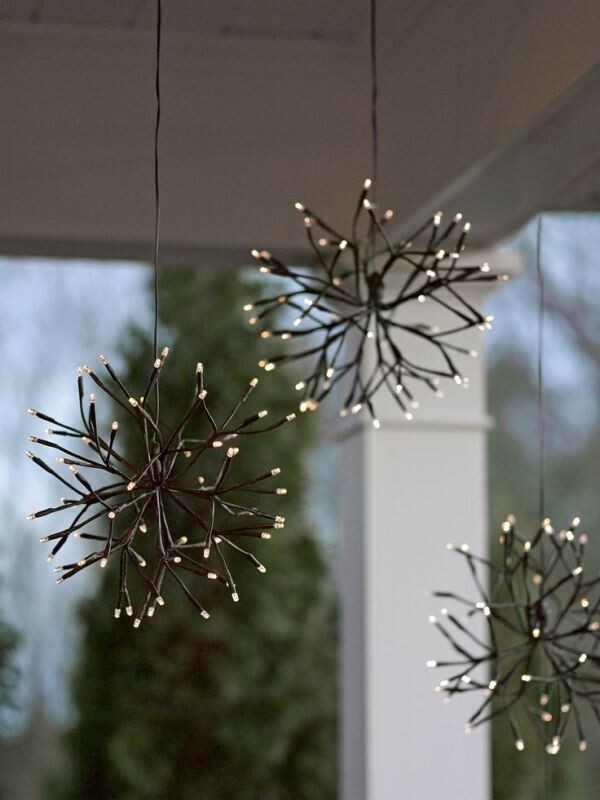 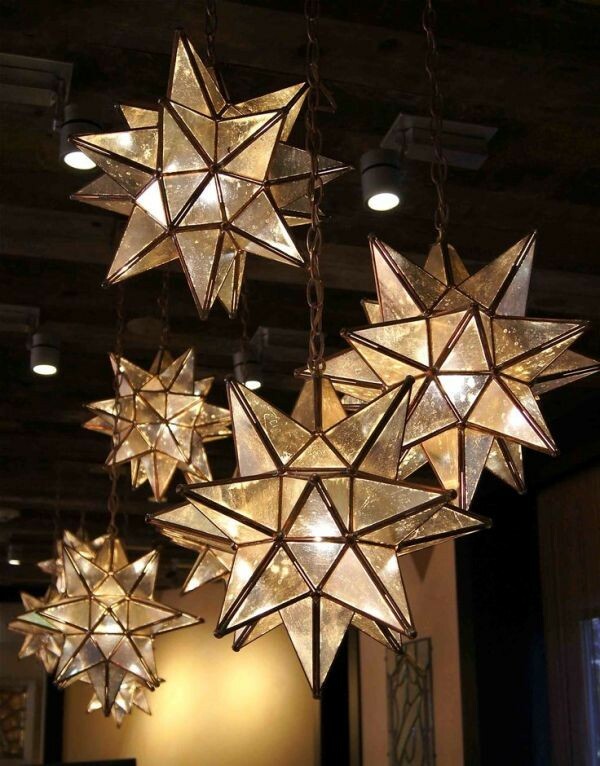 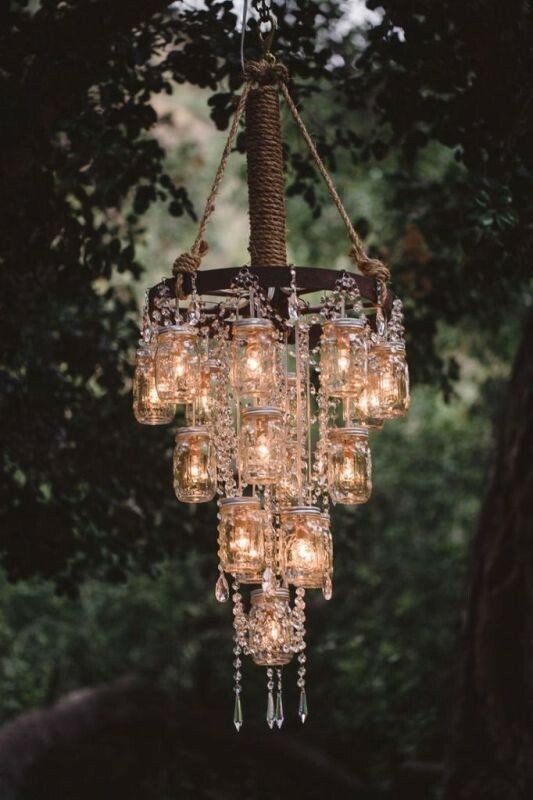 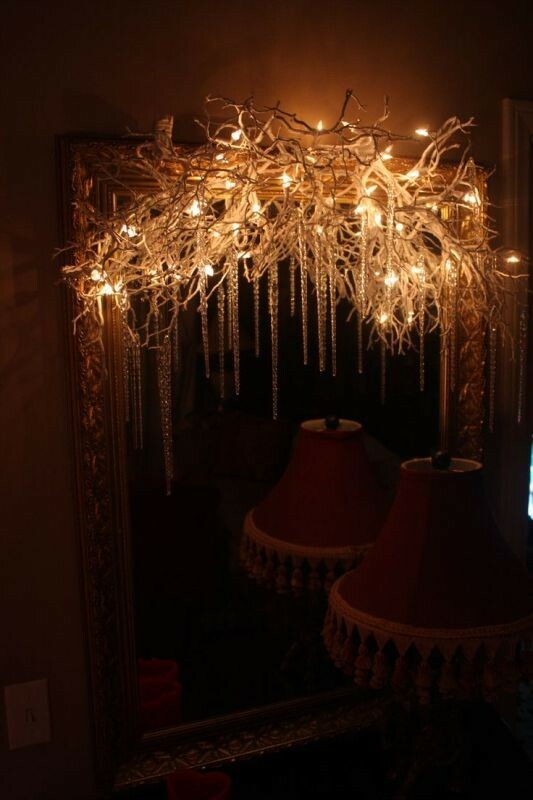 You can also hang chandeliers or use small flower pots with lights for decorating the ceiling. 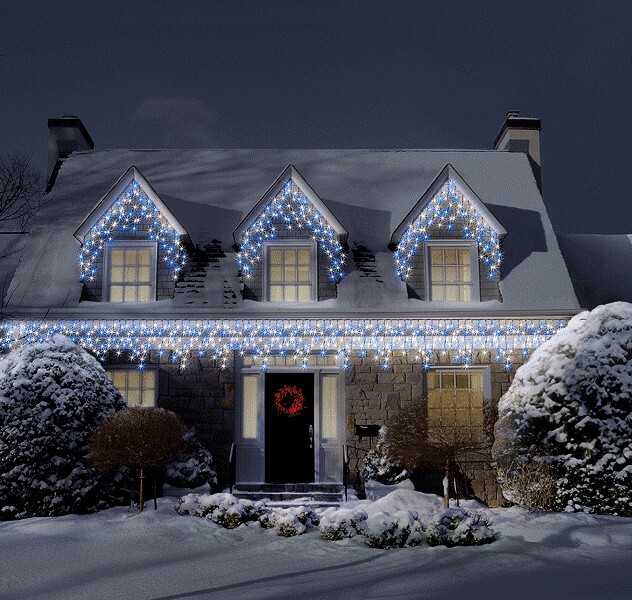 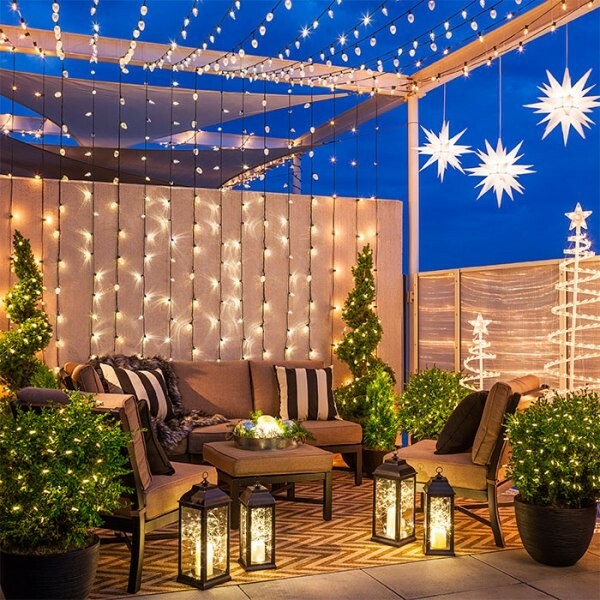 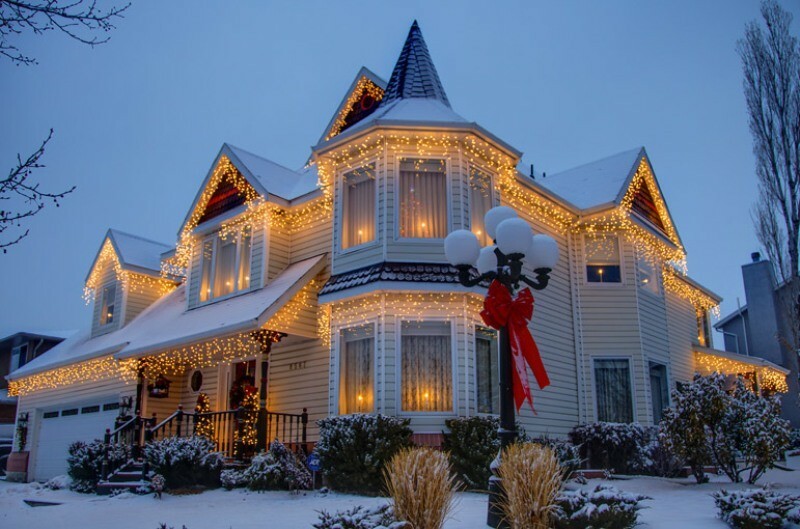 To decorate the roof, you need to opt for using bulbs or hanging icicle lights for an amazing look. 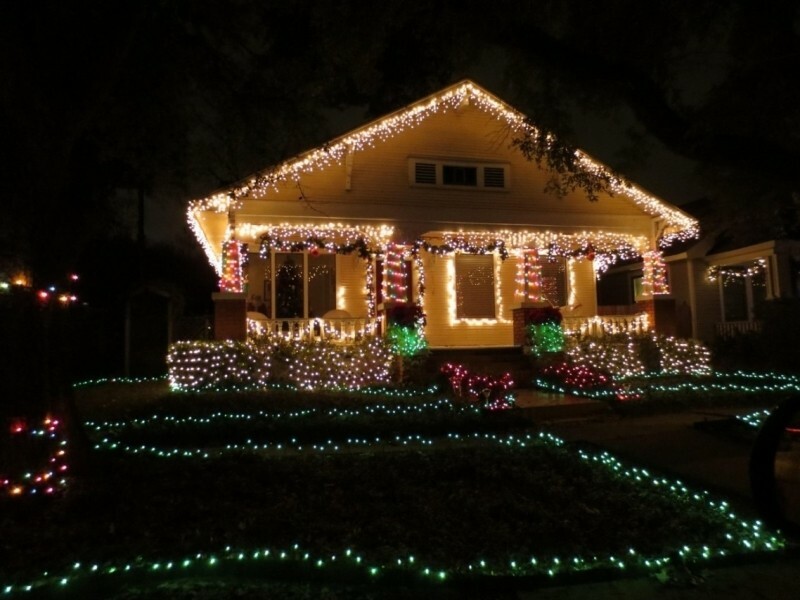 Net lights are also perfect if you want to completely cover the roof. 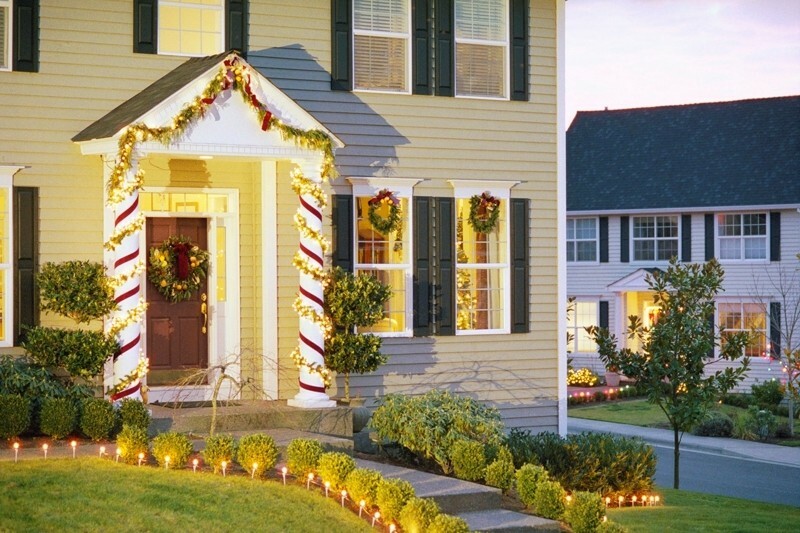 After finishing decorating your house, you need to move to decorating your yard. 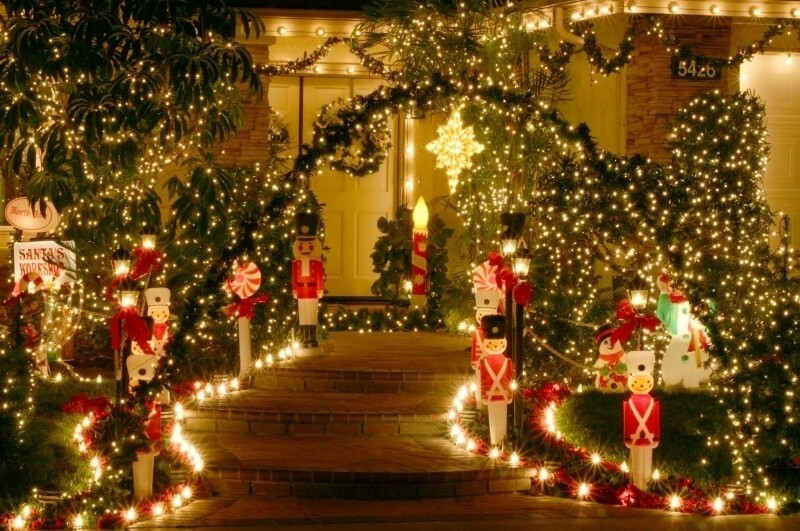 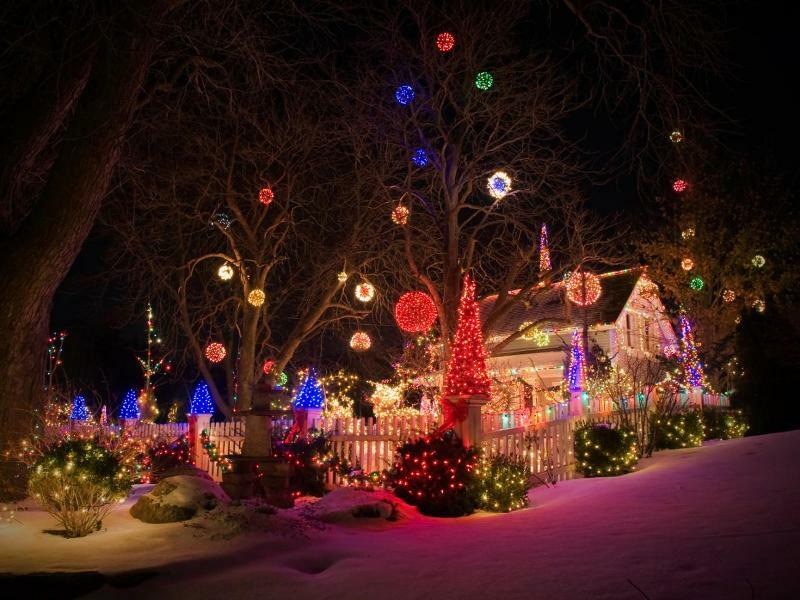 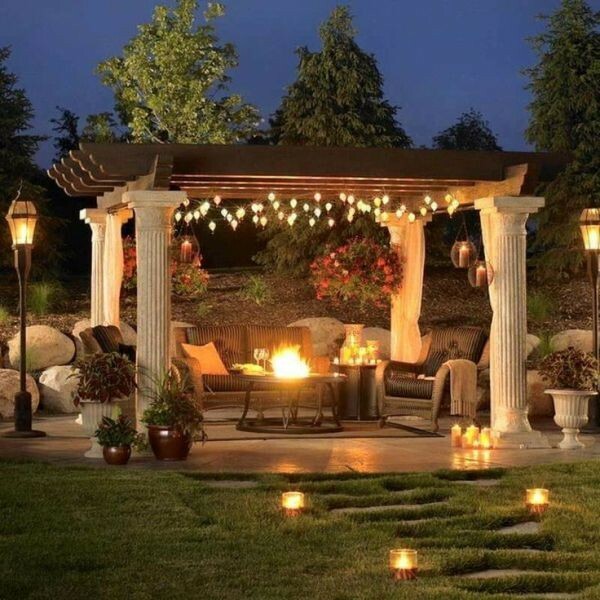 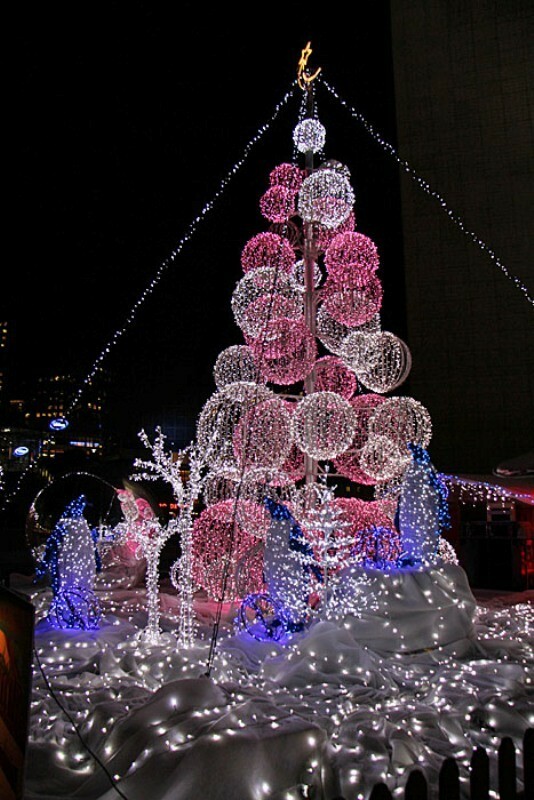 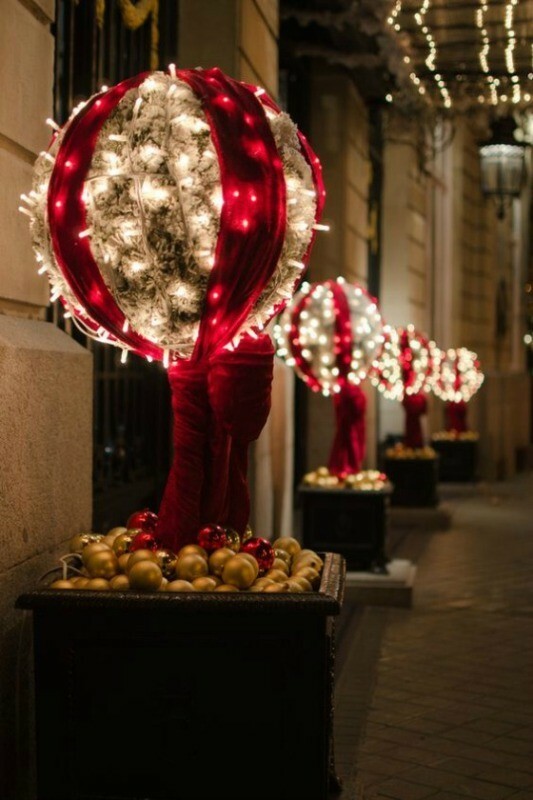 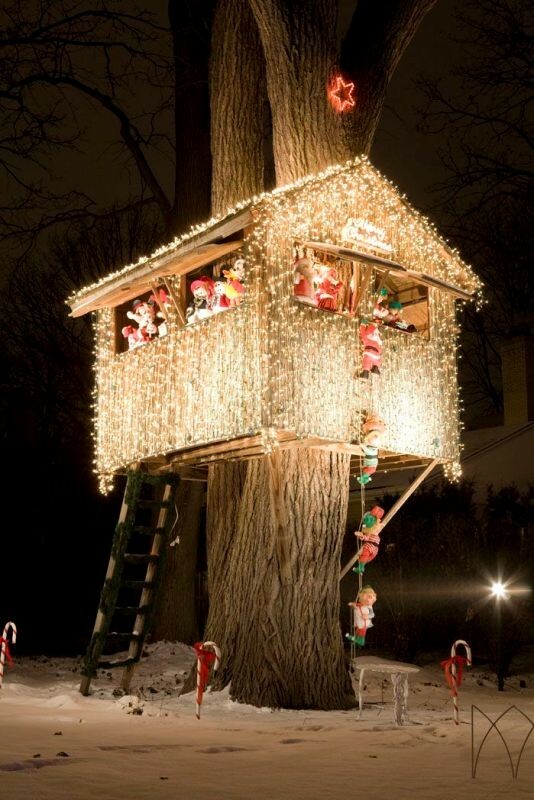 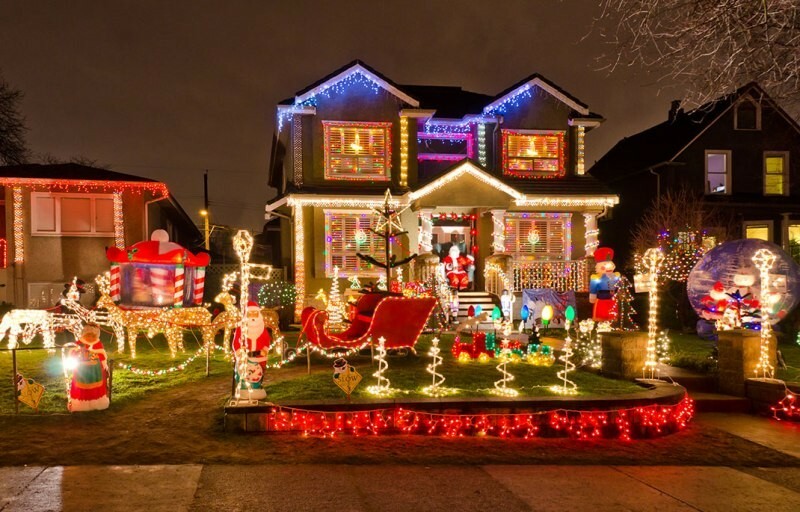 Although decorating your yard is more tiring since it requires exerting more effort, you will find it more interesting. 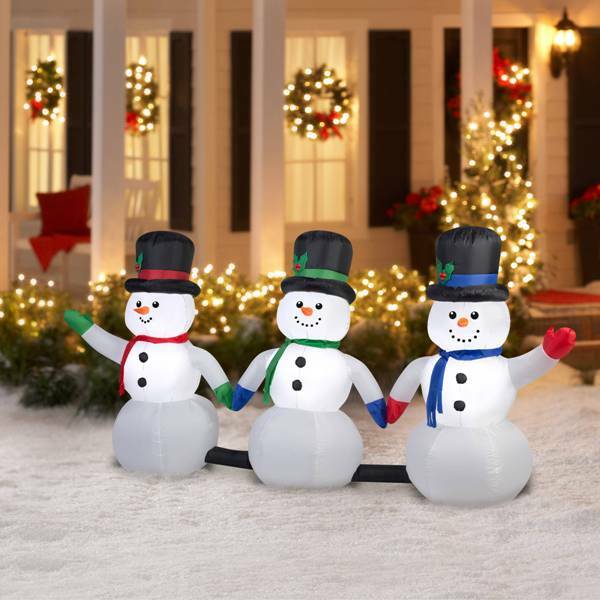 There are different decorative items you can use for preparing your yard for Christmas such as inflatables, Christmas light balls, animal topiaries, lighted motifs, Christmas tree alternatives, and much more. 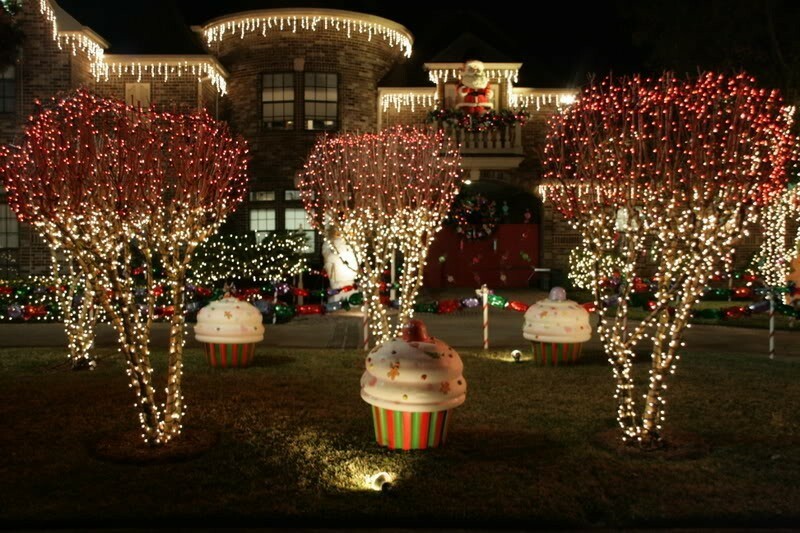 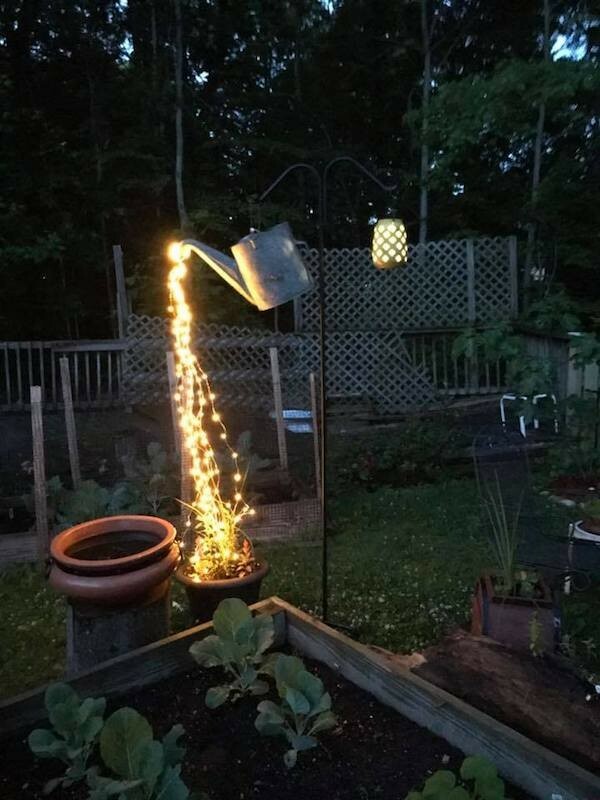 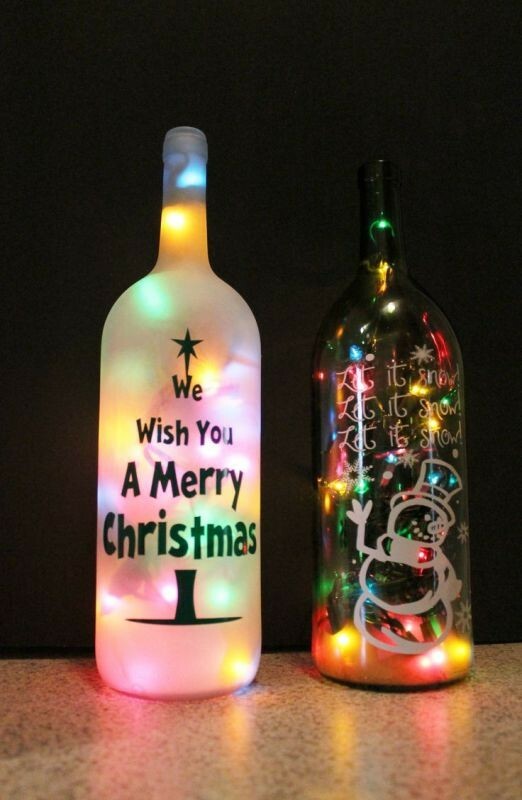 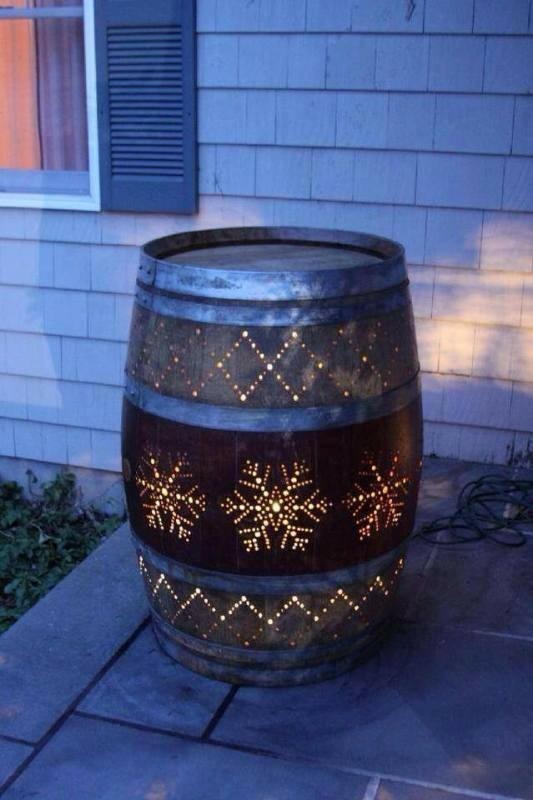 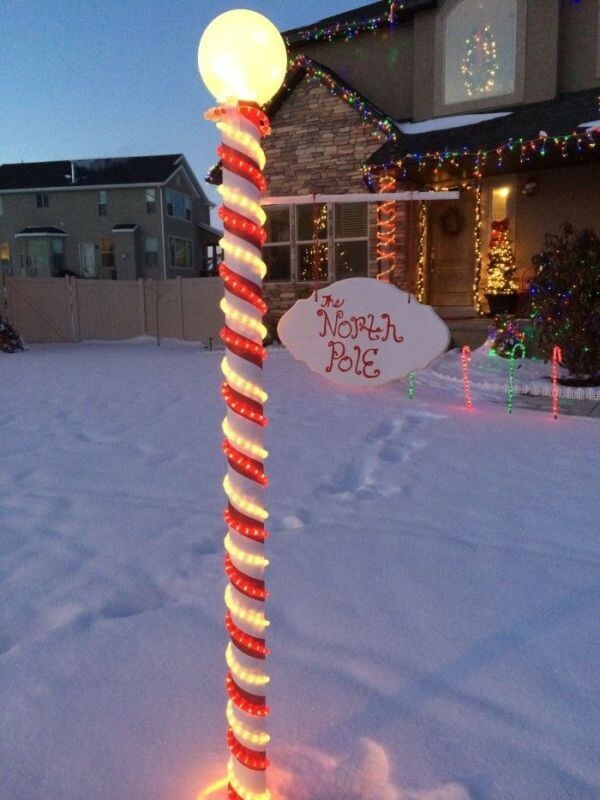 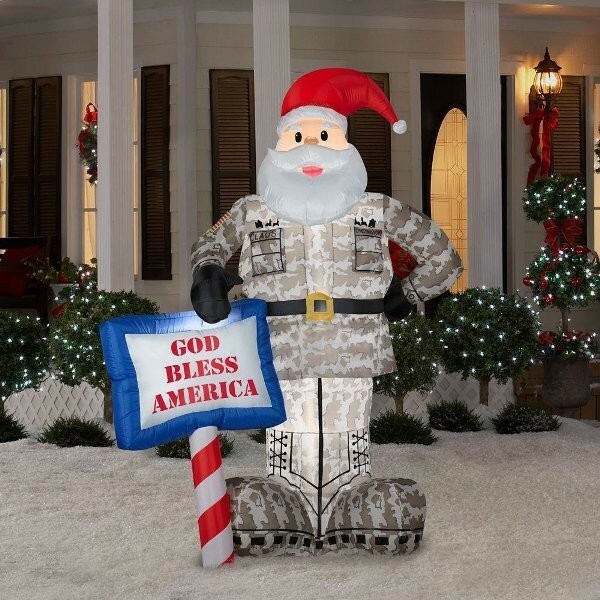 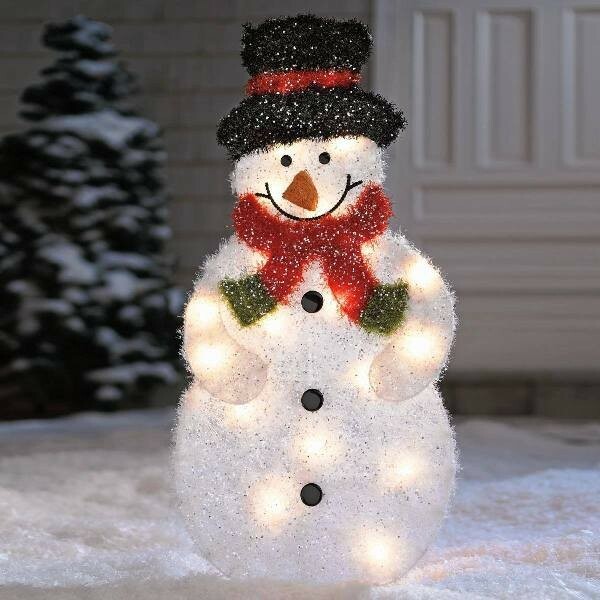 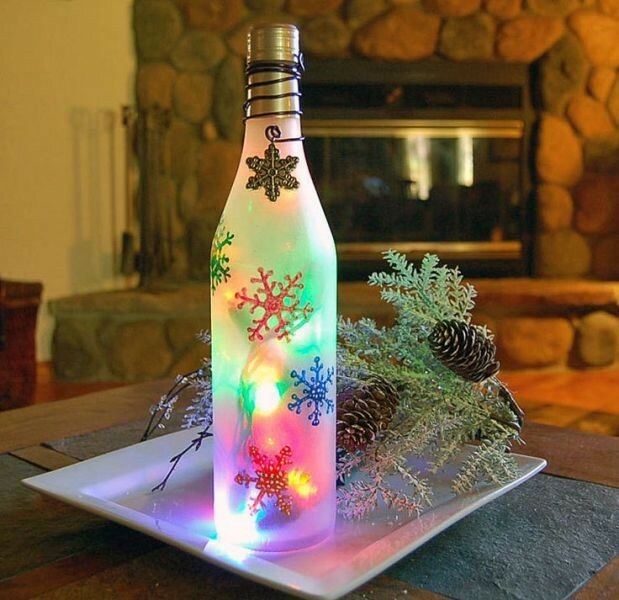 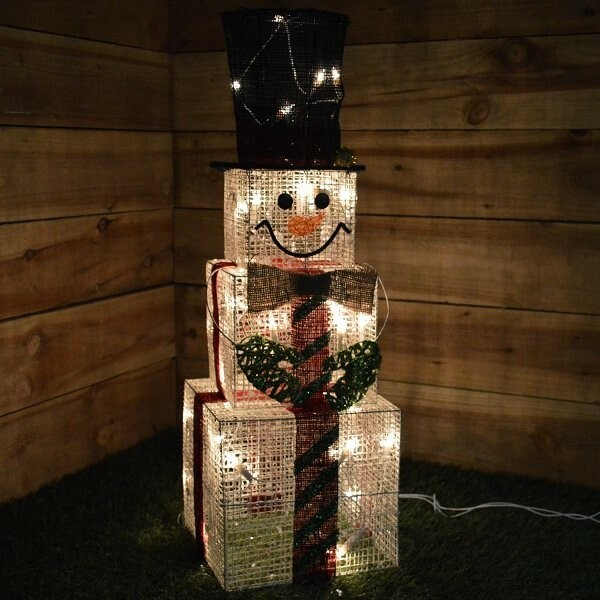 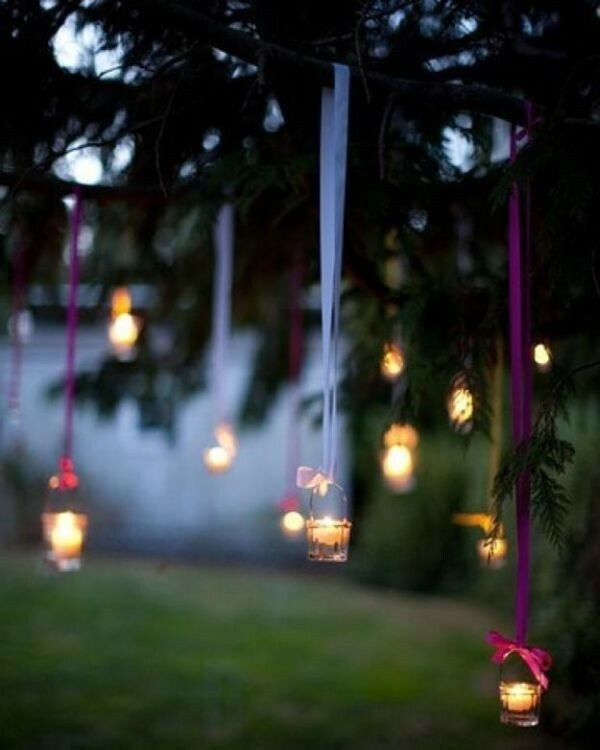 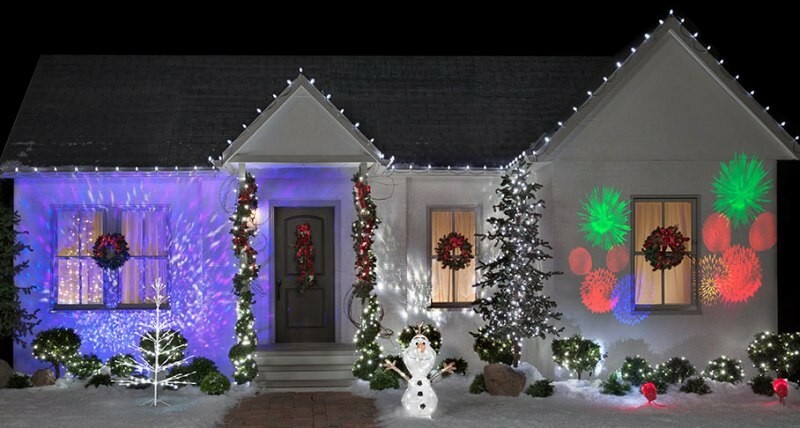 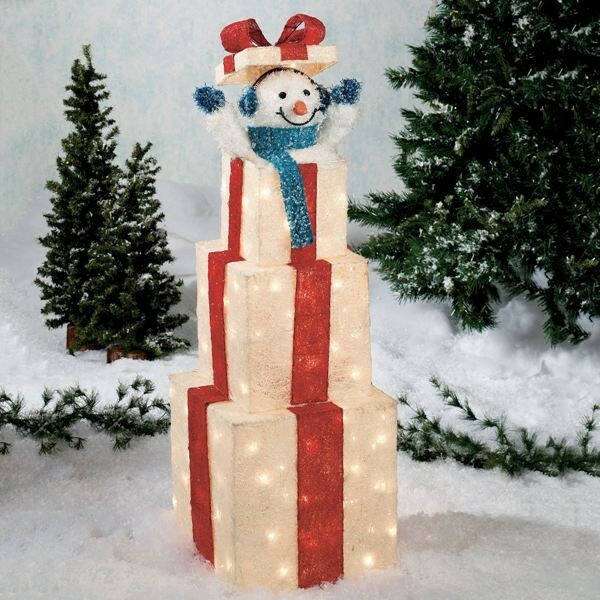 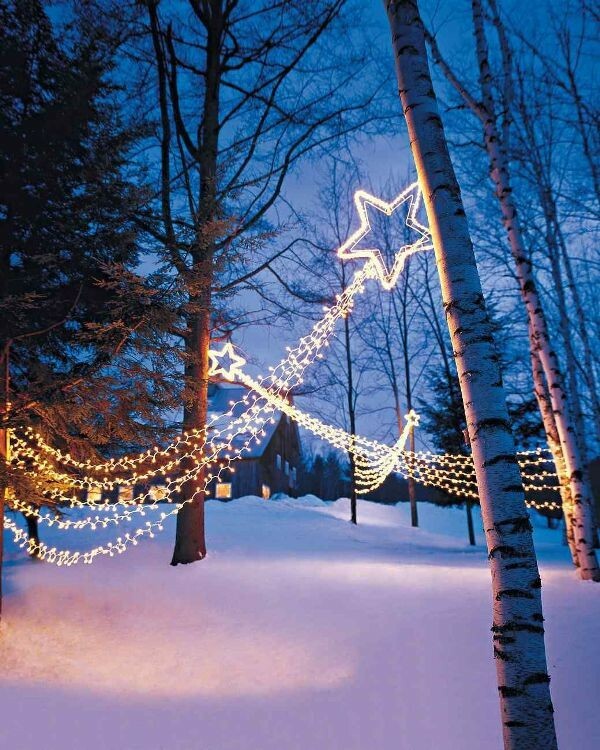 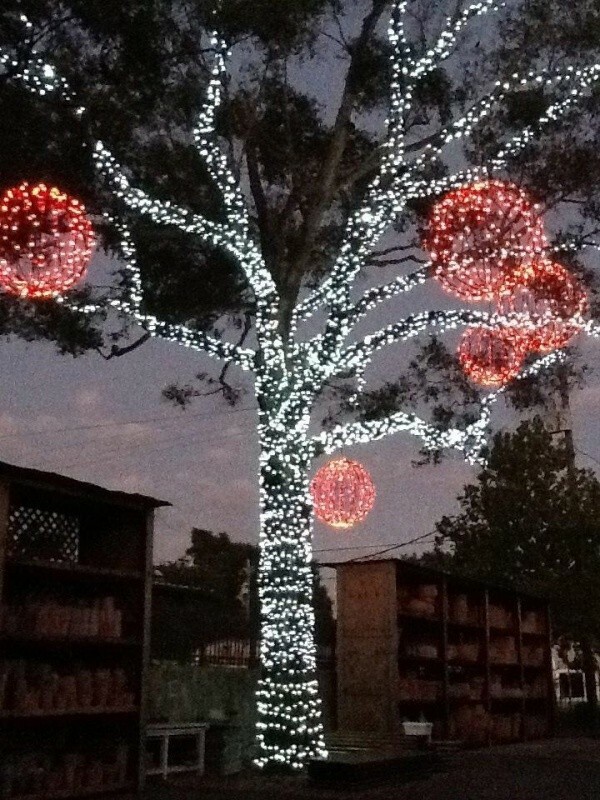 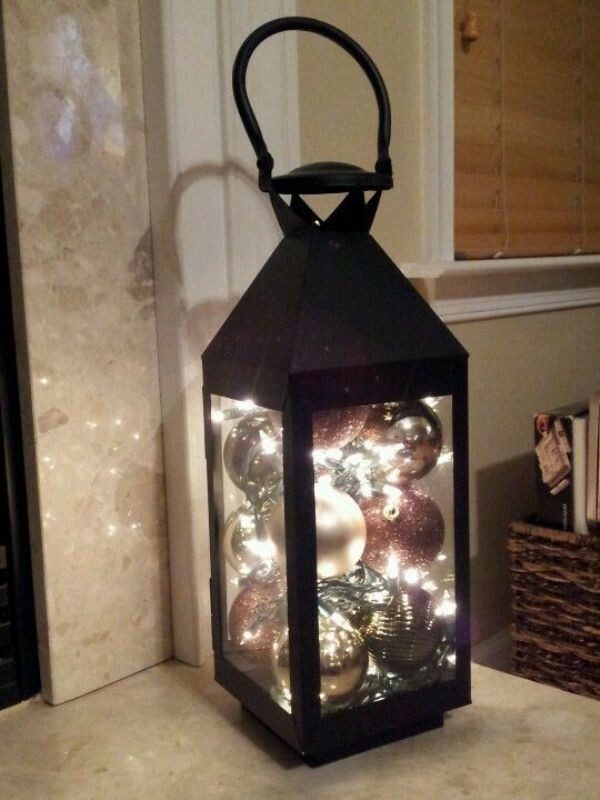 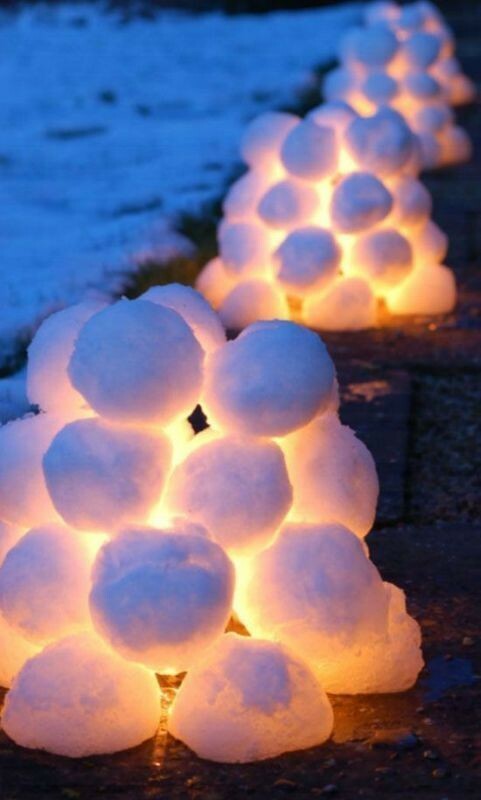 You will need to use lights for decorating everything you have in your yard. 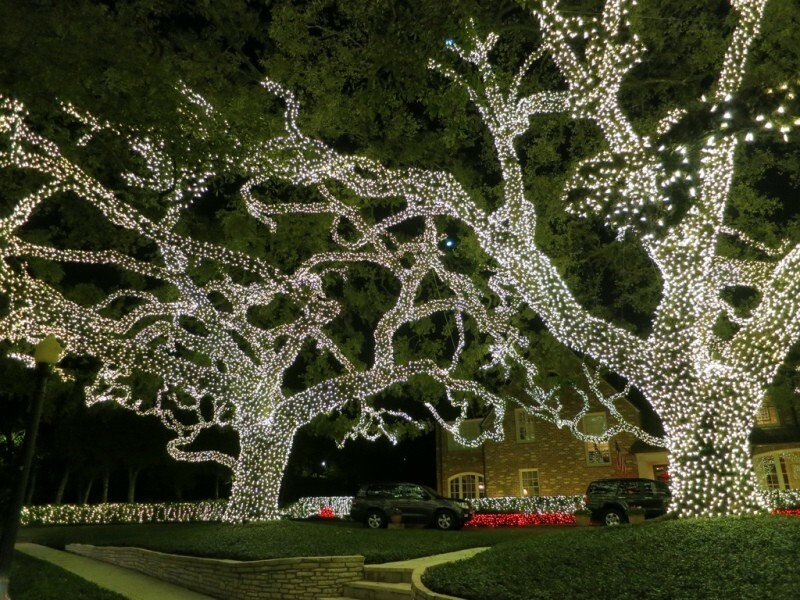 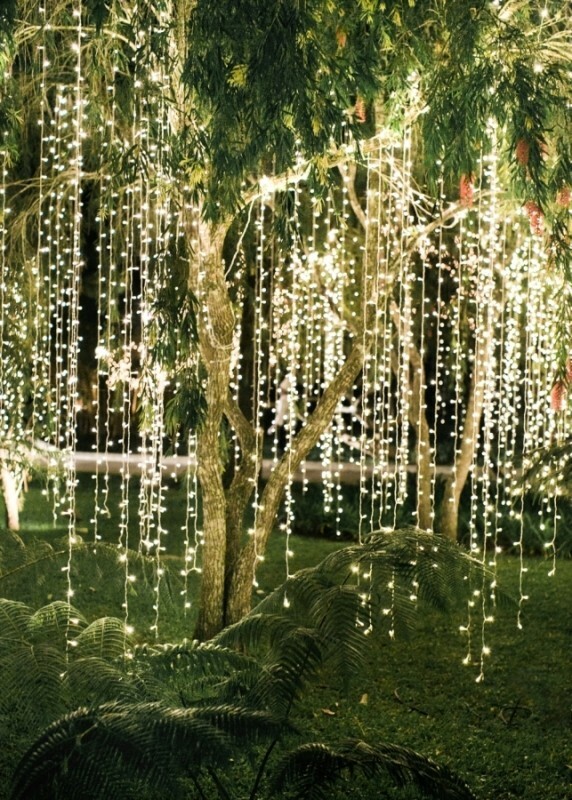 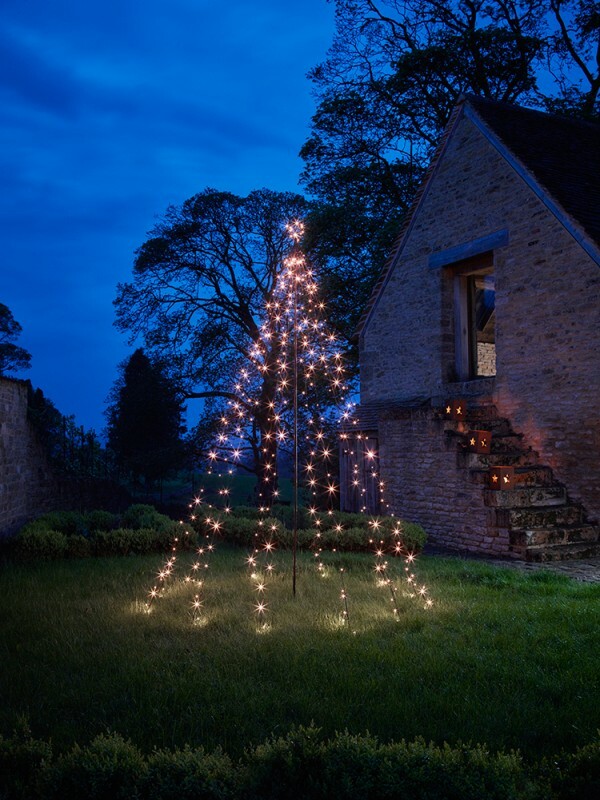 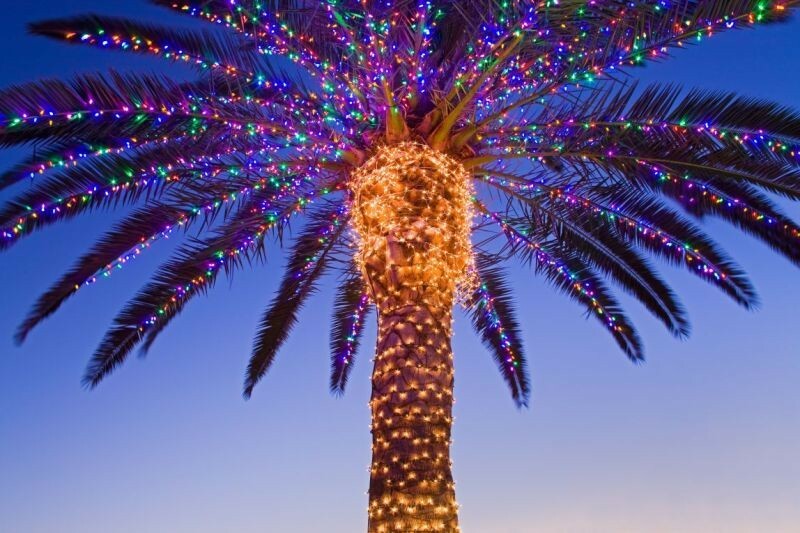 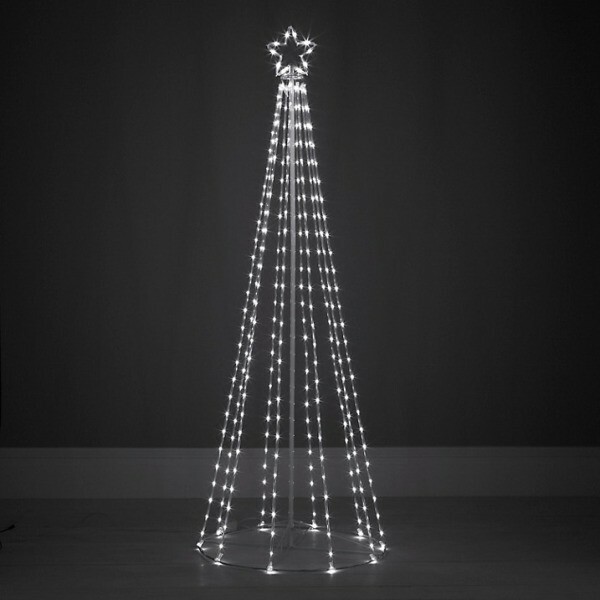 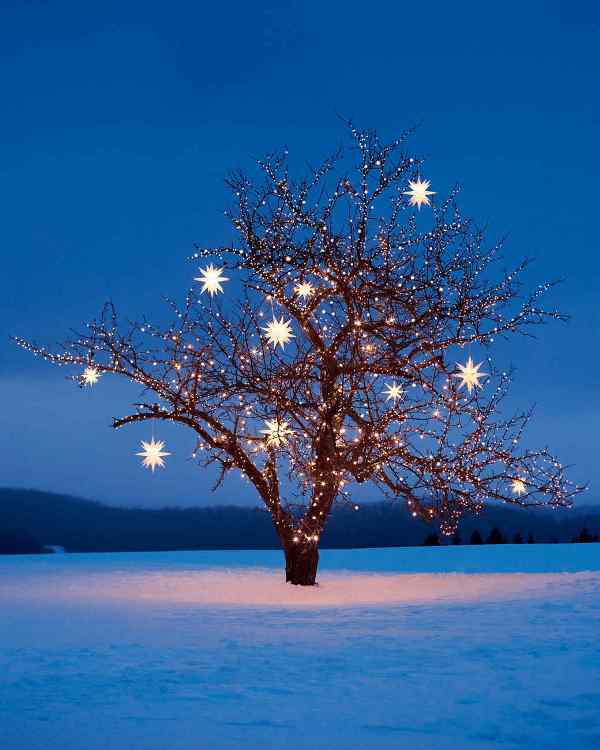 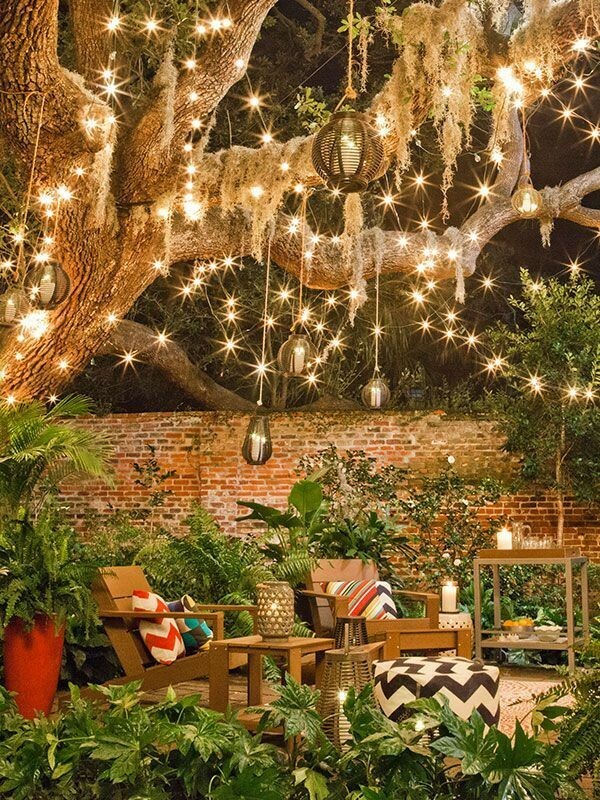 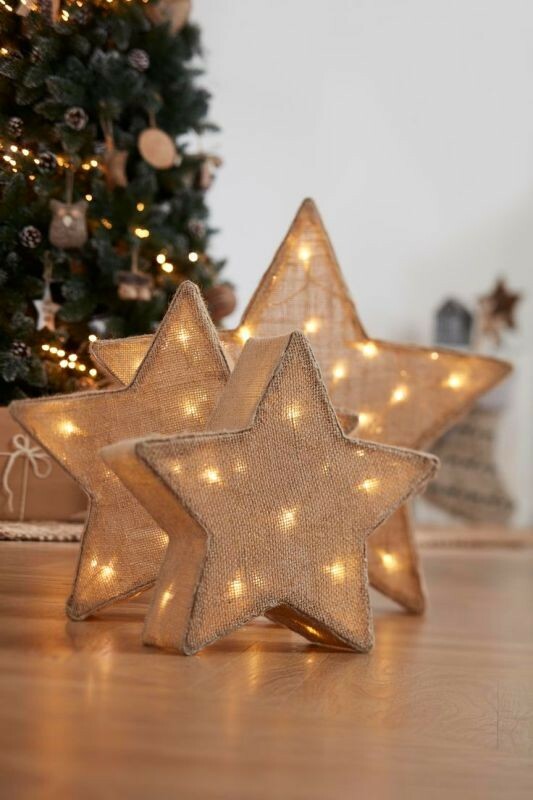 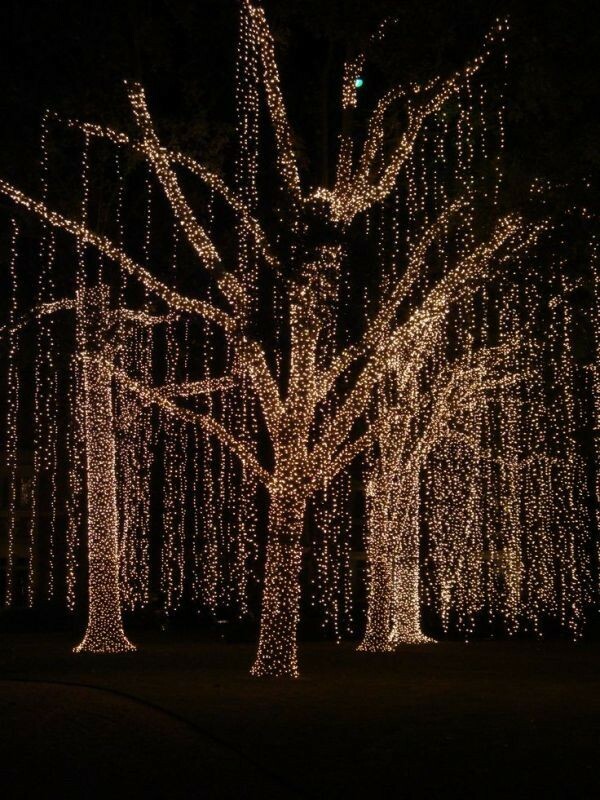 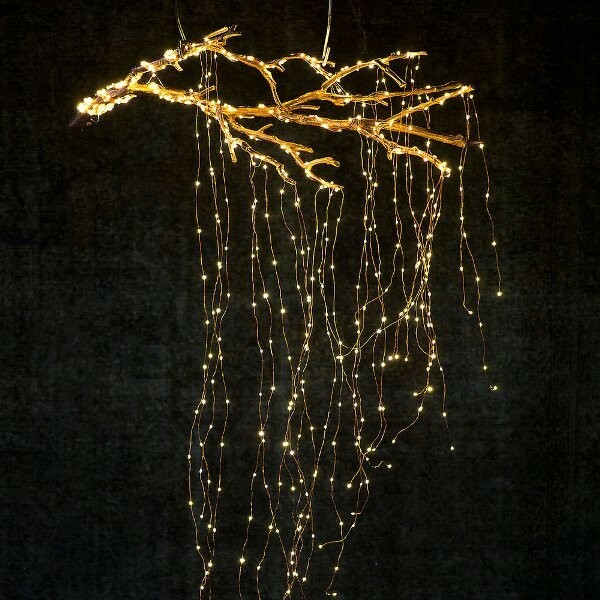 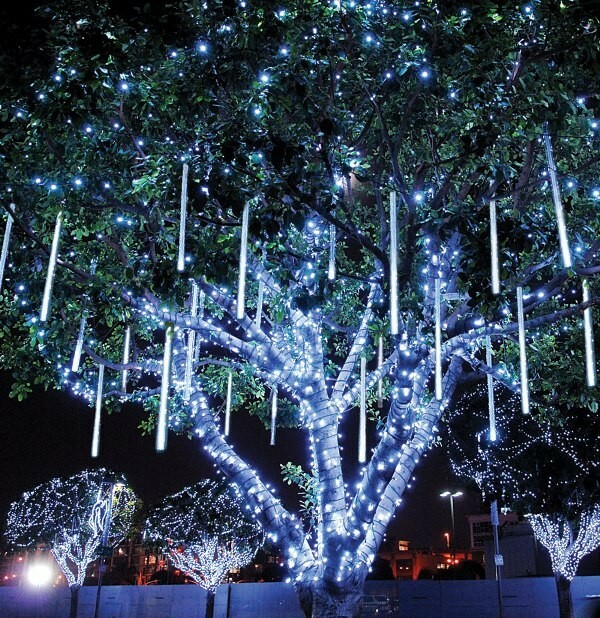 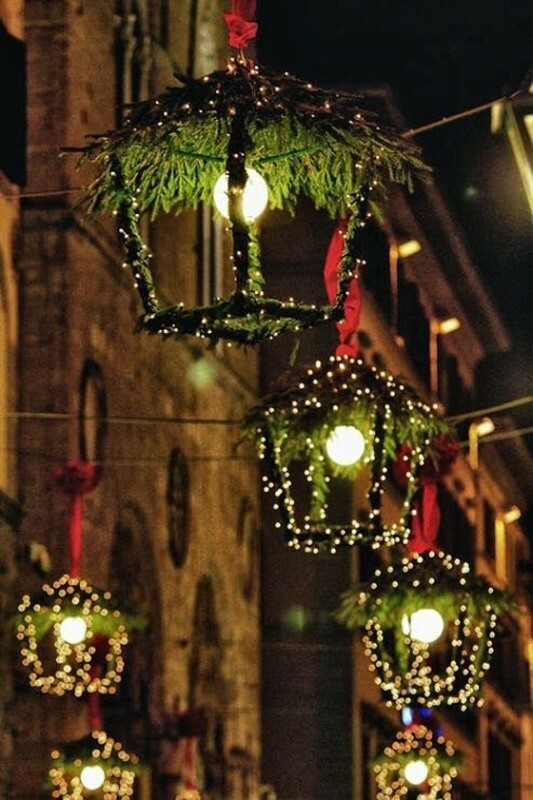 Those trees which have no leaves can be decorated through using string lights, but you have to bear in mind that your lights should nearly have the same height for a catchy look. 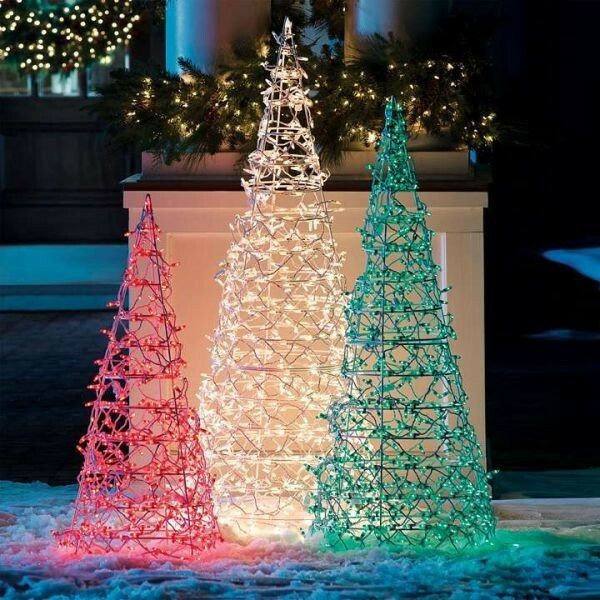 You can use different colors for decorating your trees and adding a fascinating look to your yard. 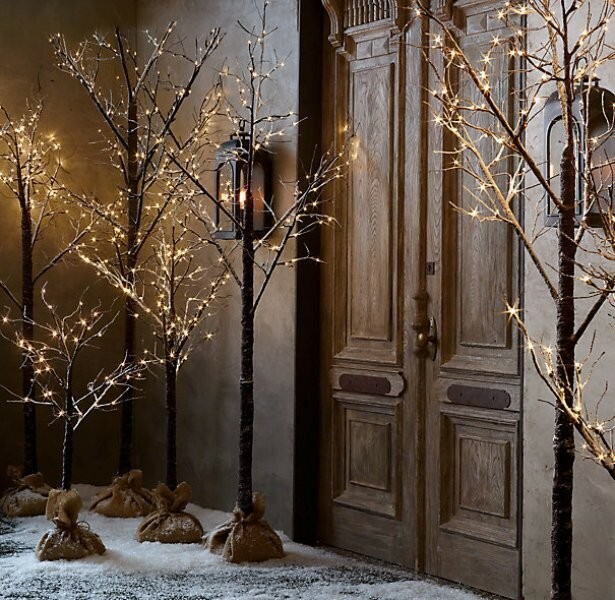 You can also hang fairy lights, twinkle lights, snowflake lights, or Christmas light balls from trees to get the stunning look you want. 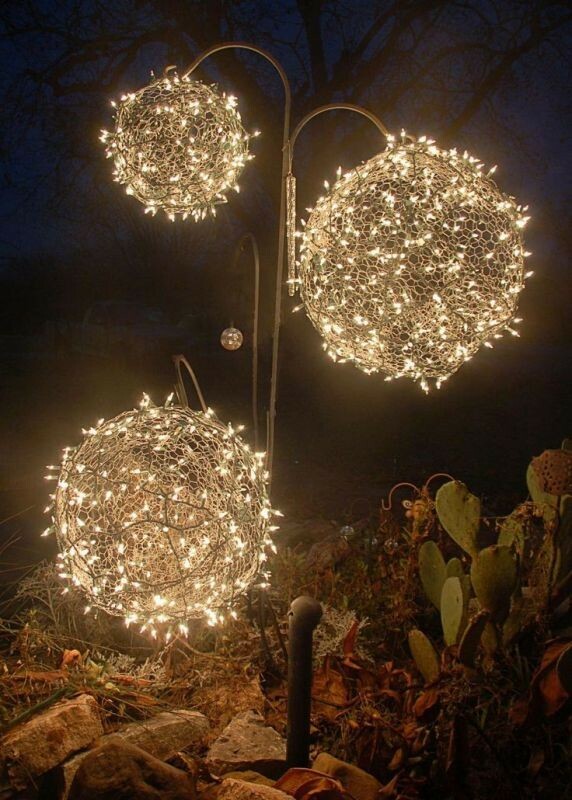 Net lights are perfect for decorating hedges. 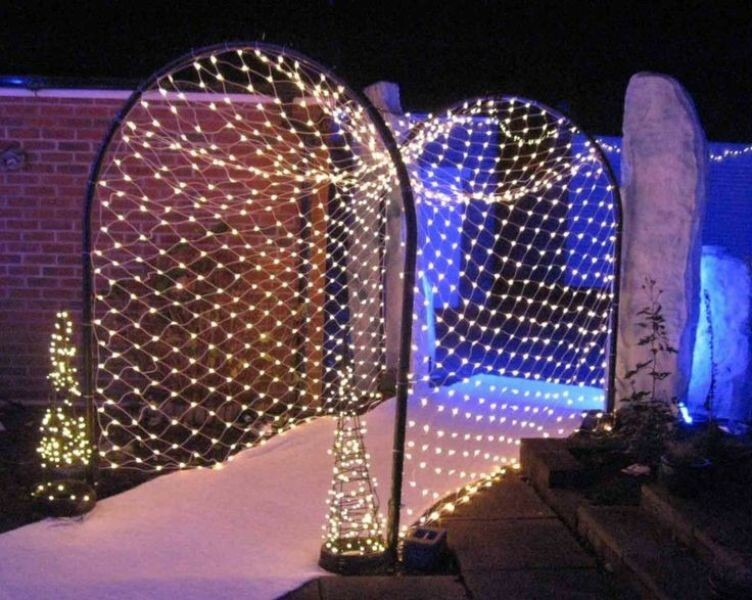 They may cost you more than other types of lights, but they are better and easier as they do not require wasting a long time and exerting a huge effort to be installed. 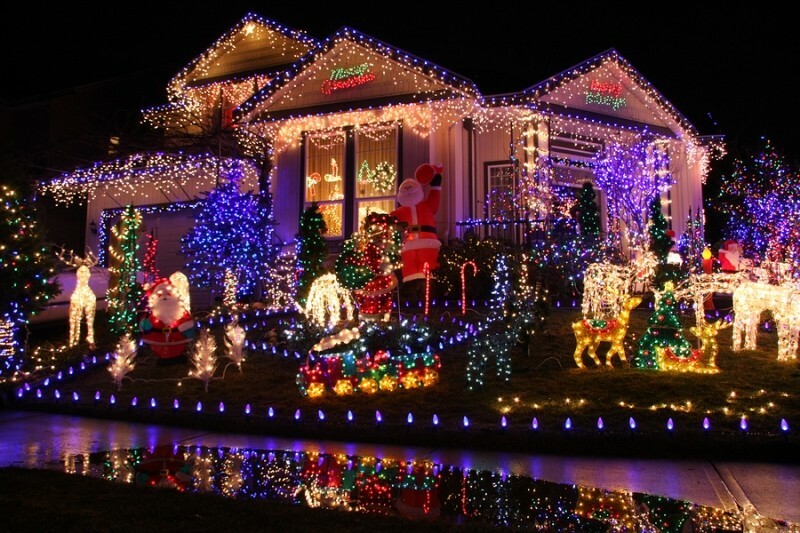 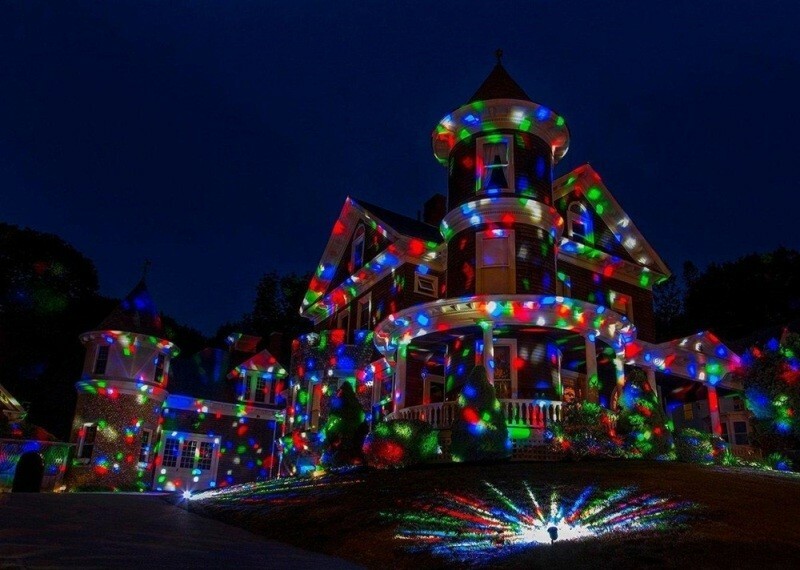 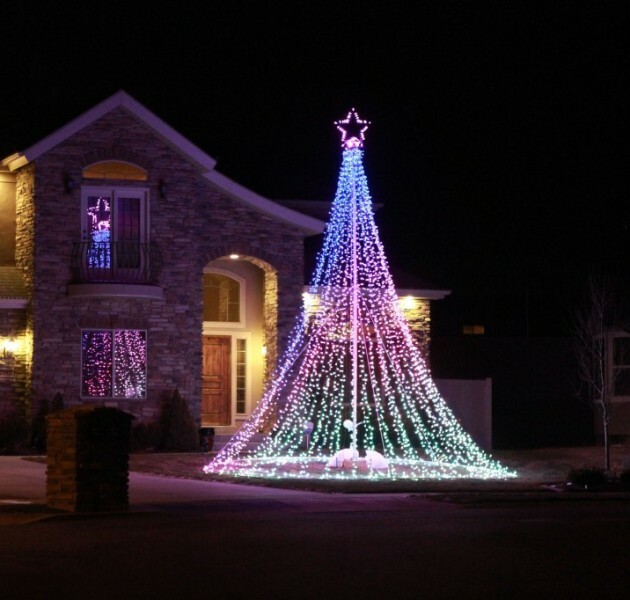 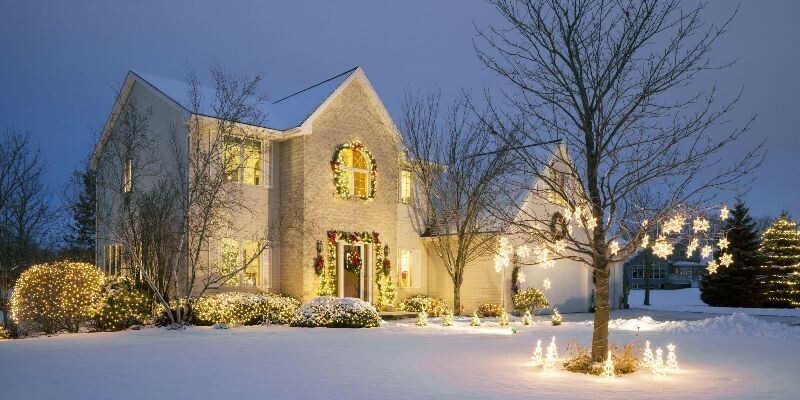 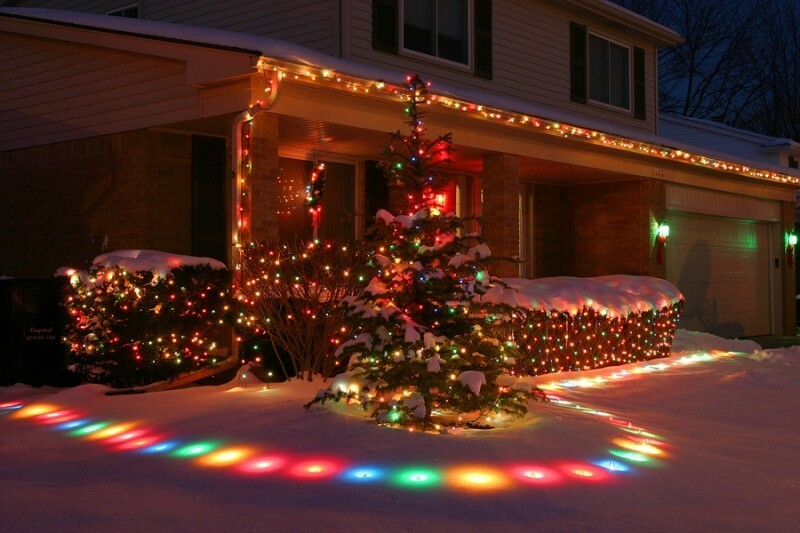 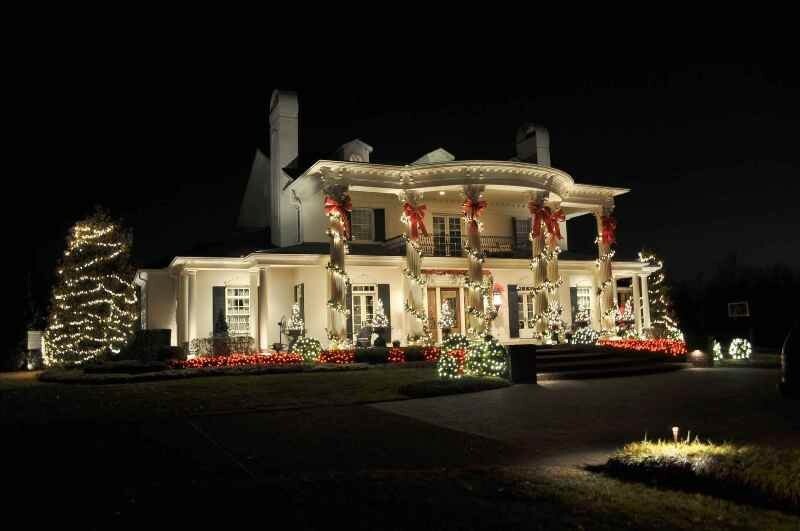 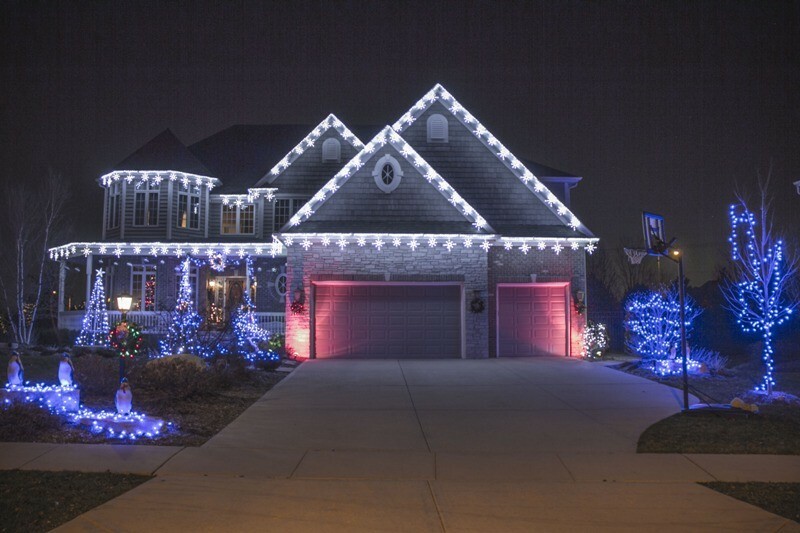 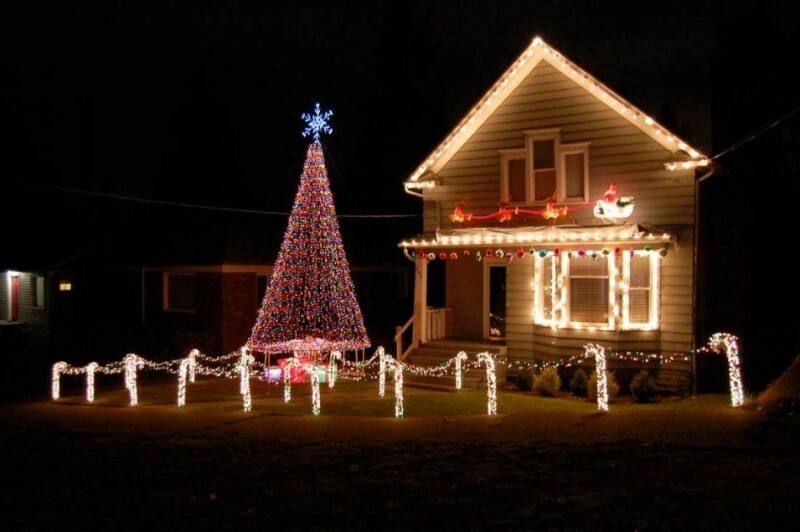 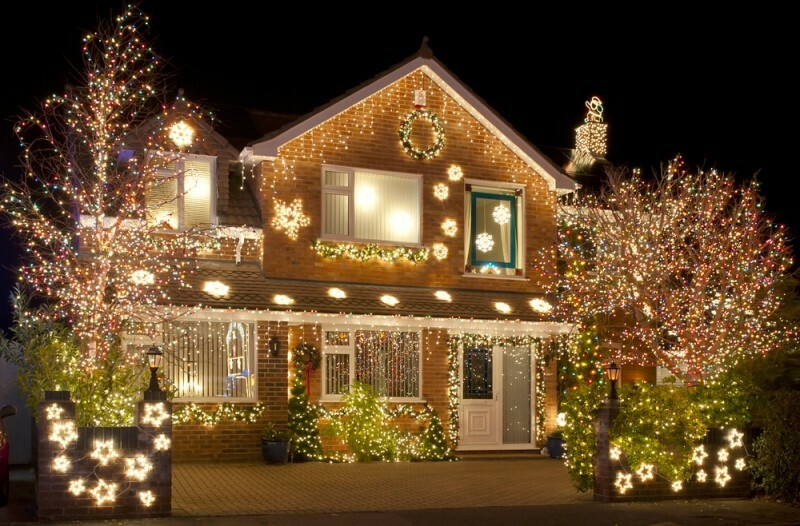 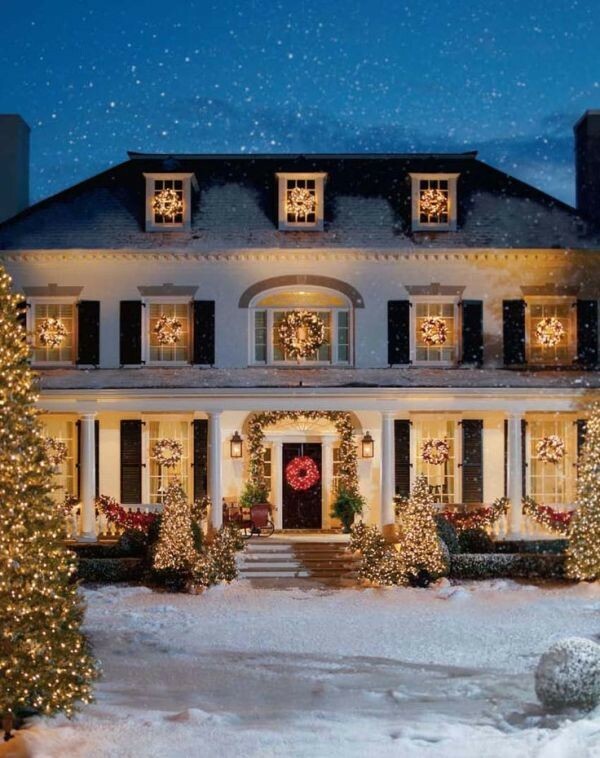 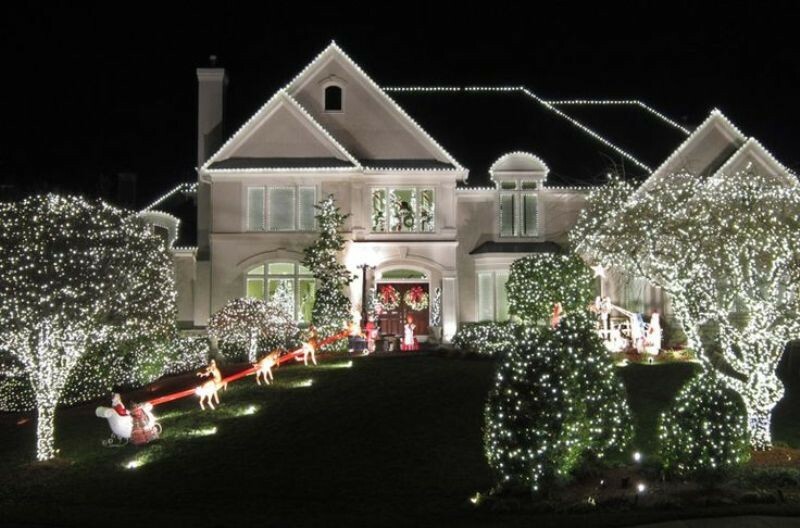 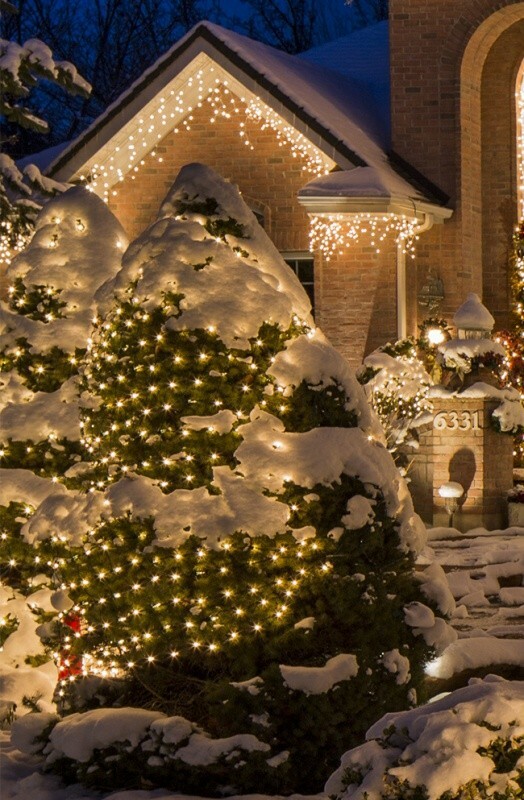 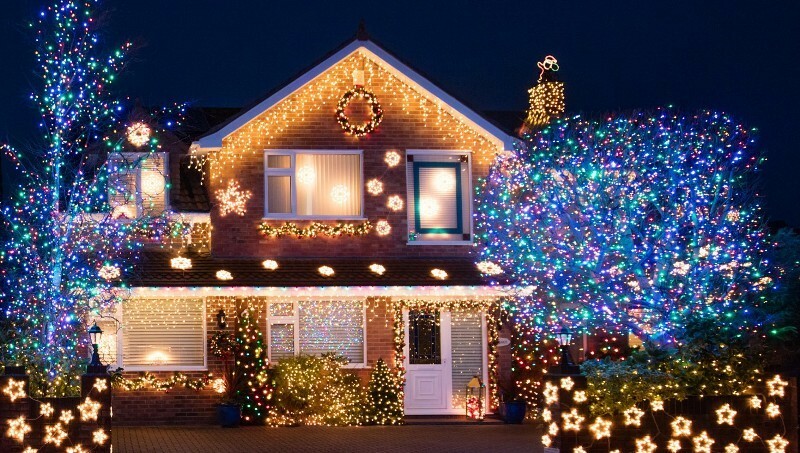 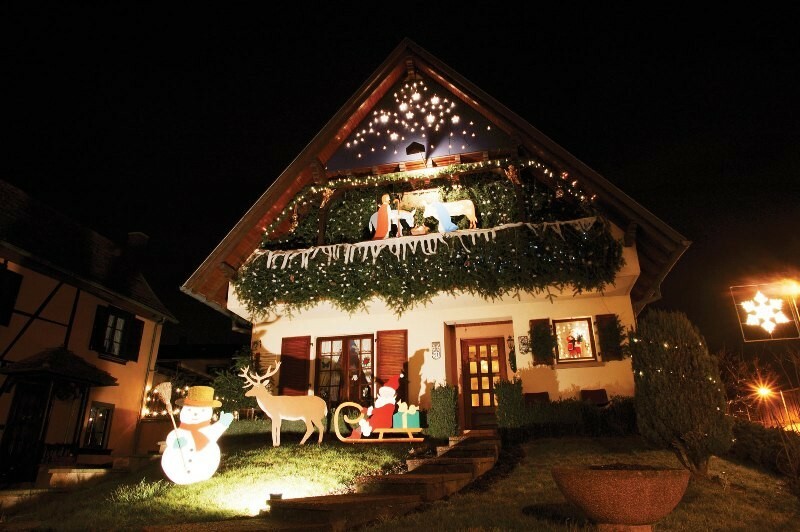 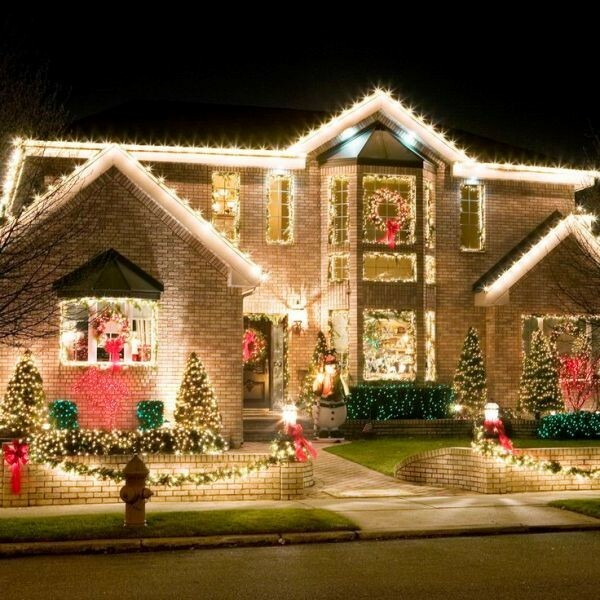 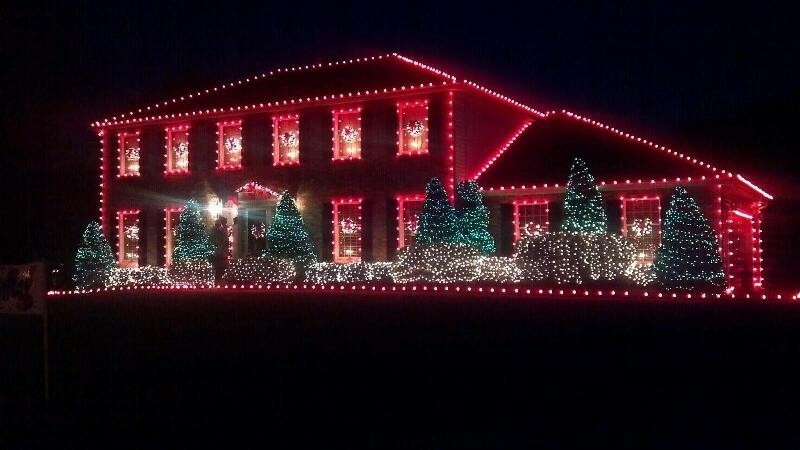 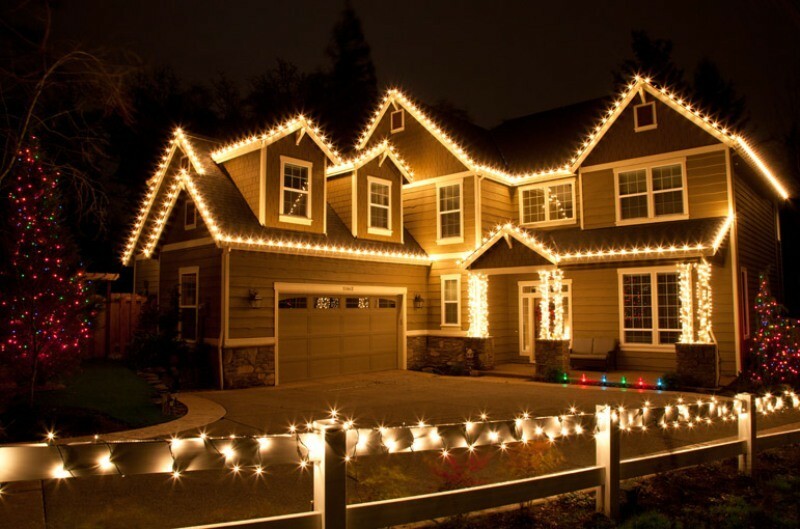 Do you think that it will cost you a lot of money to decorate your home using lights? 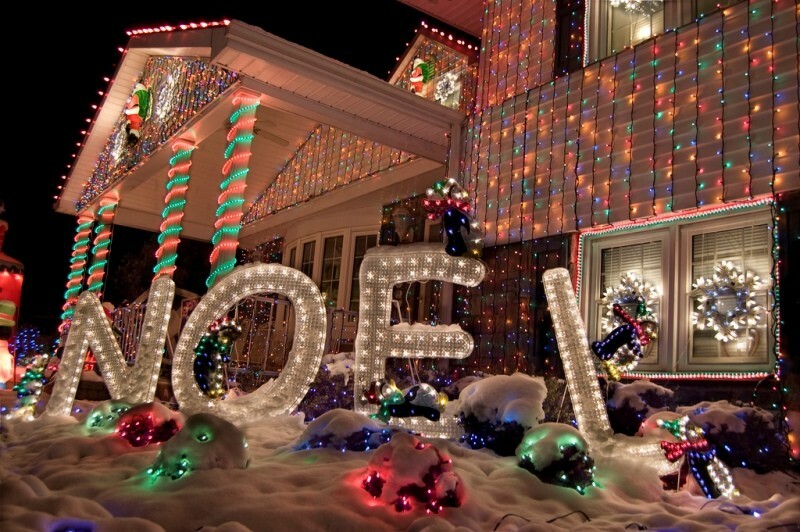 Creating the most fascinating Christmas light displays is costly and tiring as well. 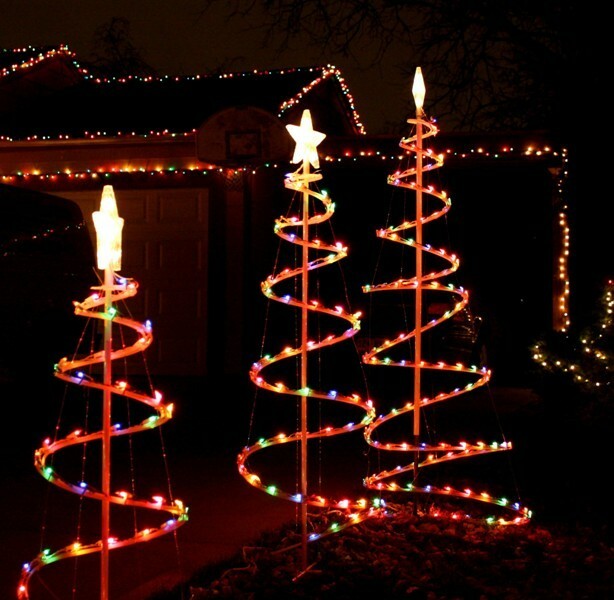 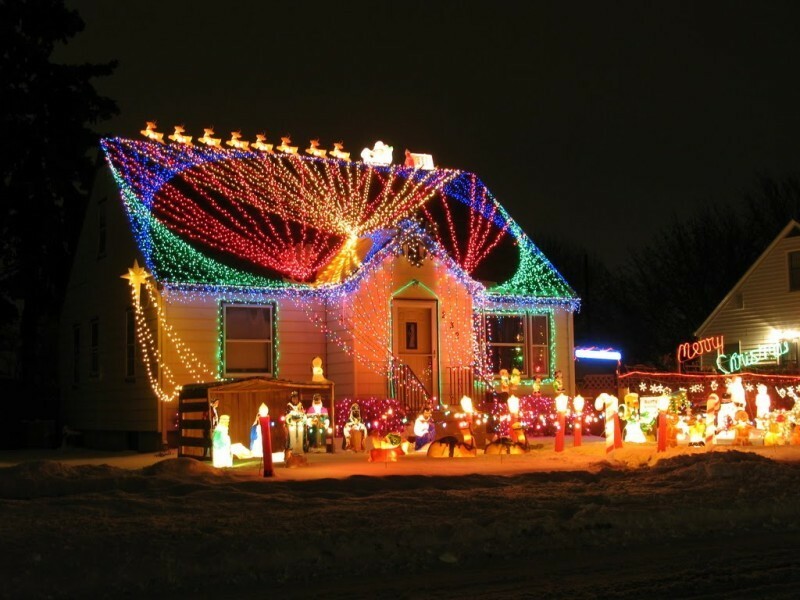 In order to save money, try to create your Christmas light displays on your own. 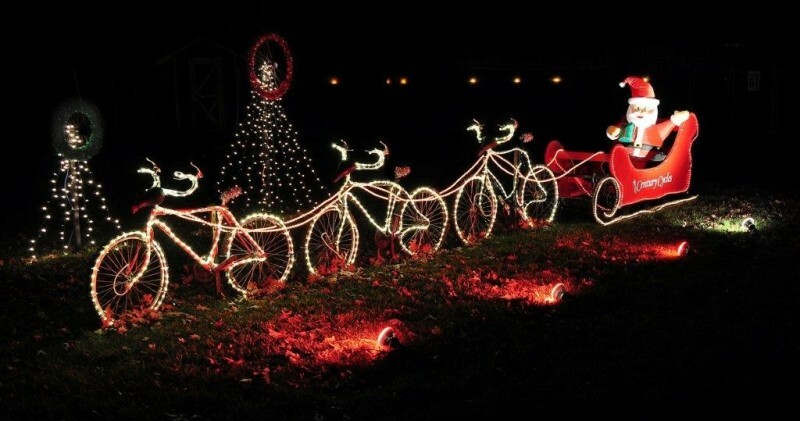 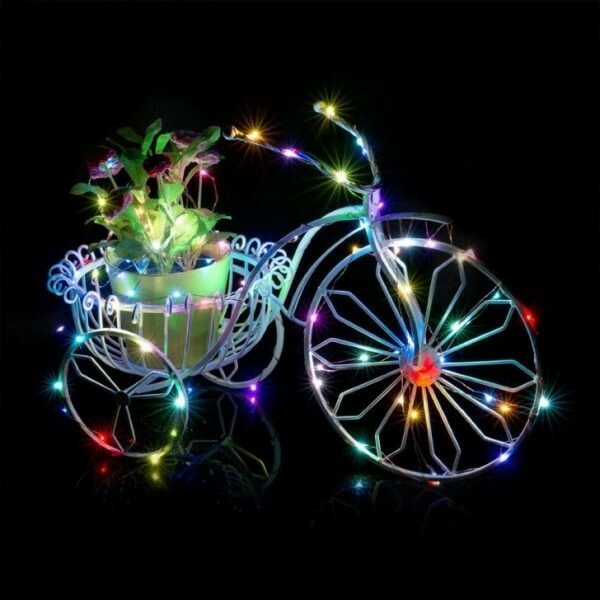 You can simply turn the bikes you have into a fascinating display by adding lights especially string lights that can be easily used. 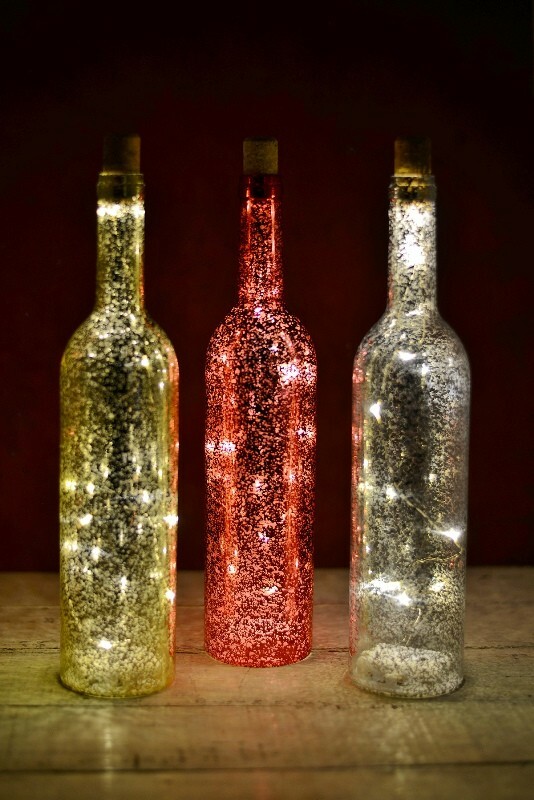 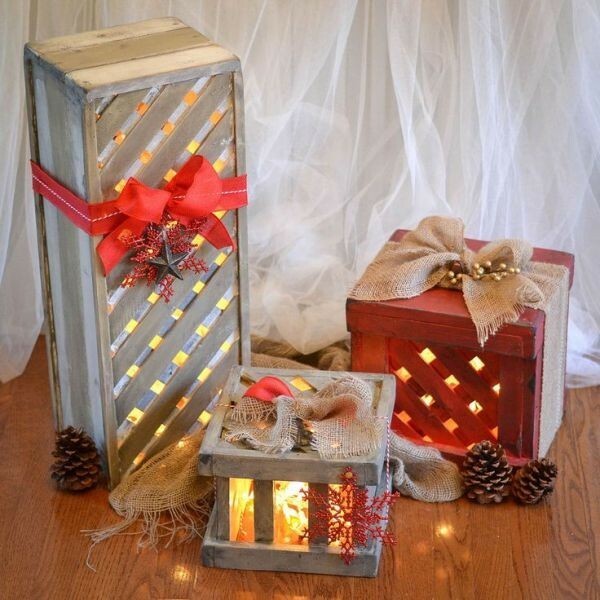 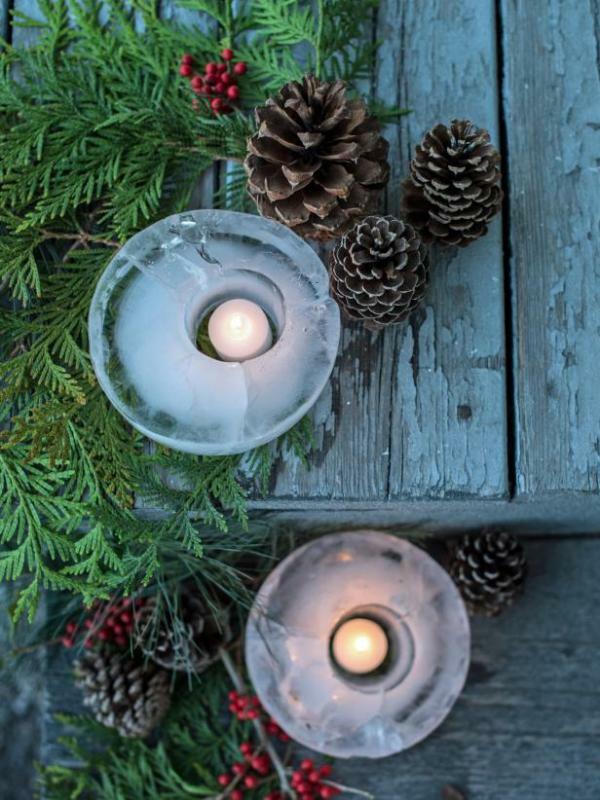 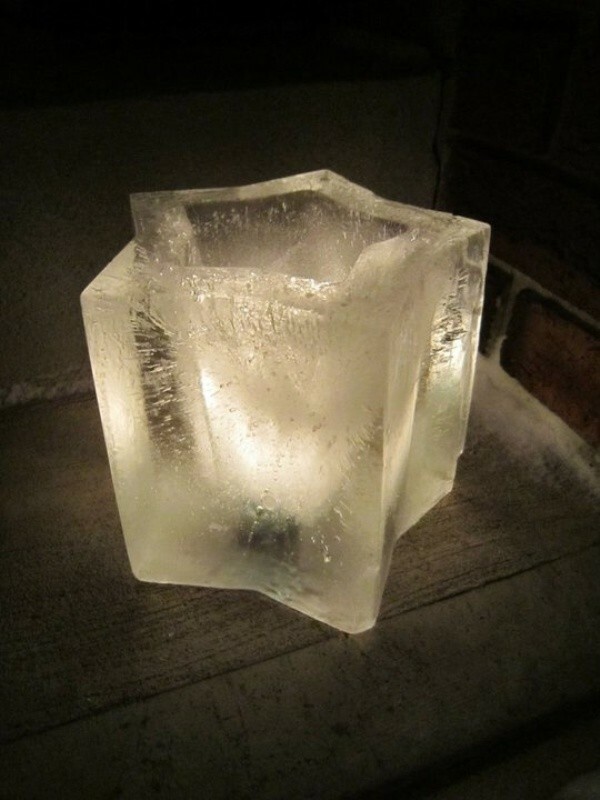 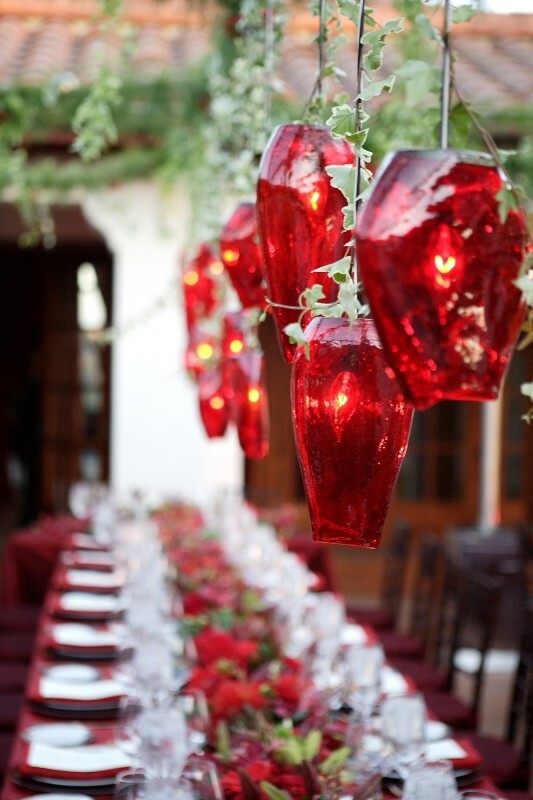 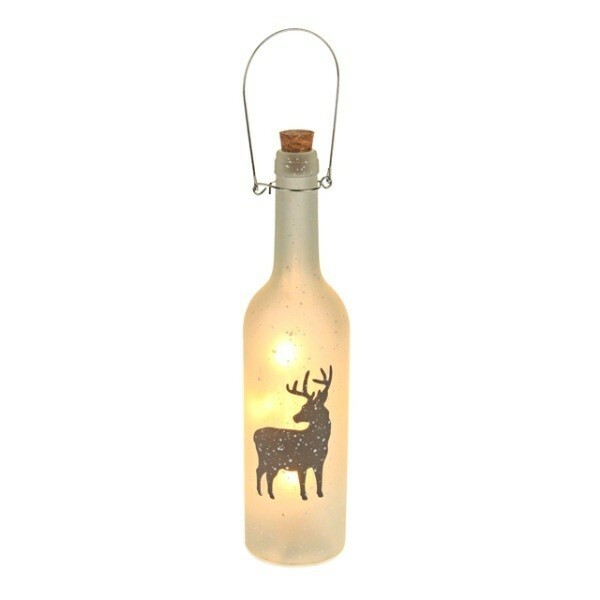 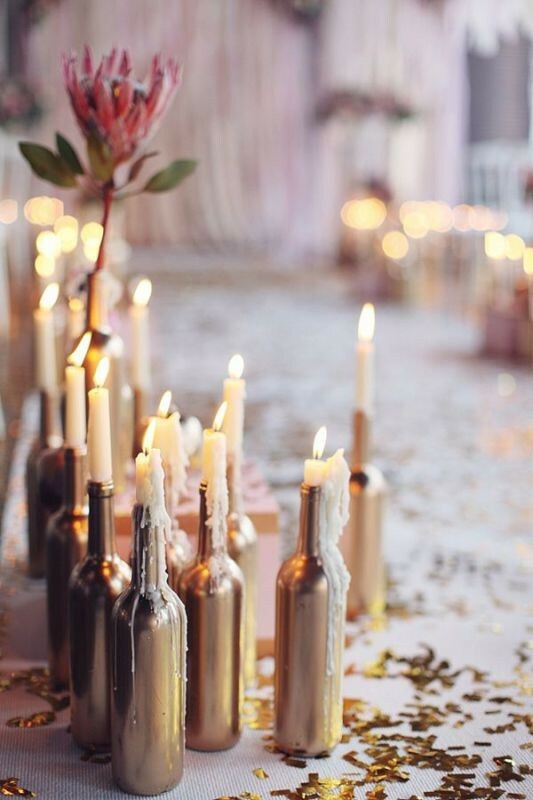 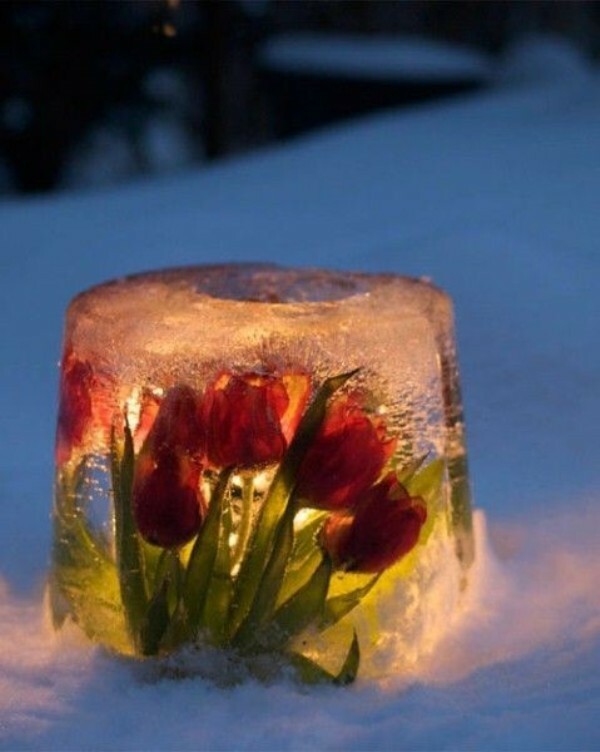 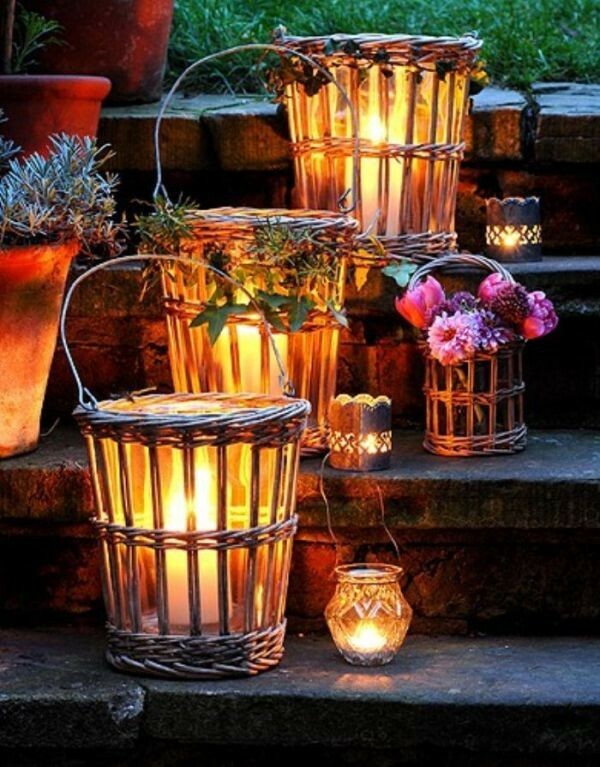 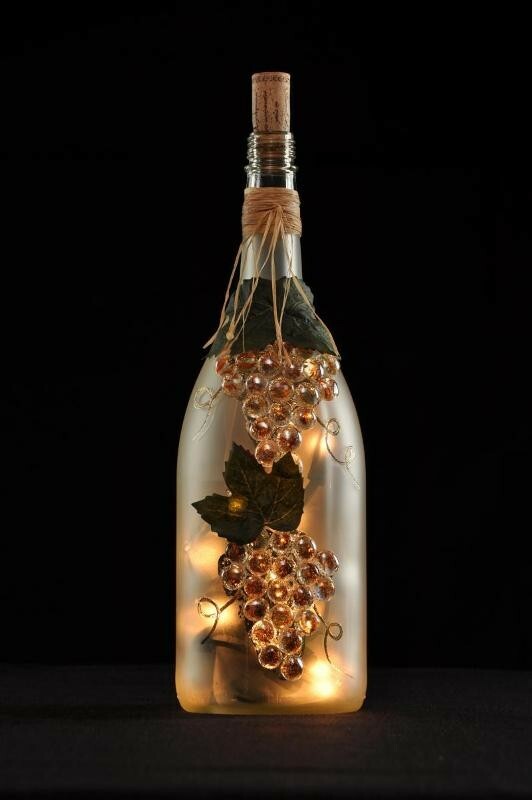 You can also use mason jars and wine bottles for making stunning candle holders or lanterns. 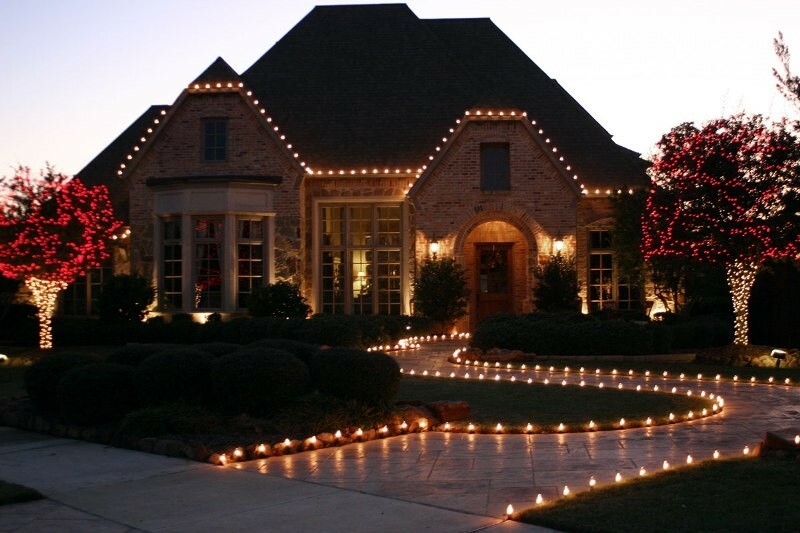 If you are completely busy, do not have enough time to waste, and do not care about spending more money, then you will need to opt for using pre-lit garlands, wreaths, trees, inflatables, and more.